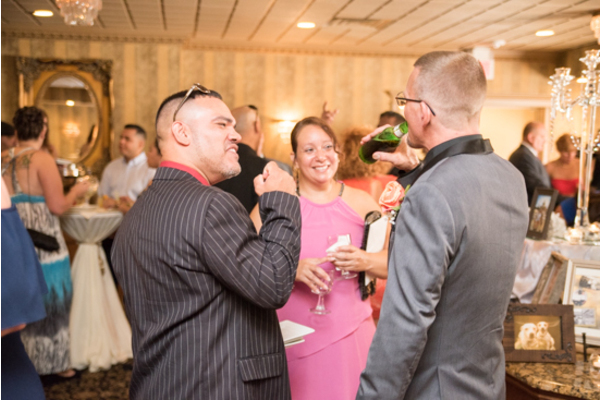 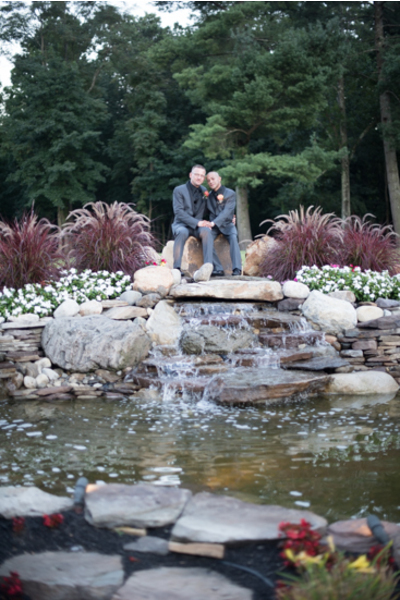 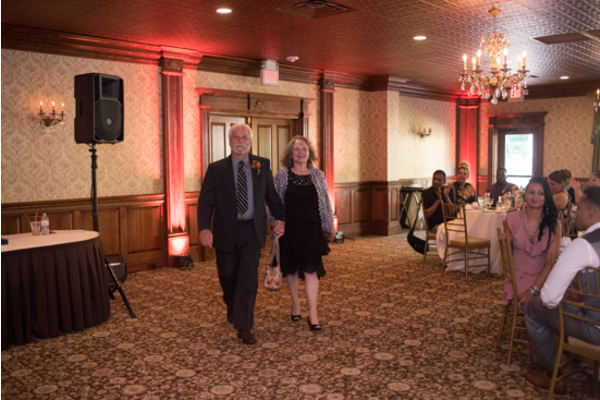 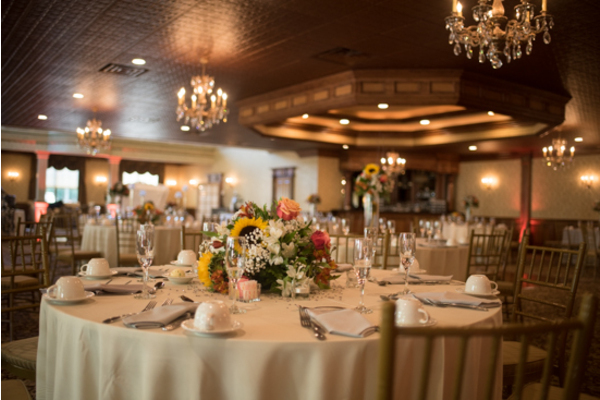 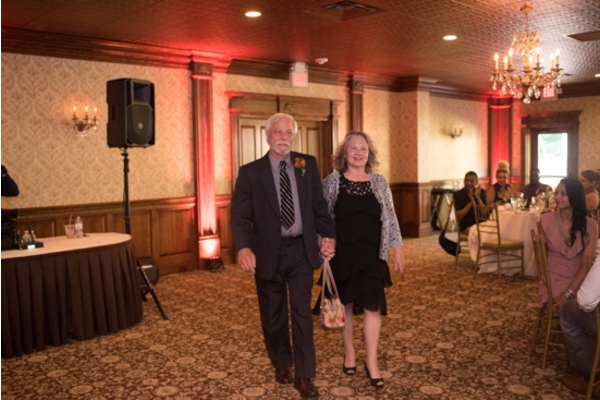 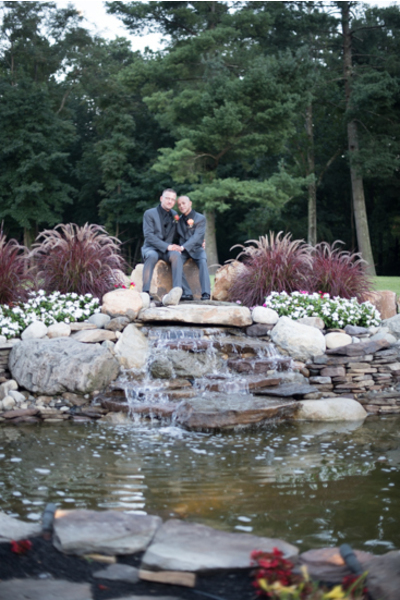 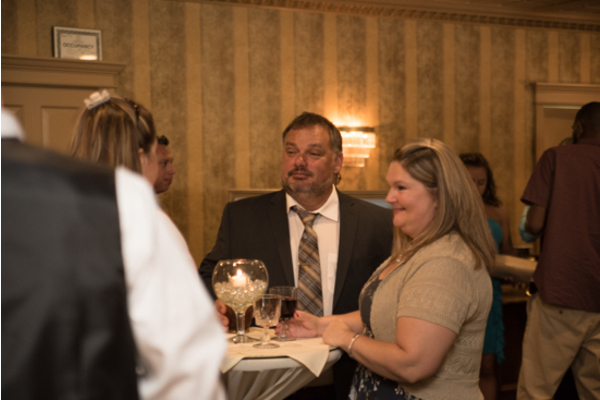 Congratulations to this lovely couple for tying the knot at the Brigalias in Sicklerville, NJ! 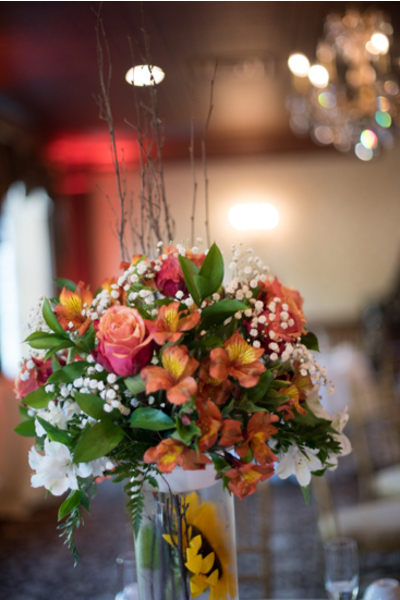 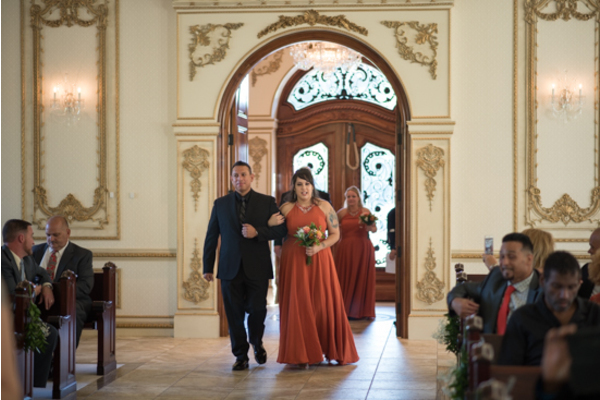 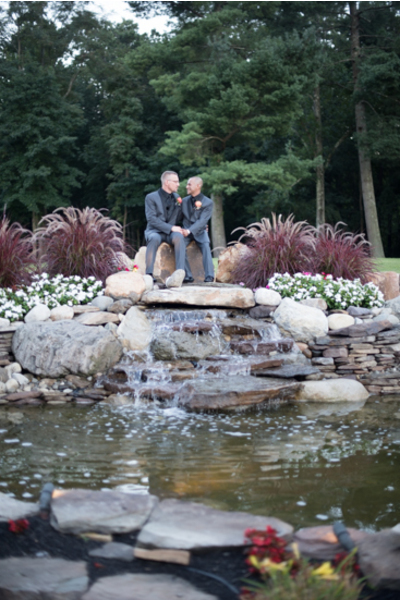 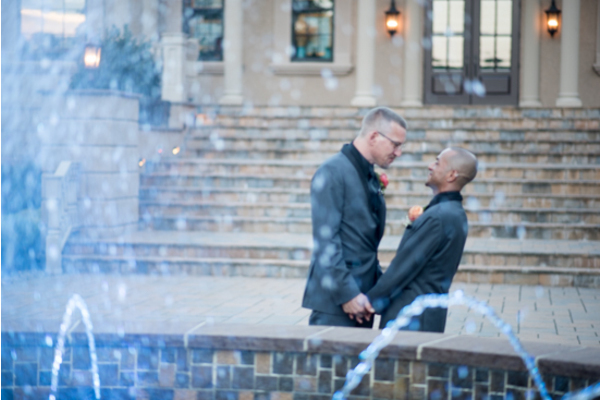 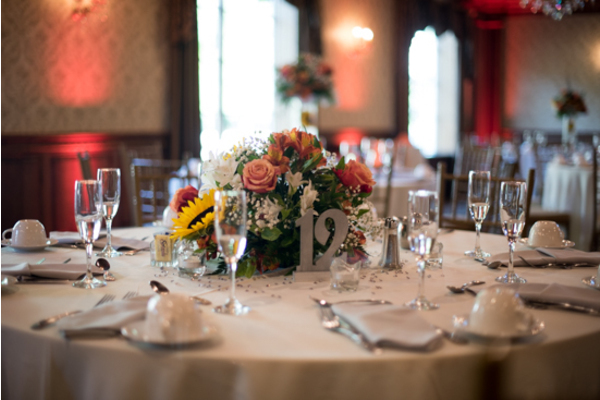 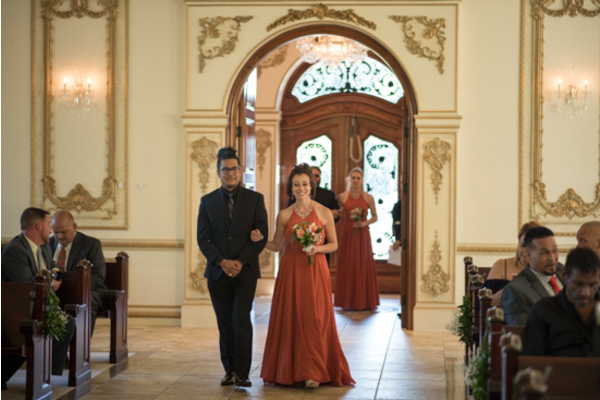 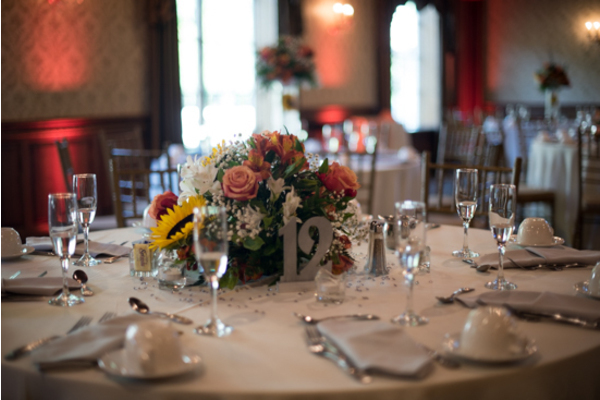 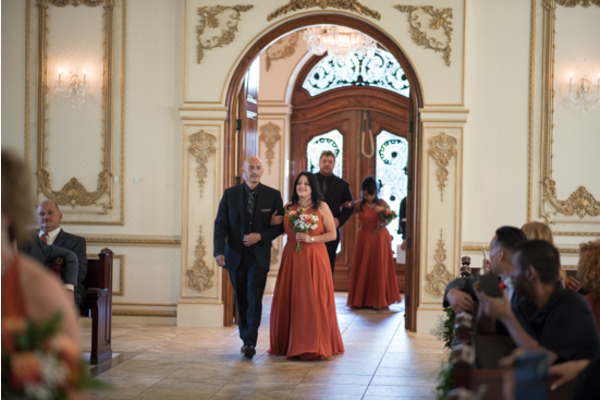 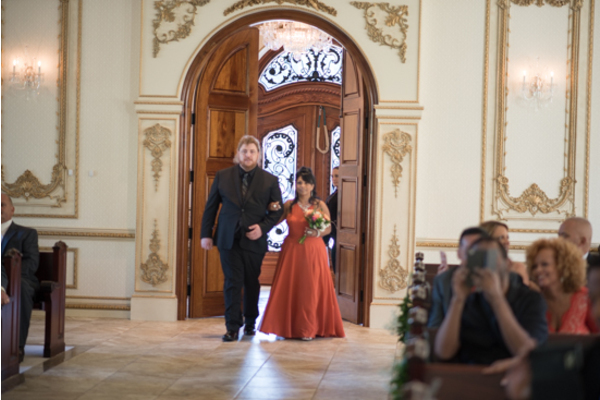 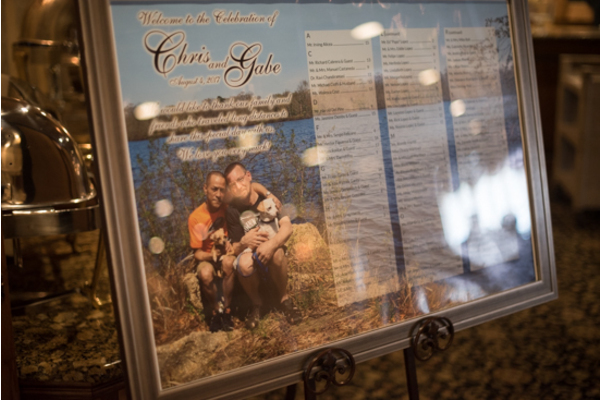 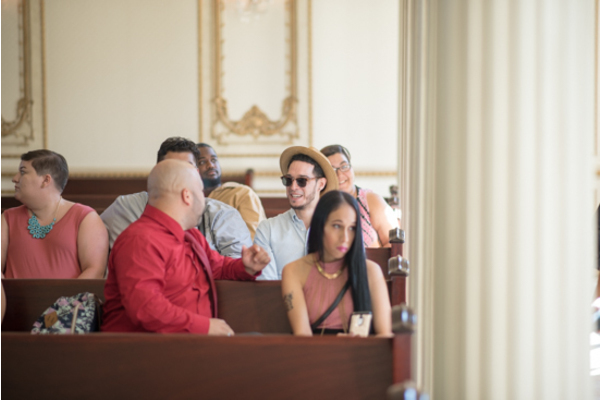 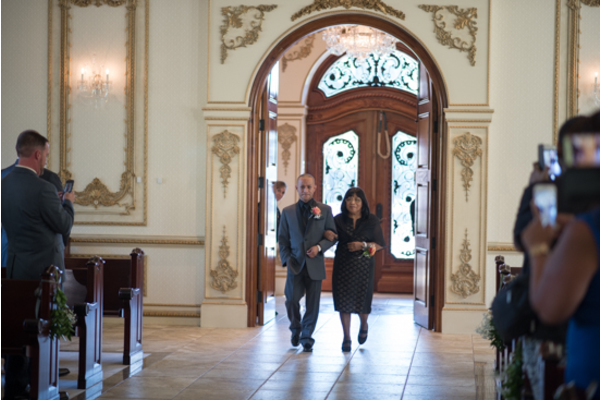 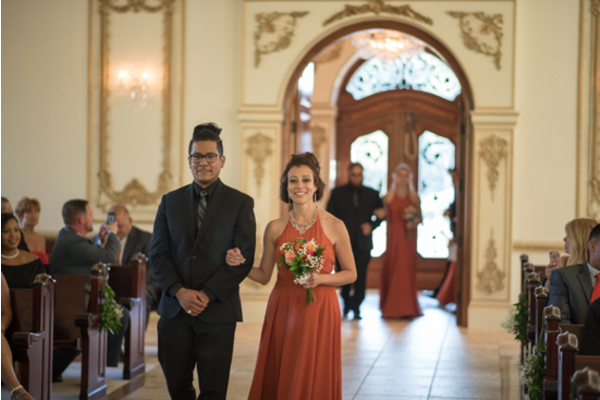 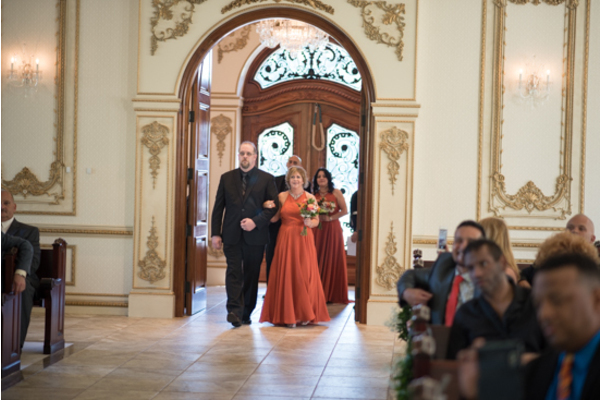 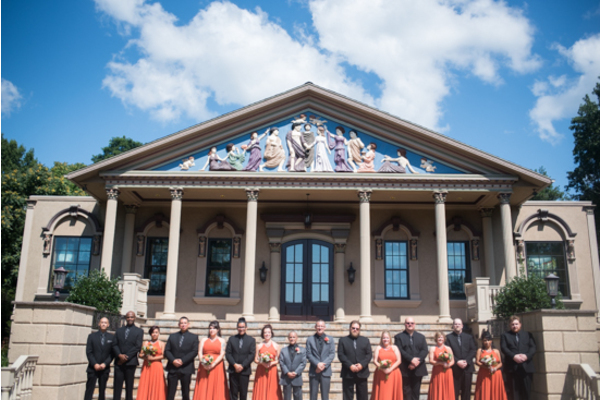 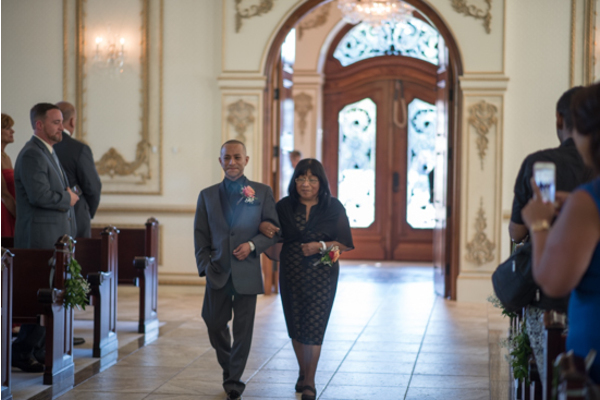 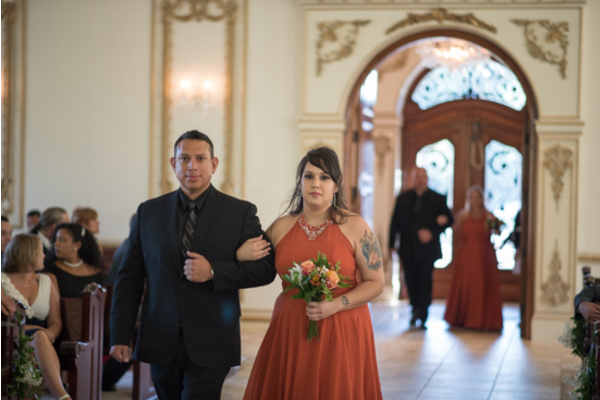 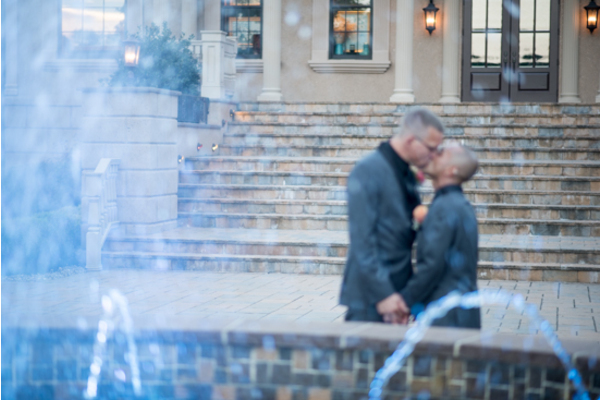 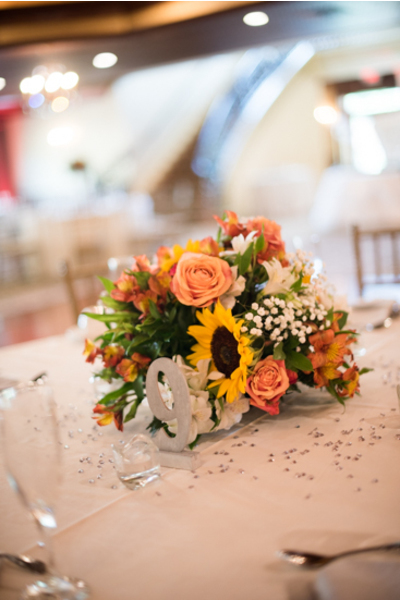 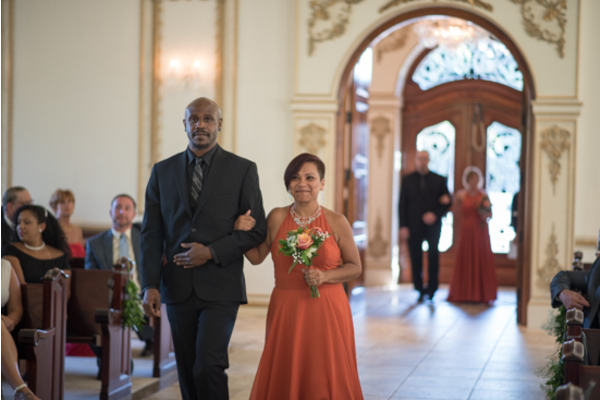 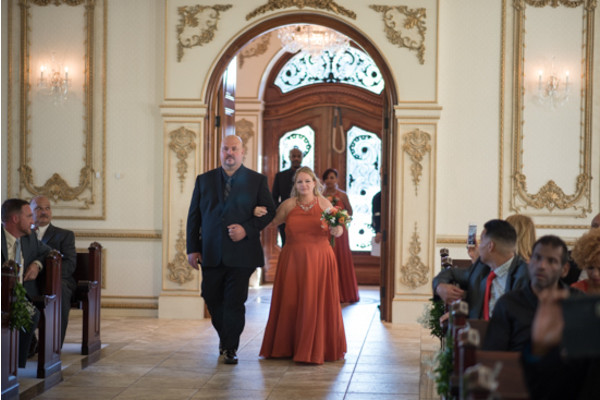 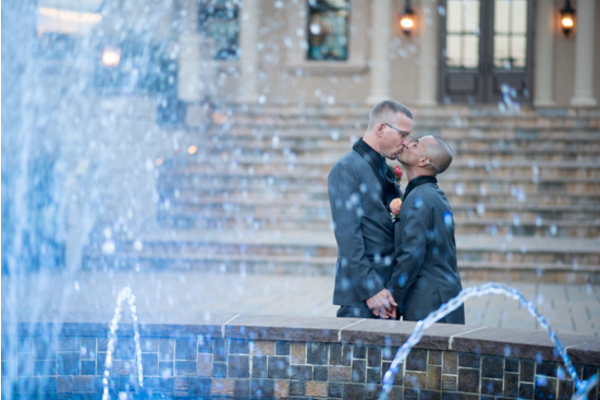 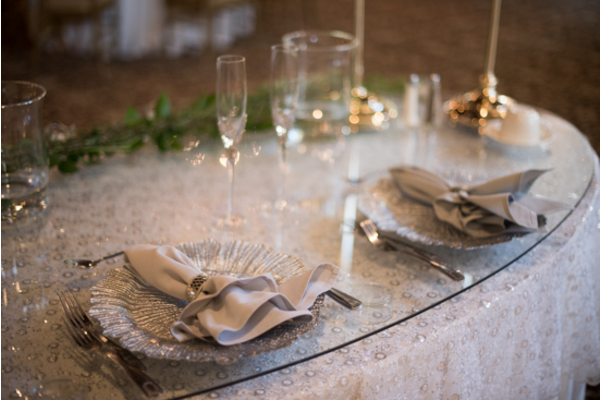 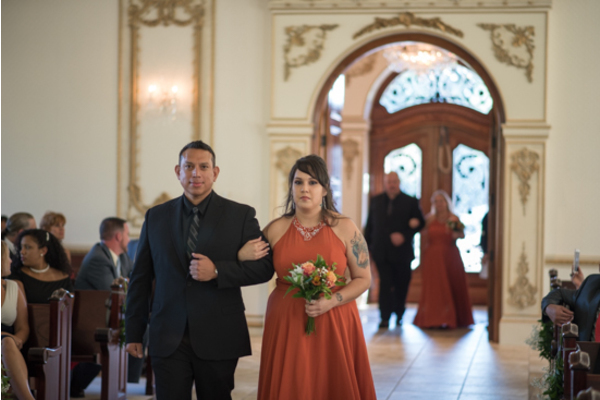 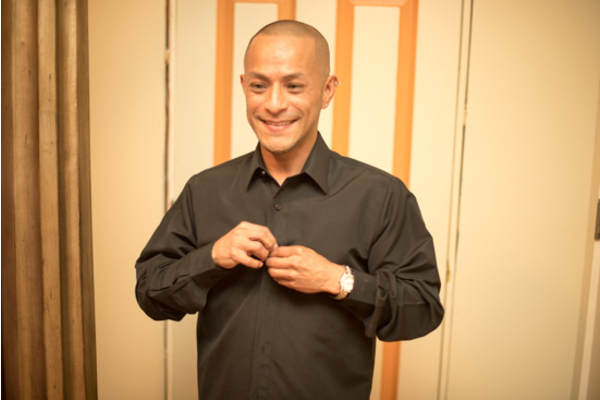 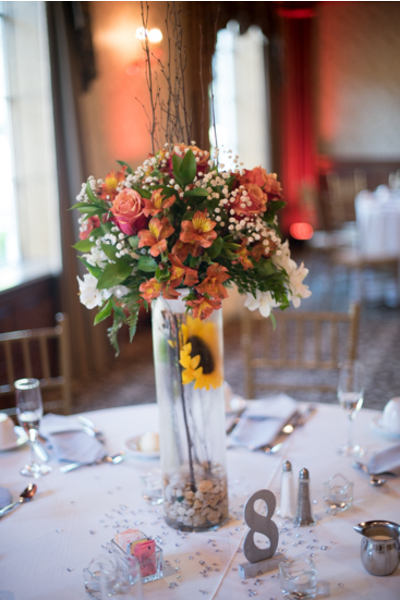 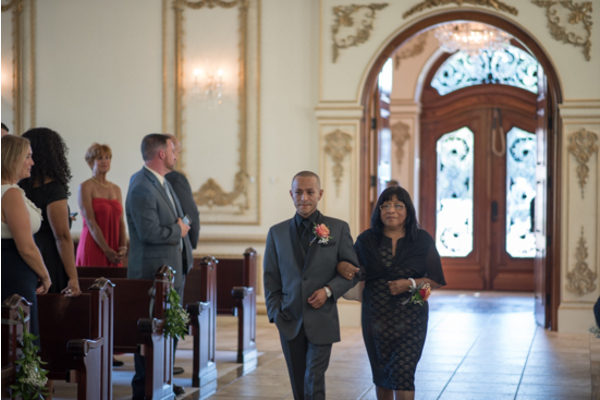 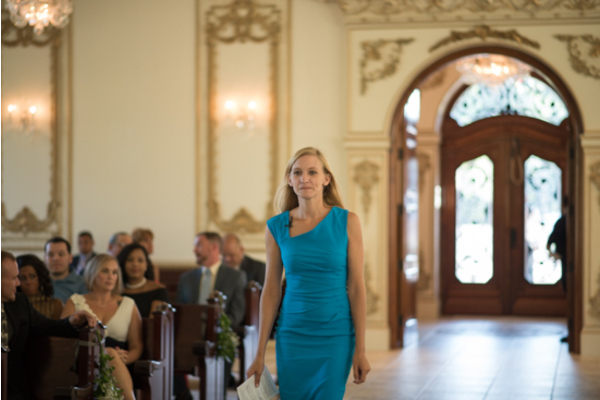 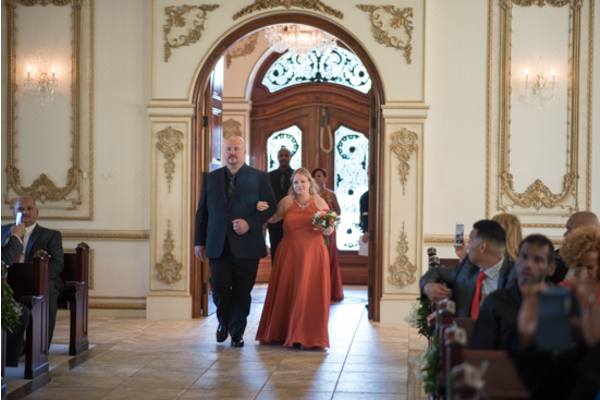 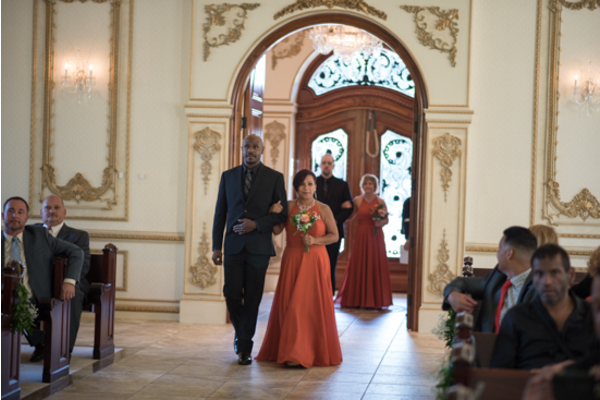 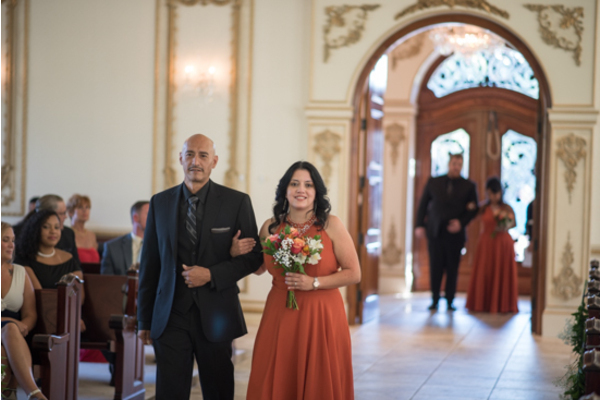 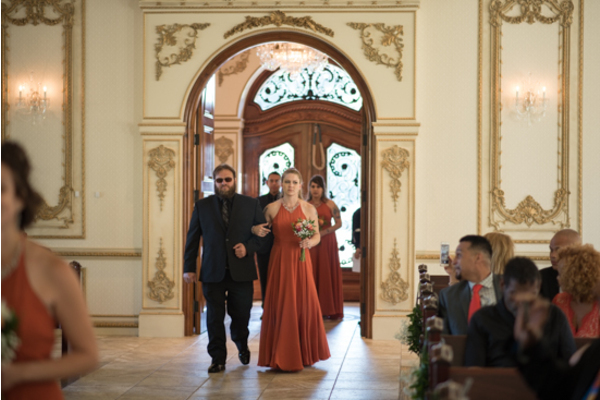 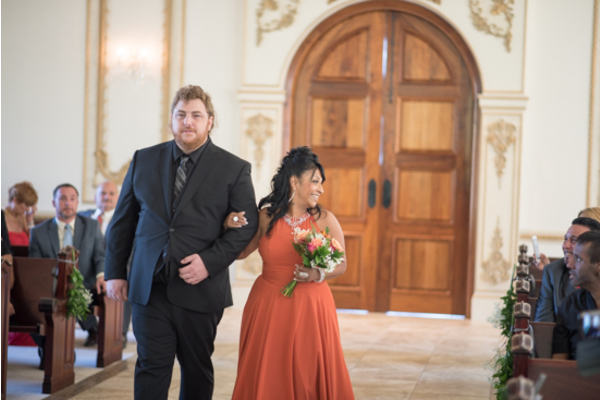 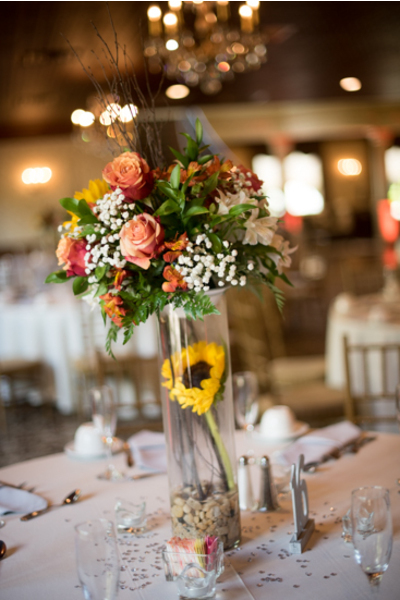 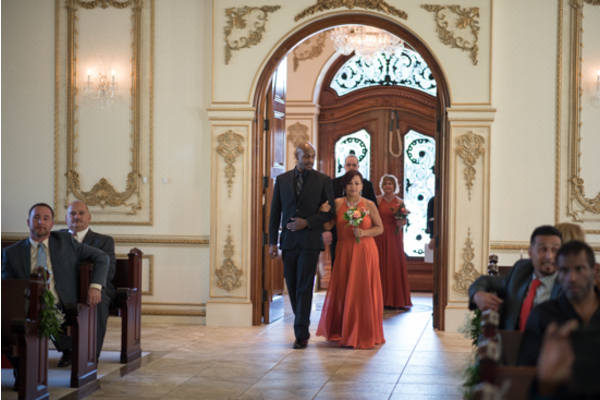 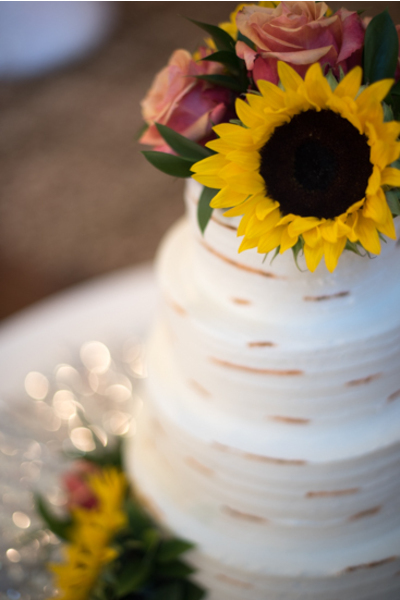 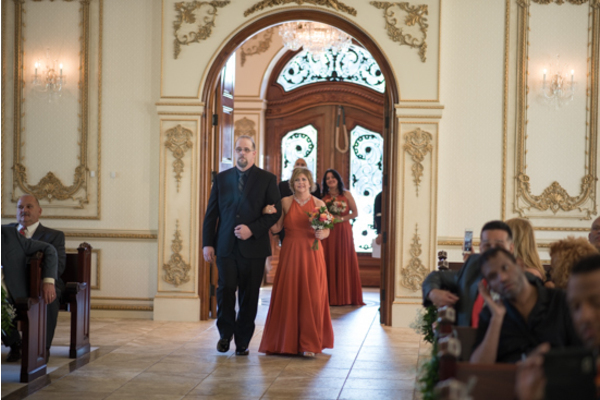 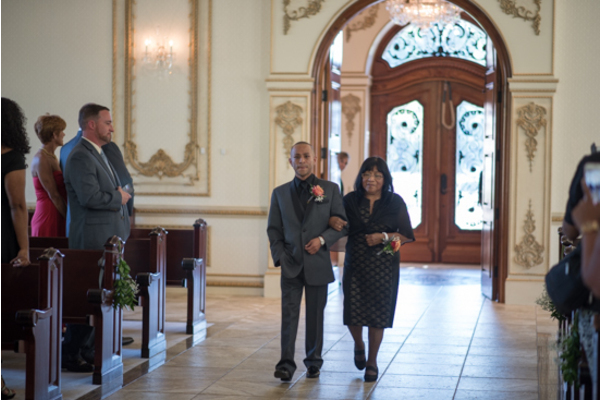 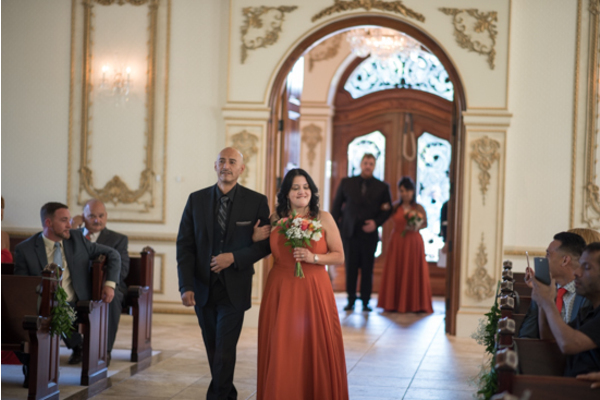 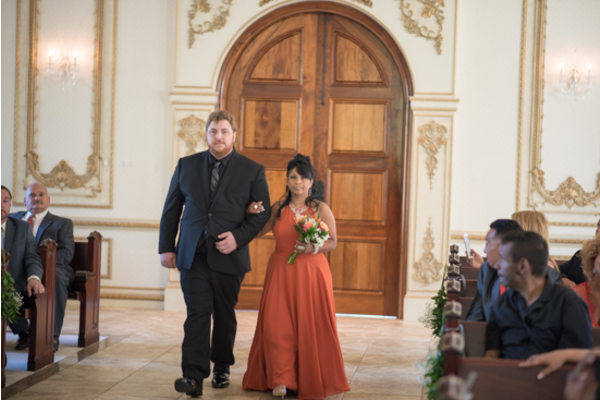 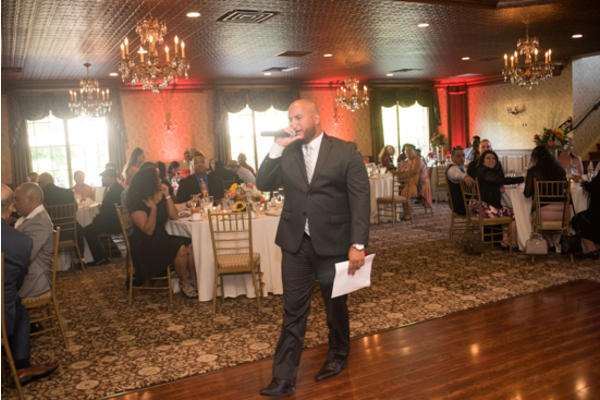 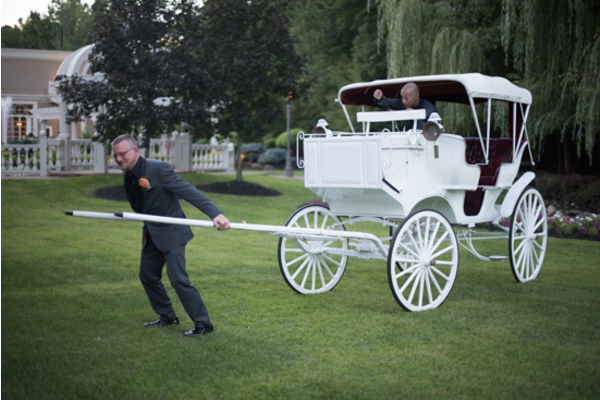 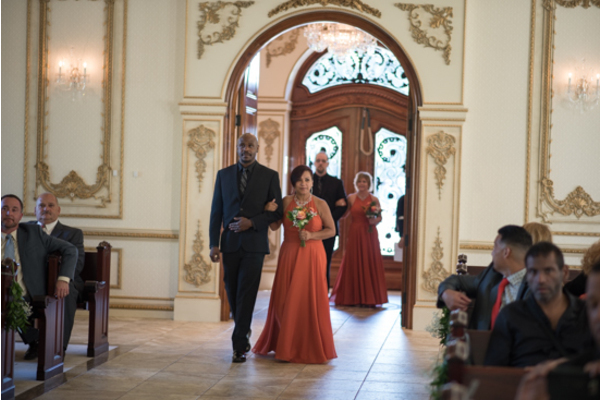 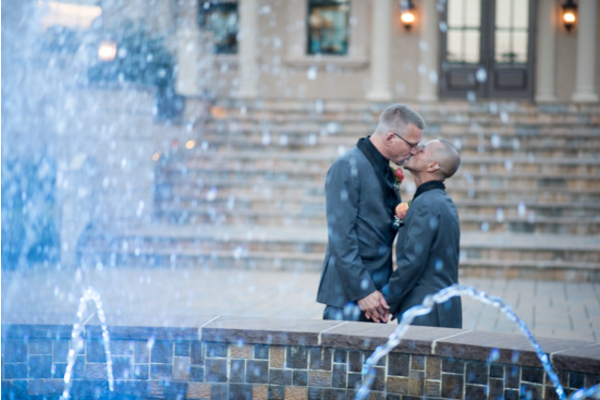 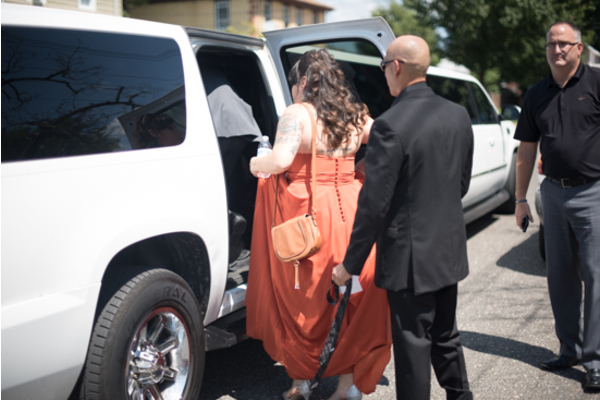 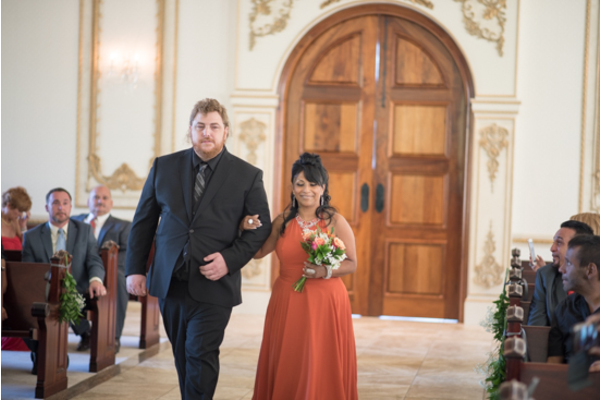 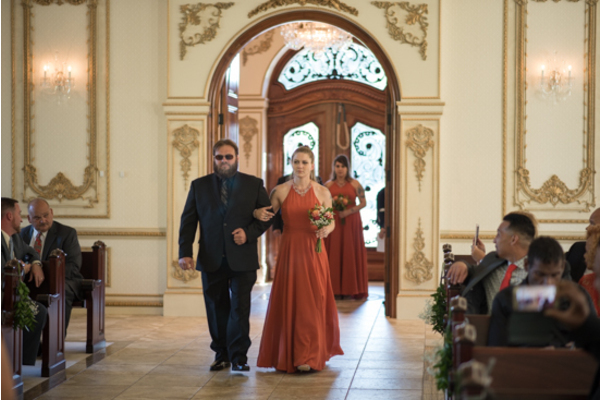 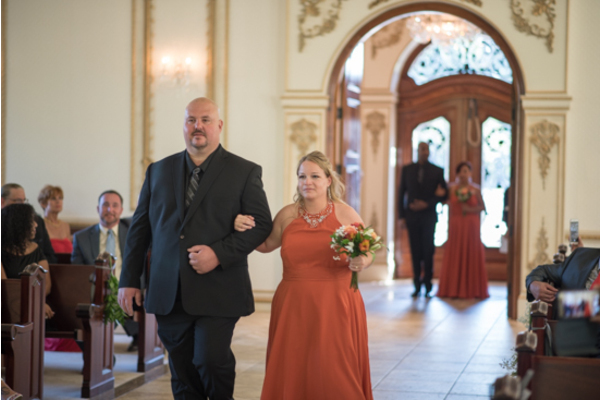 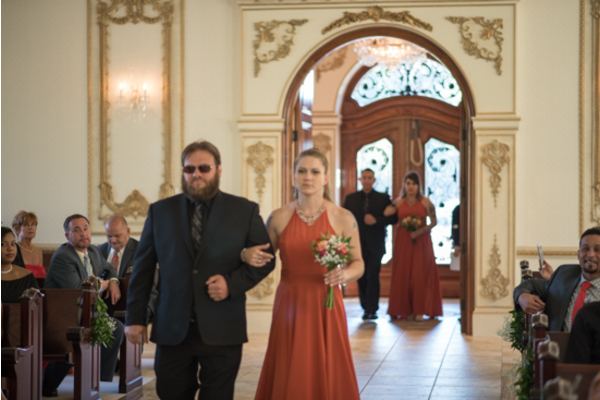 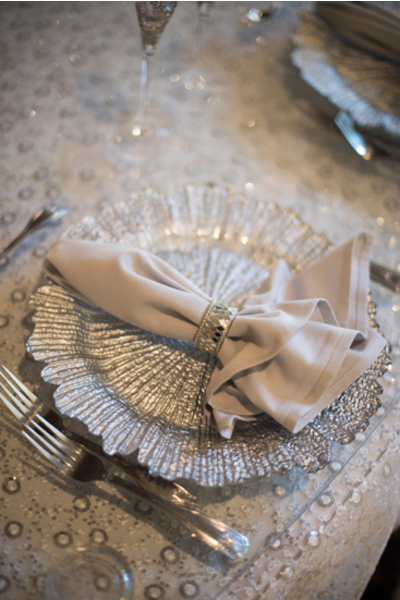 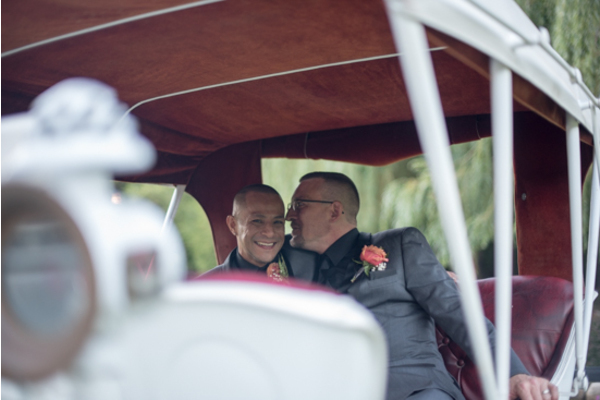 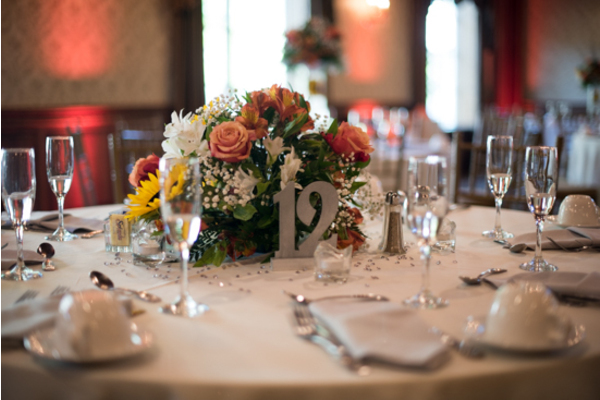 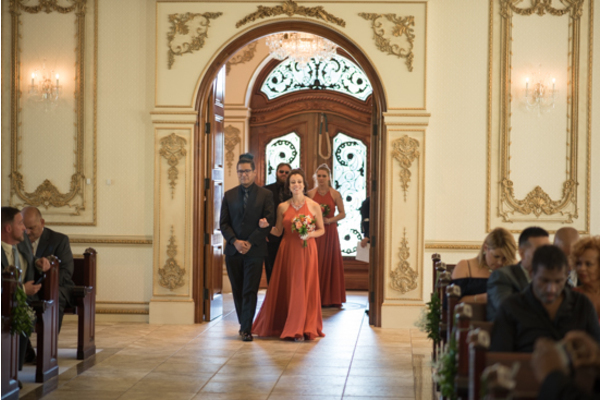 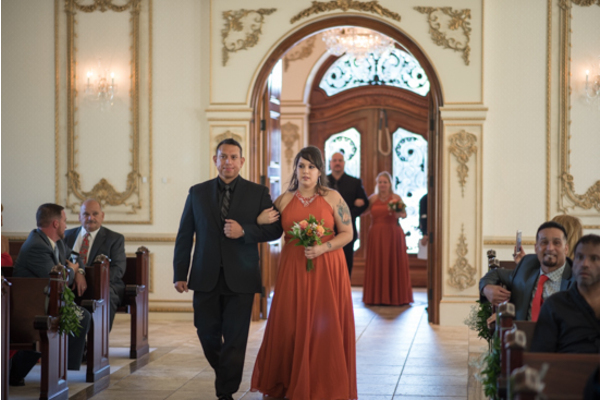 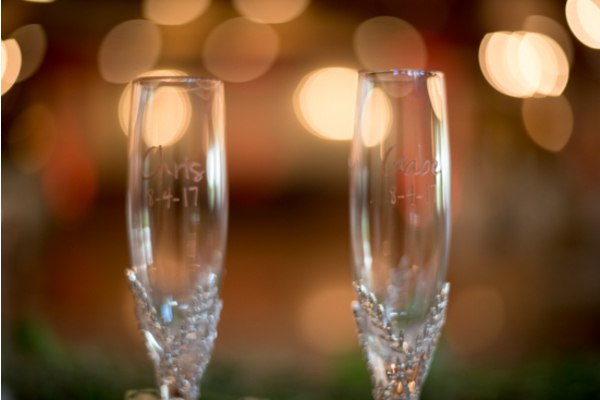 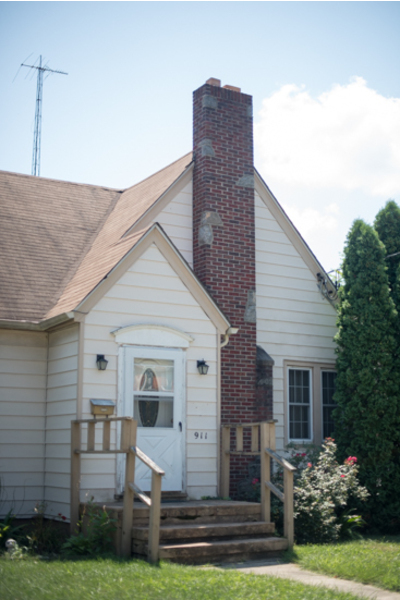 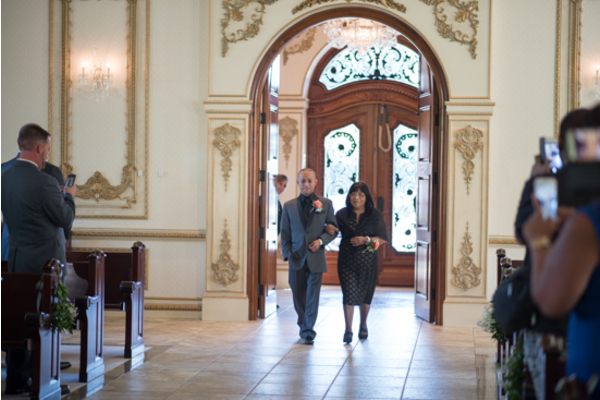 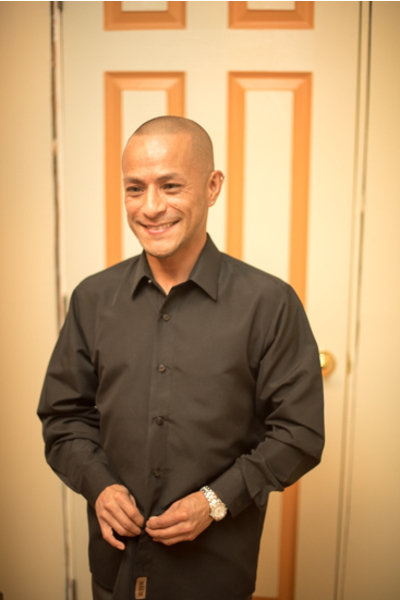 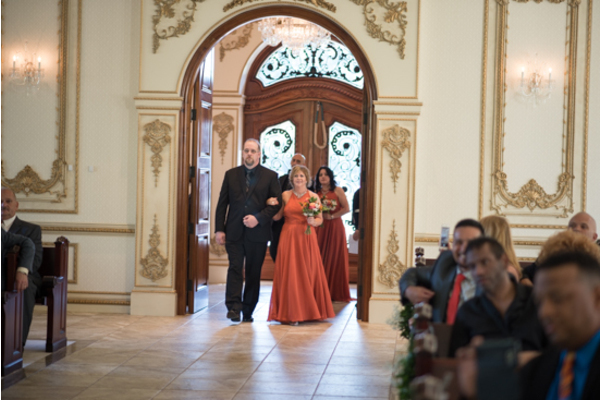 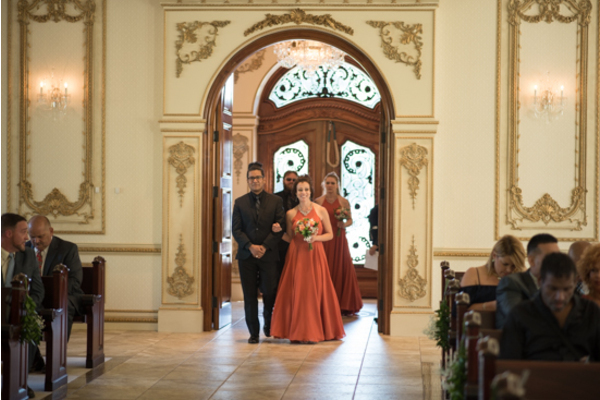 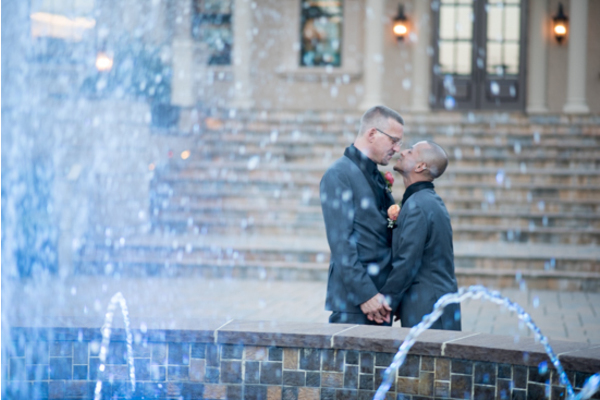 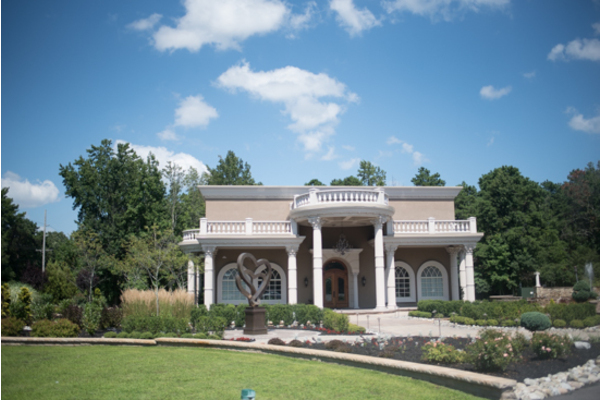 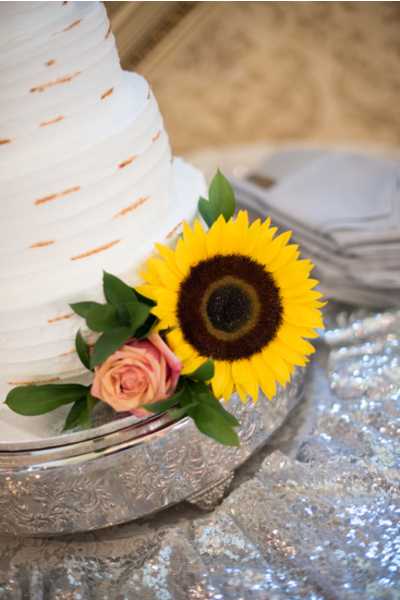 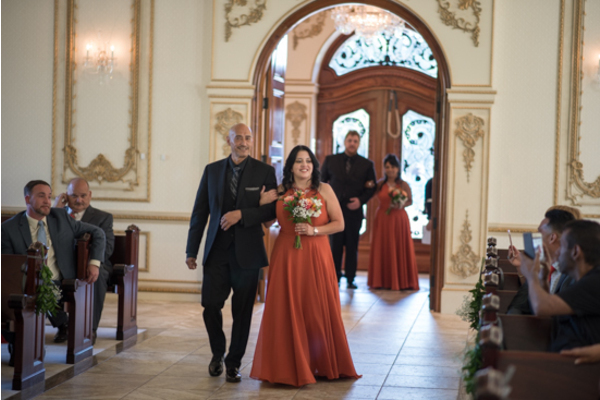 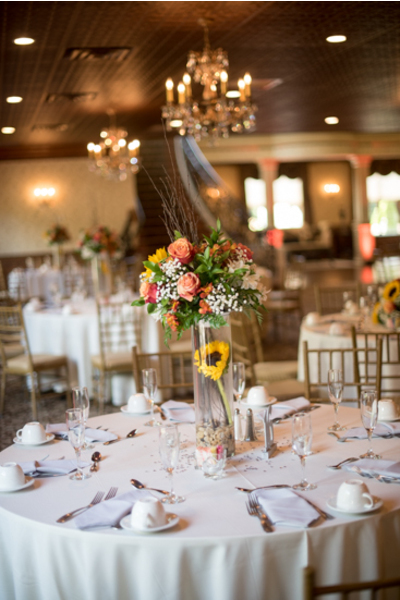 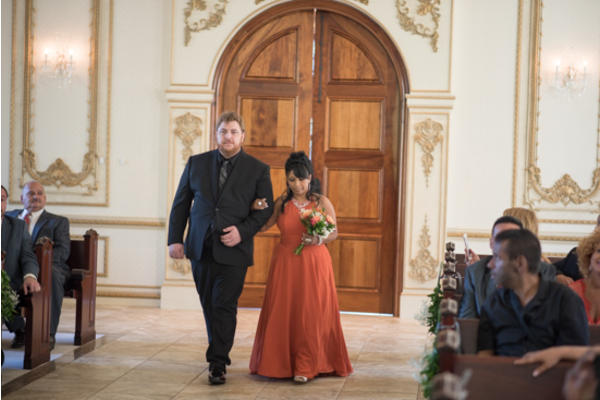 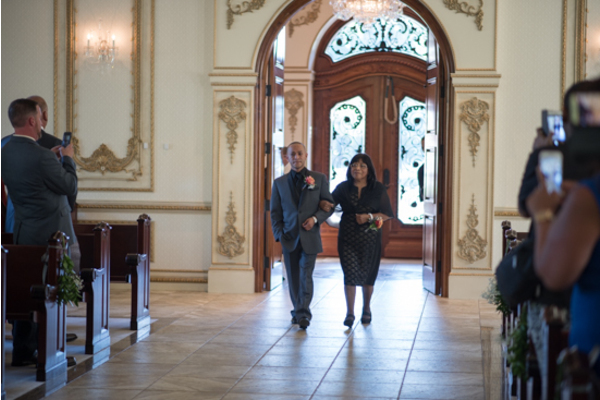 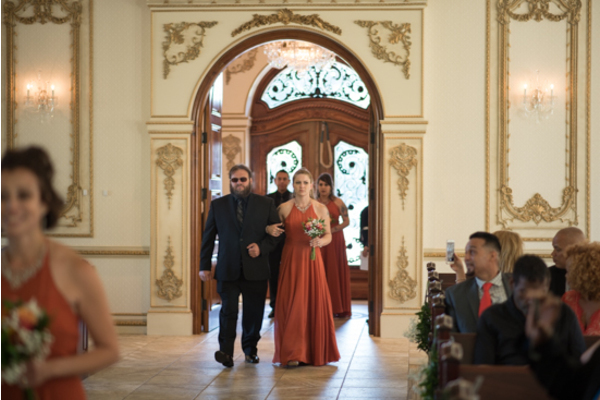 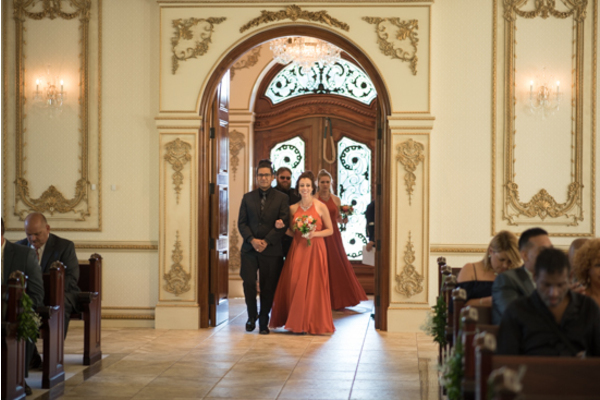 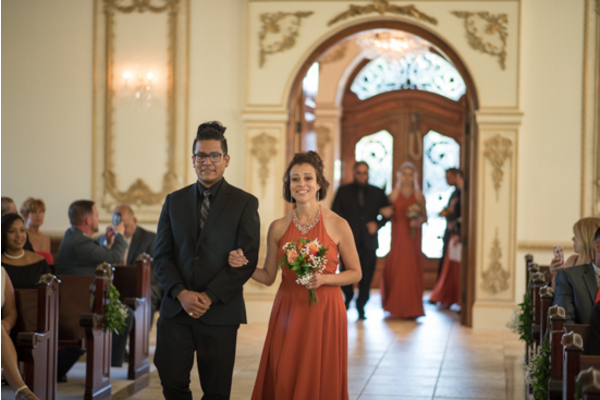 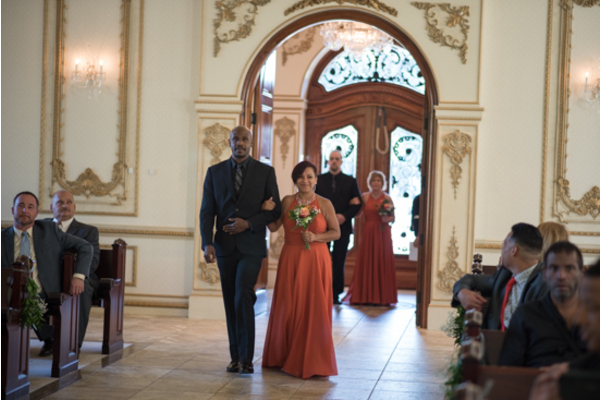 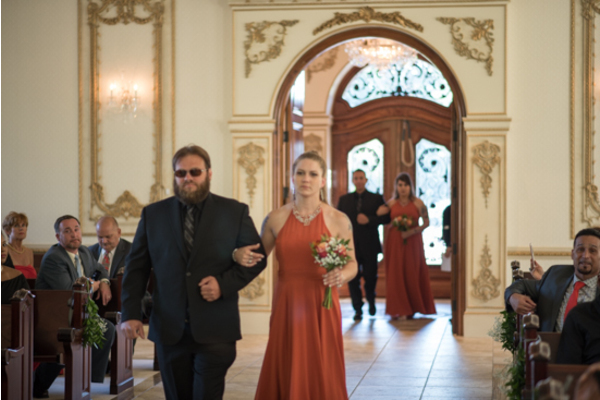 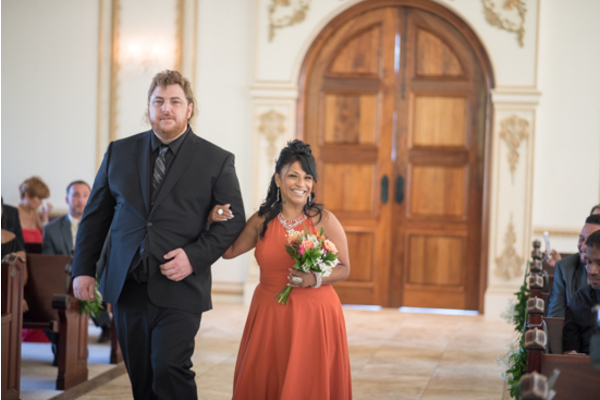 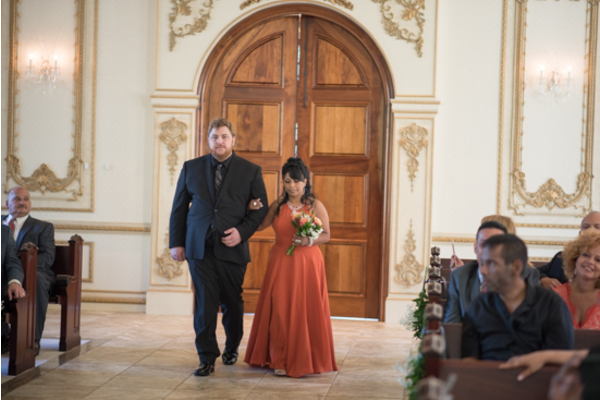 Angel and Chris got married on a beautiful summer day this August! 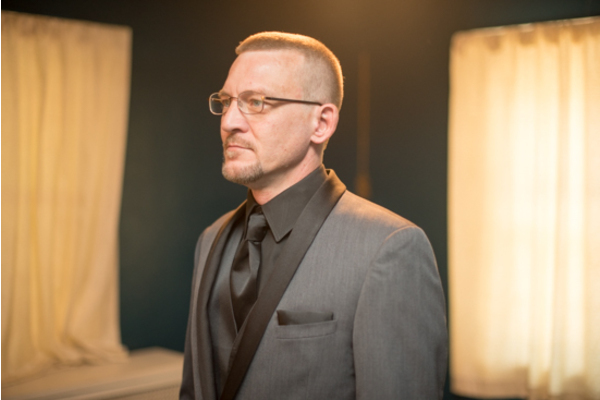 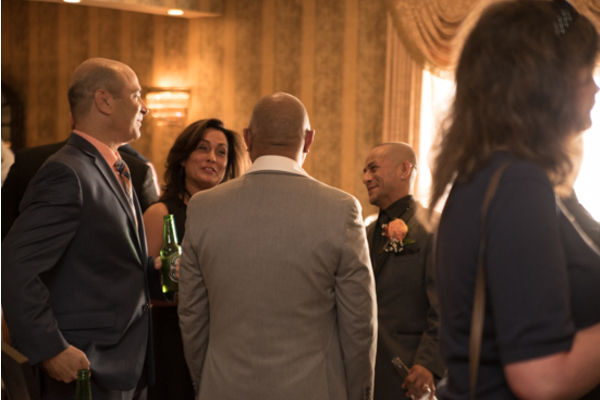 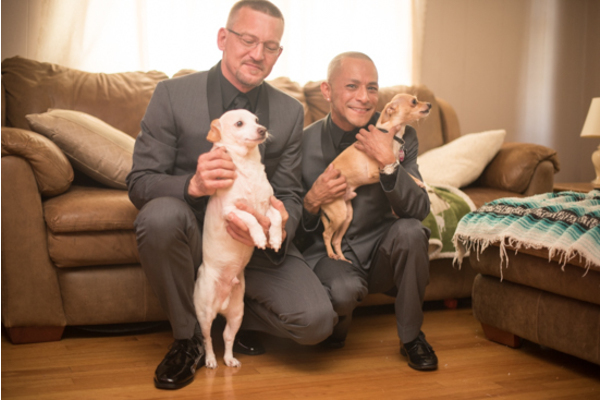 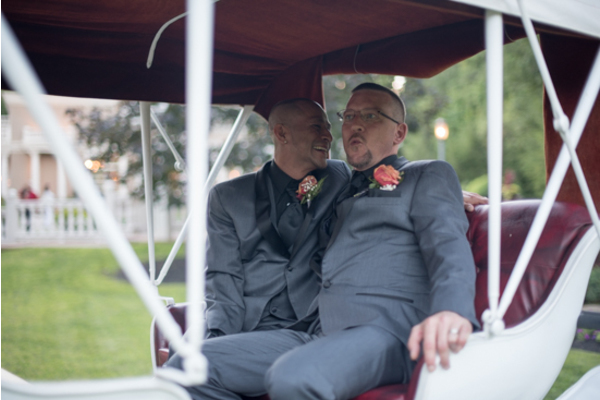 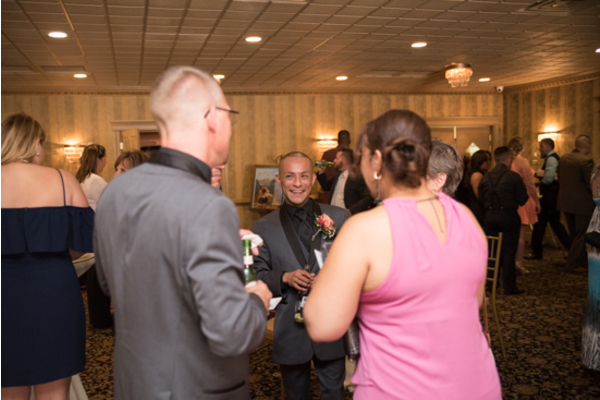 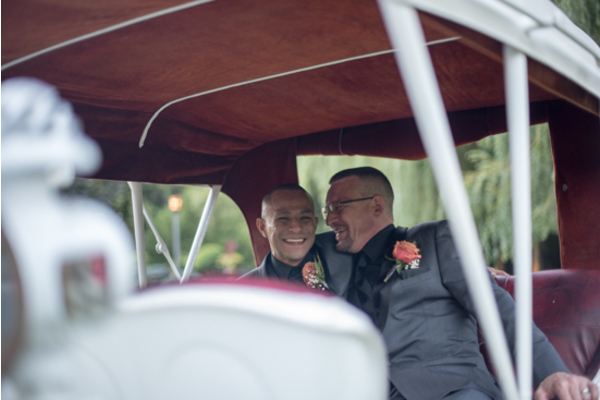 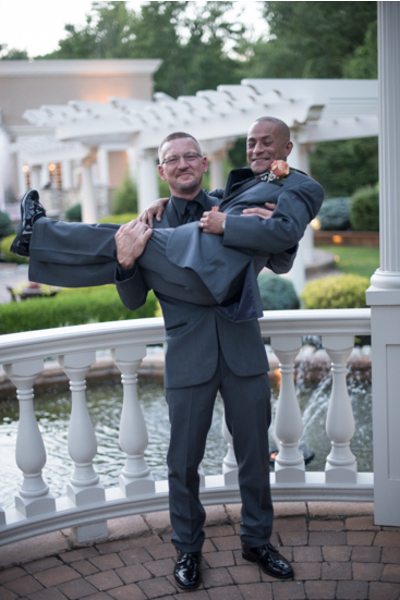 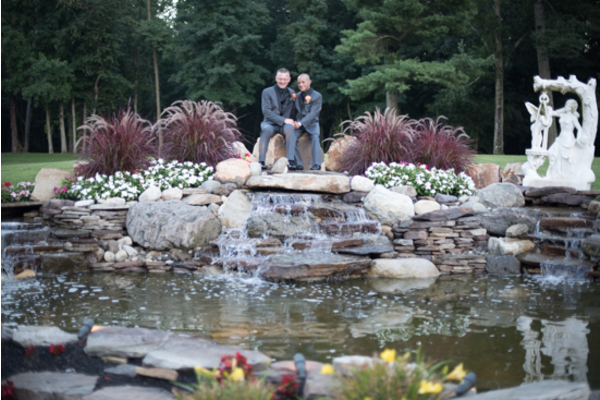 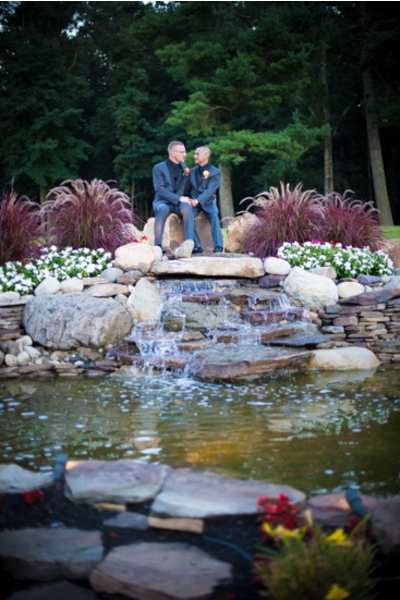 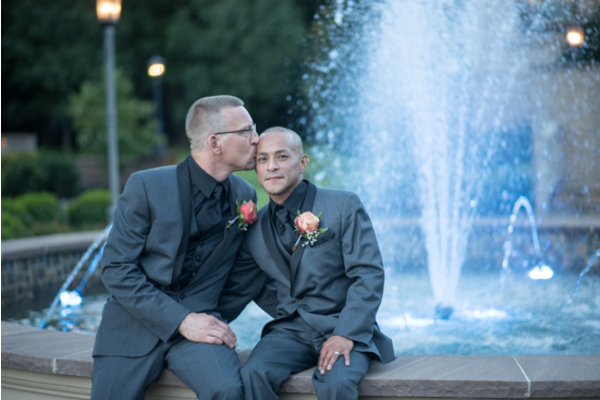 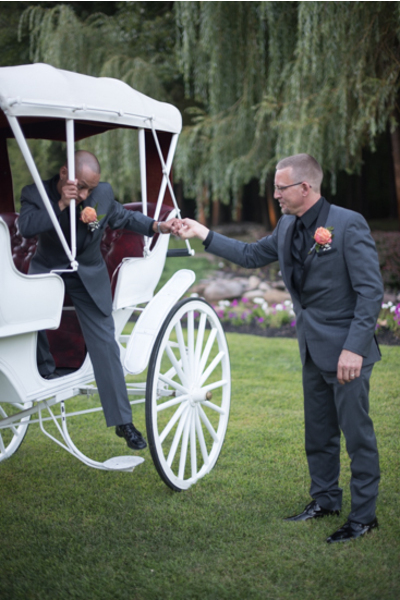 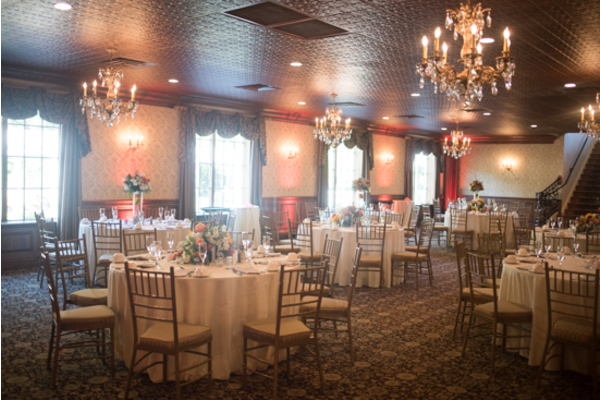 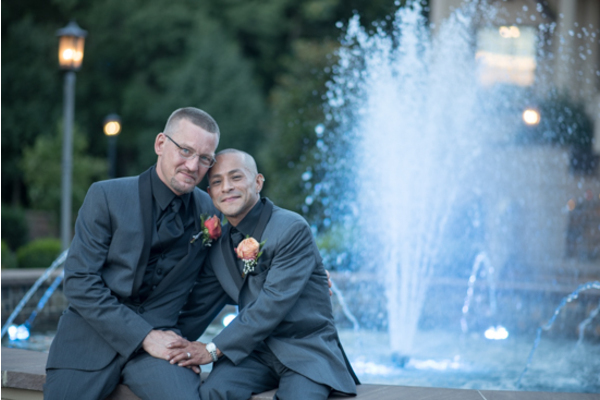 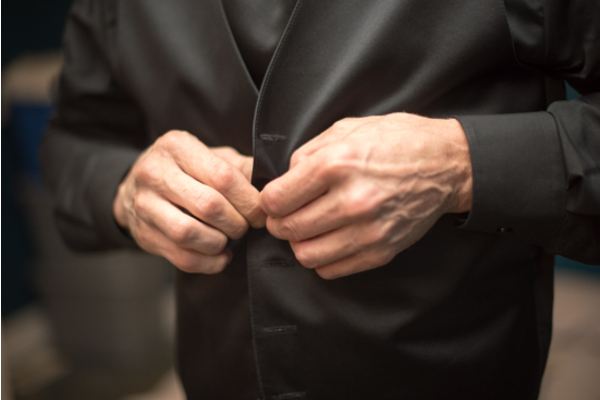 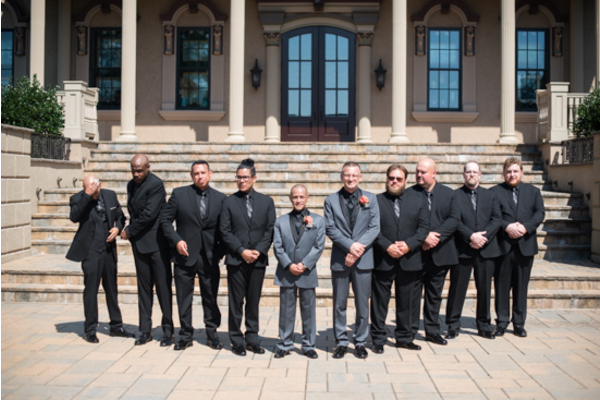 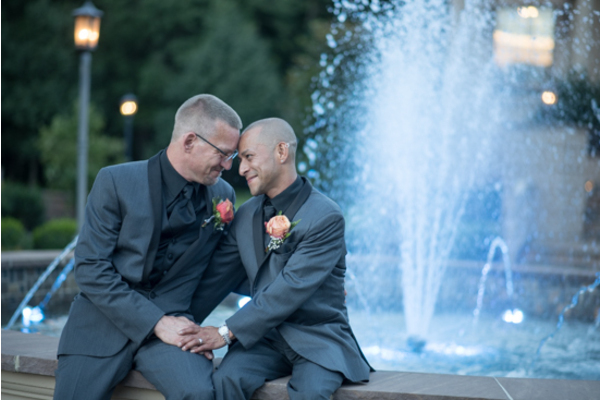 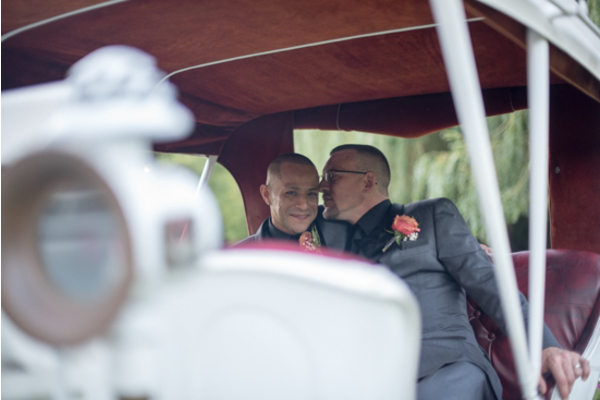 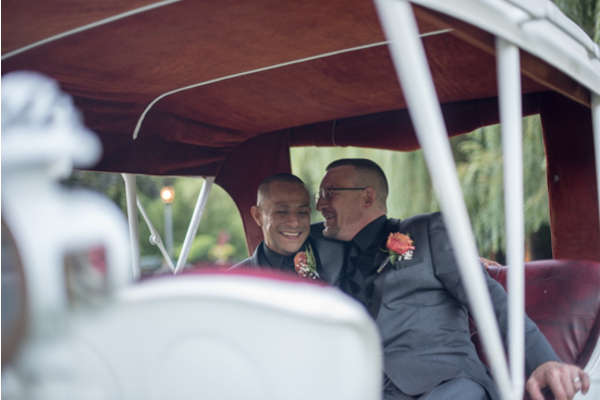 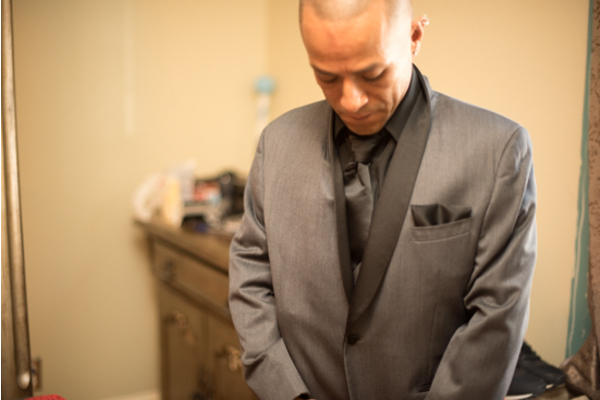 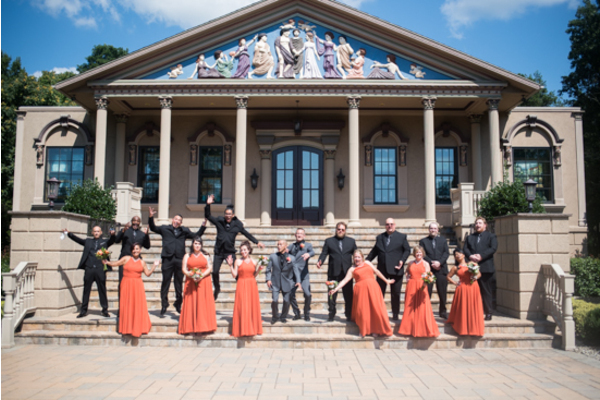 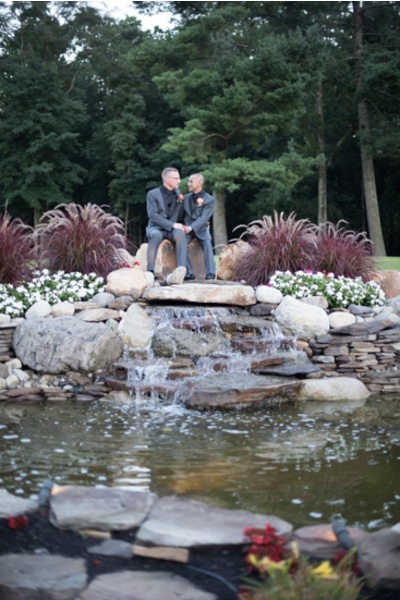 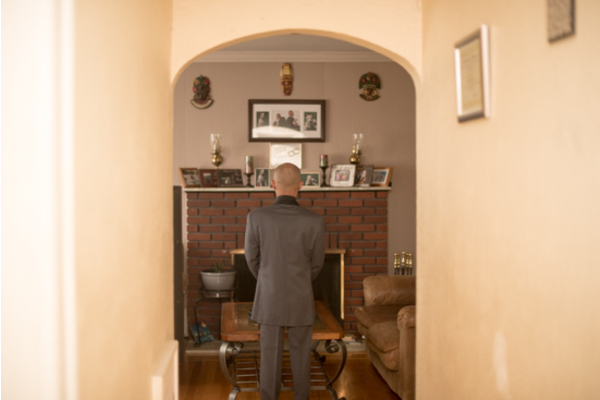 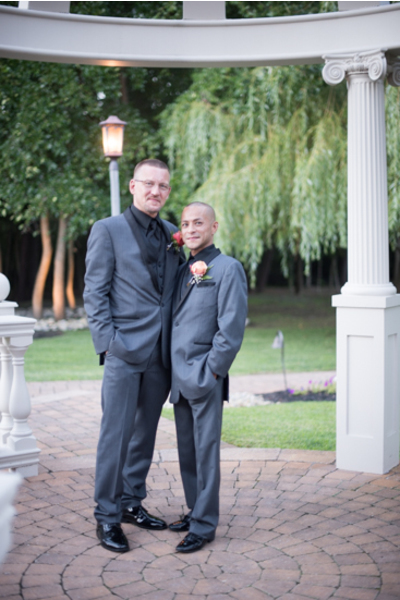 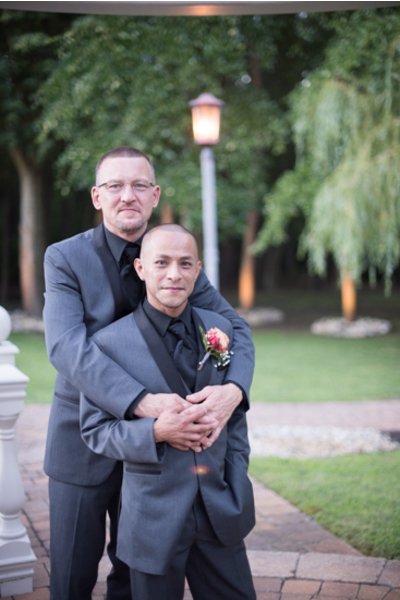 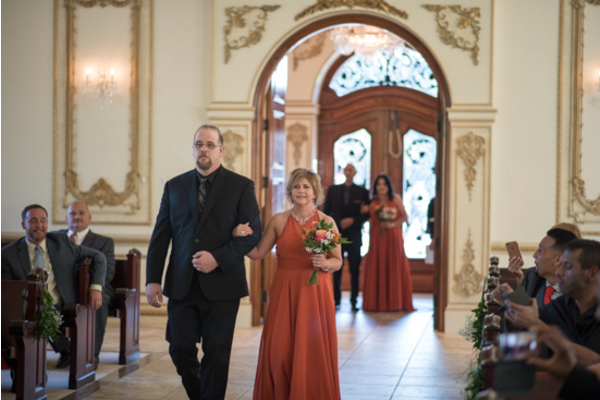 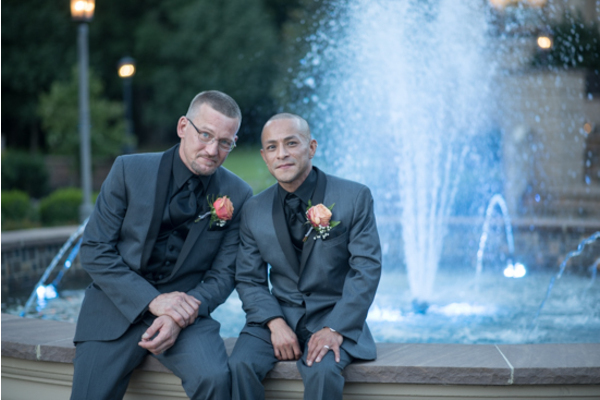 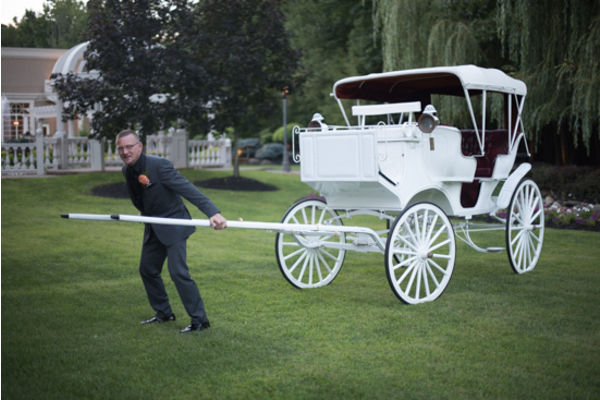 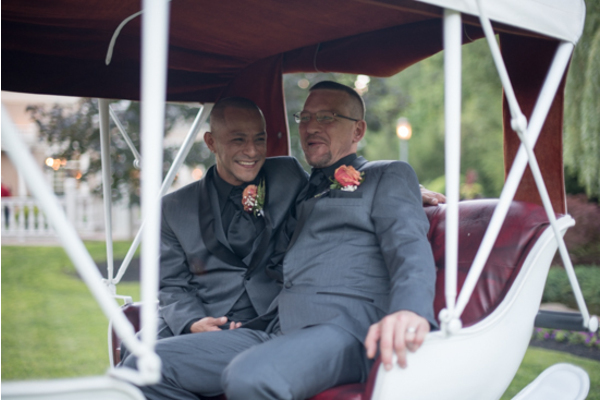 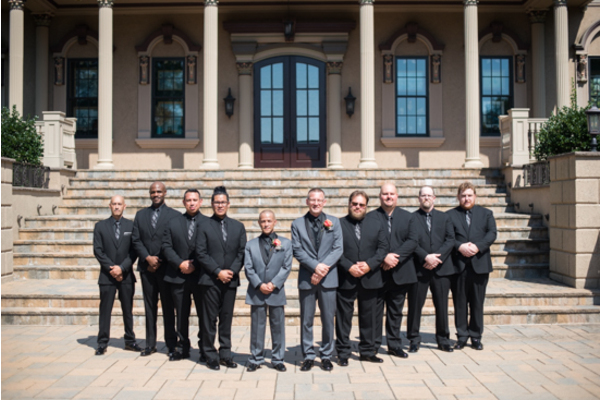 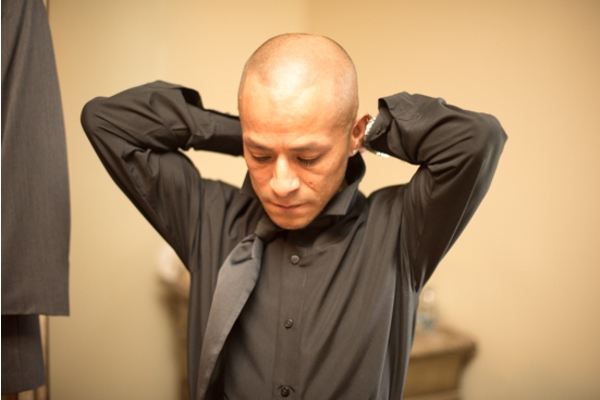 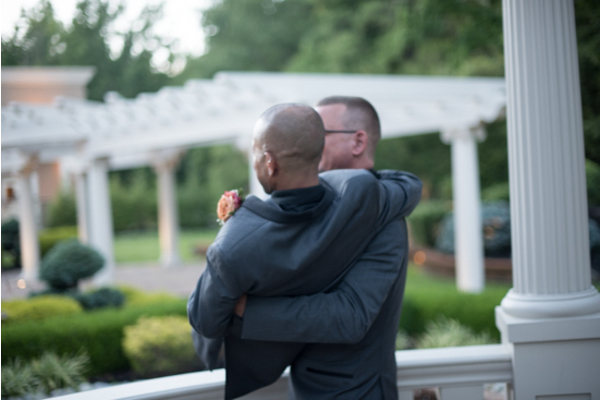 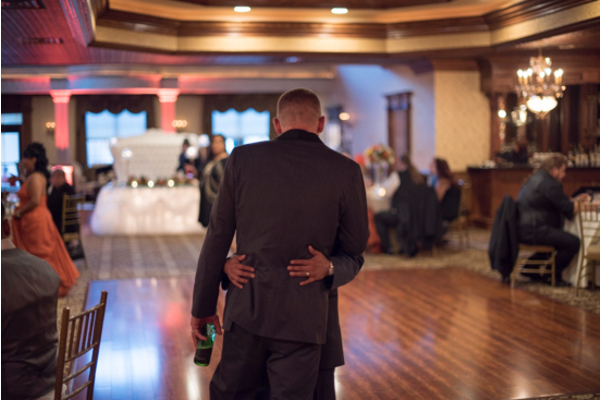 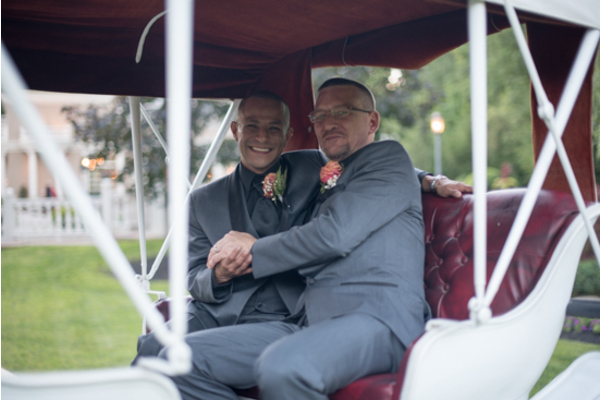 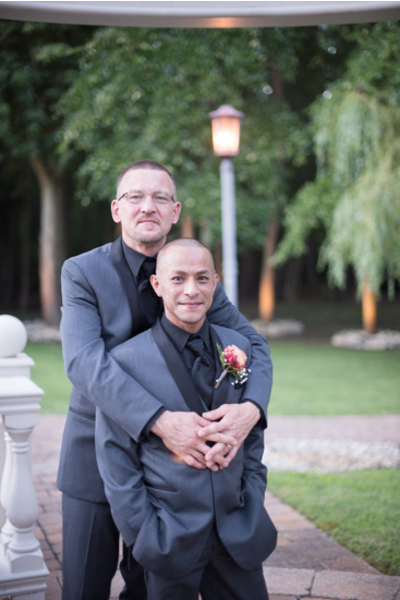 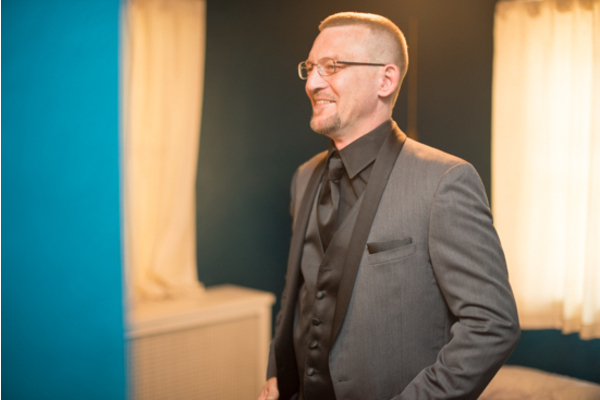 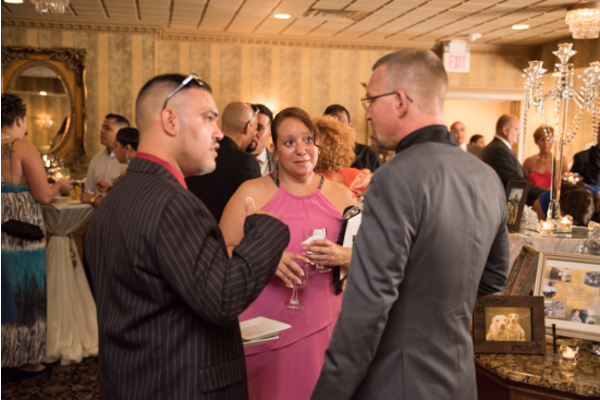 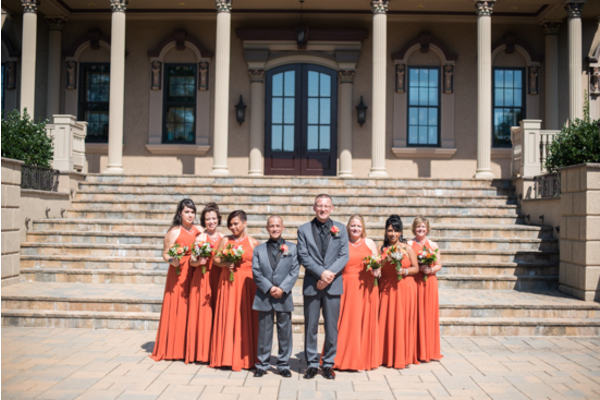 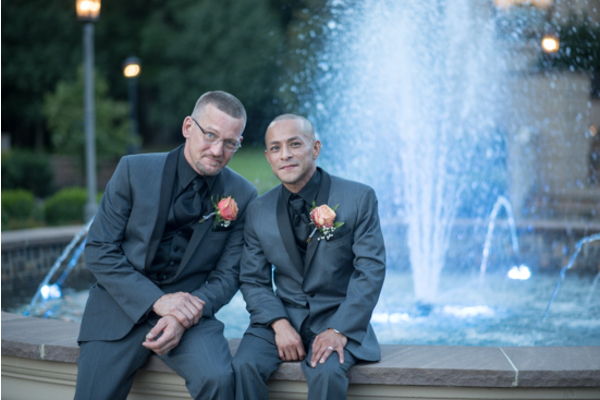 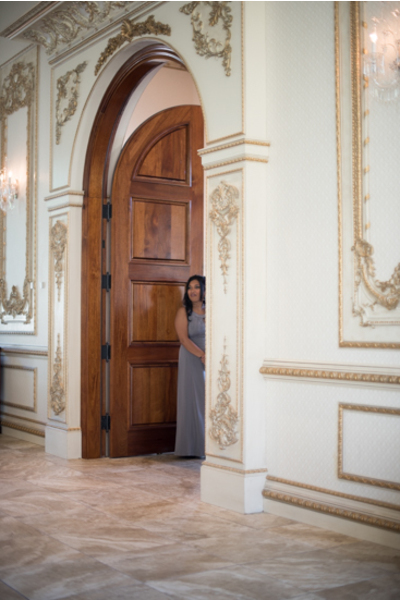 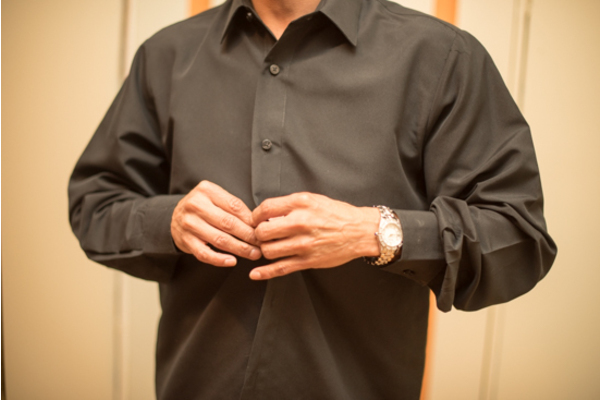 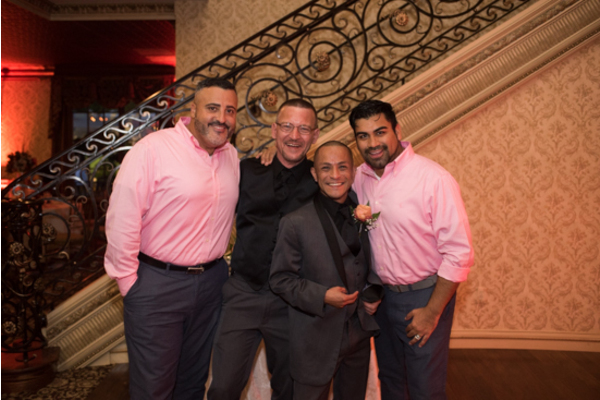 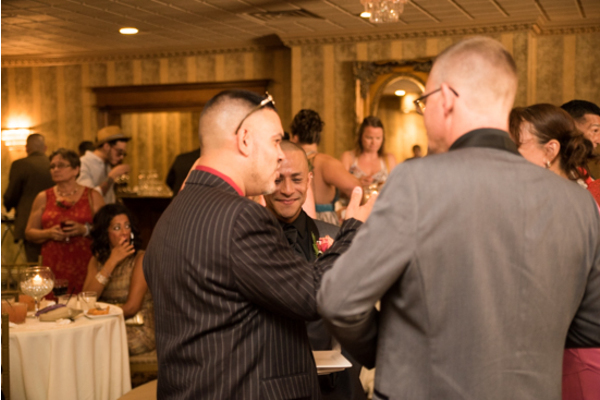 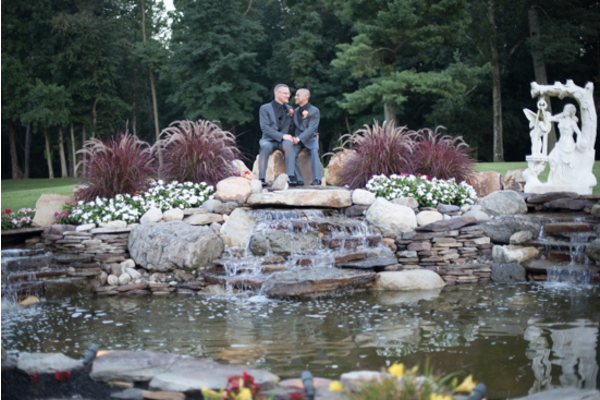 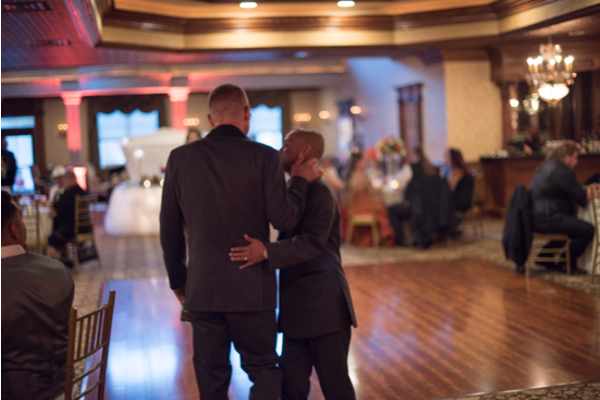 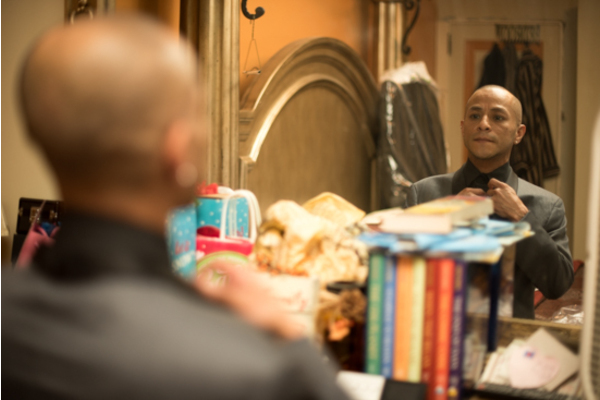 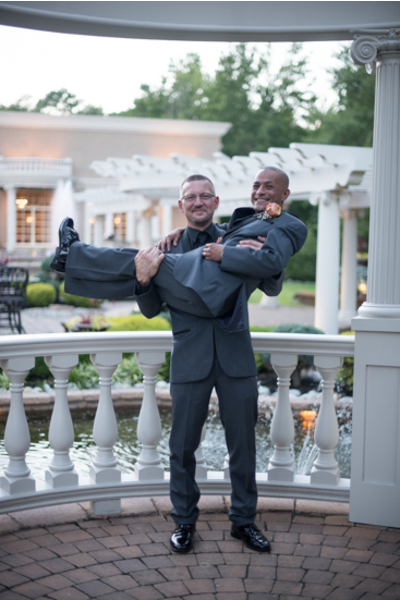 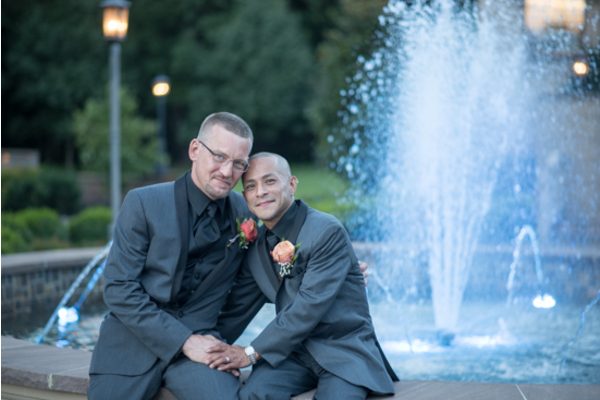 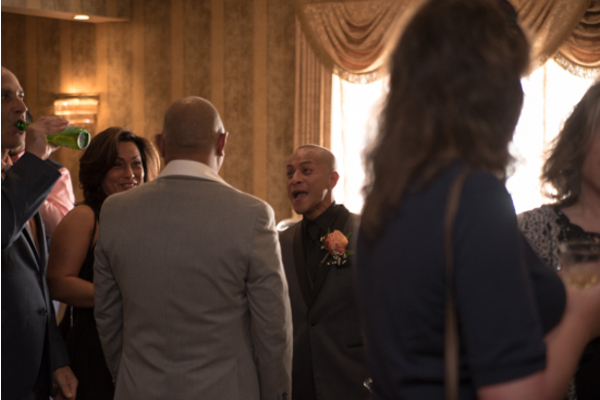 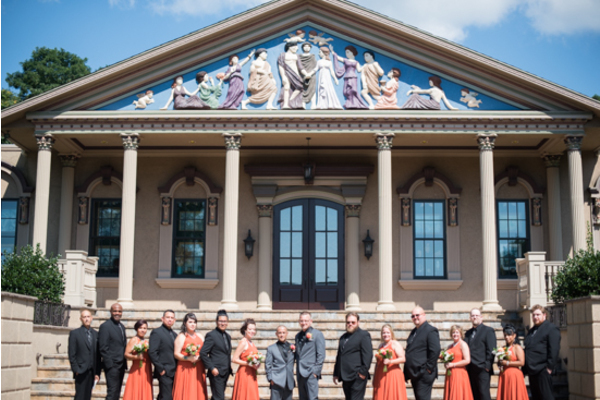 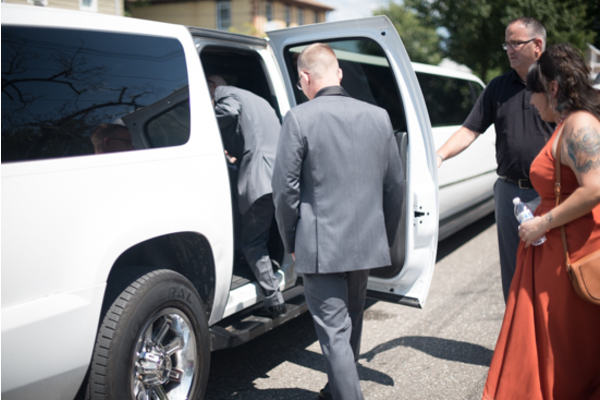 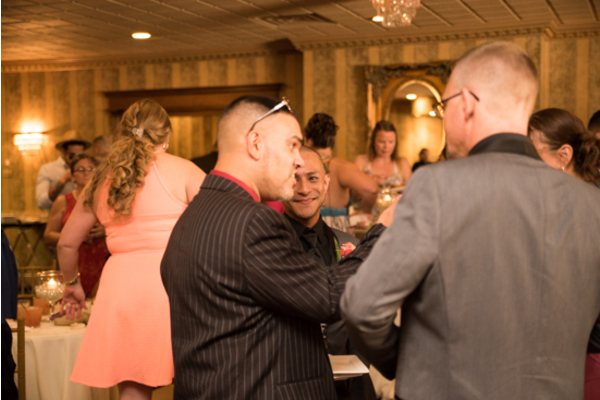 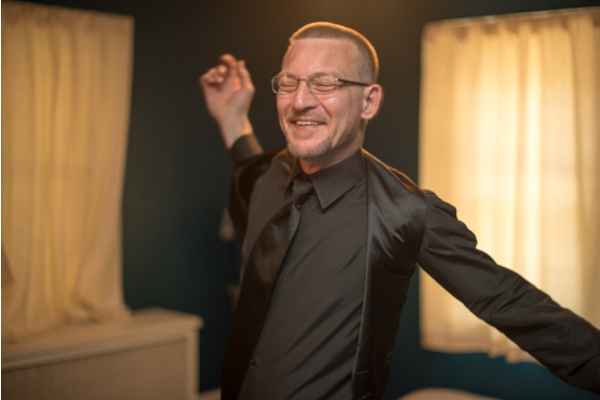 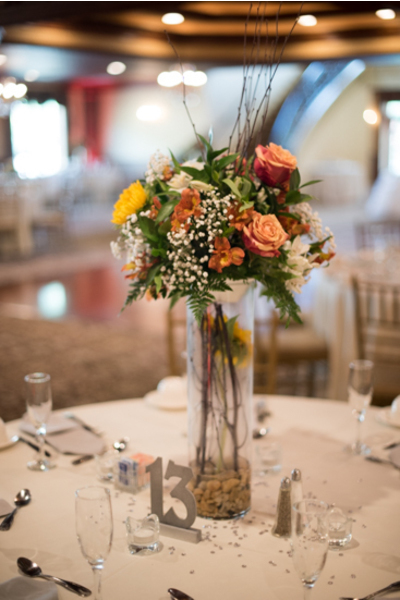 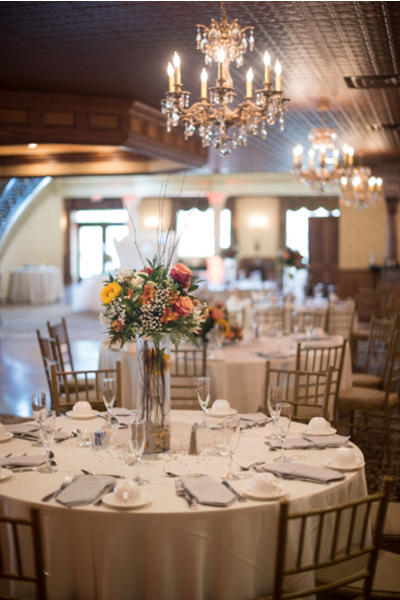 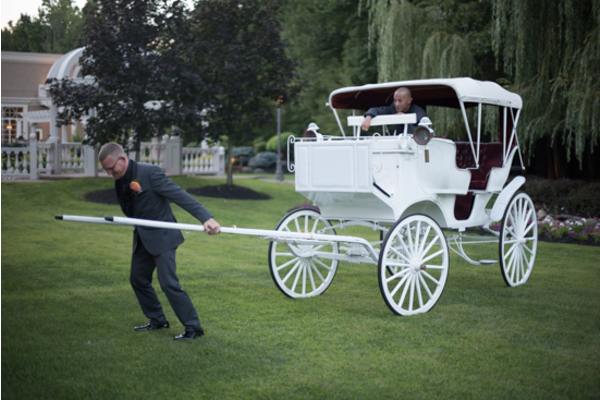 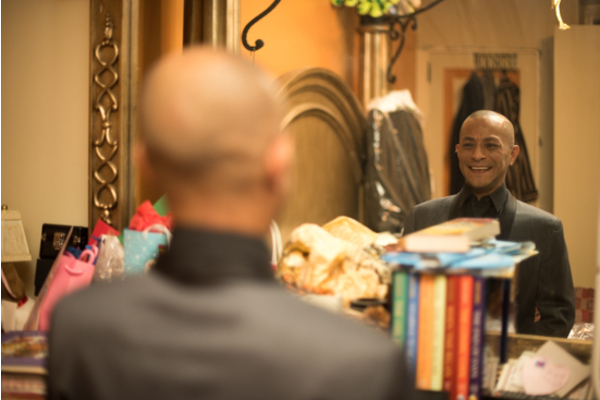 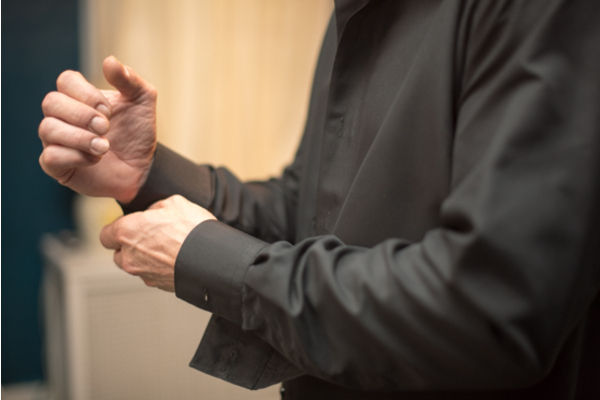 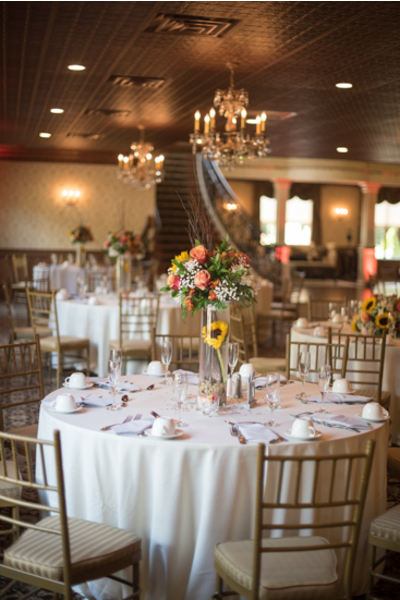 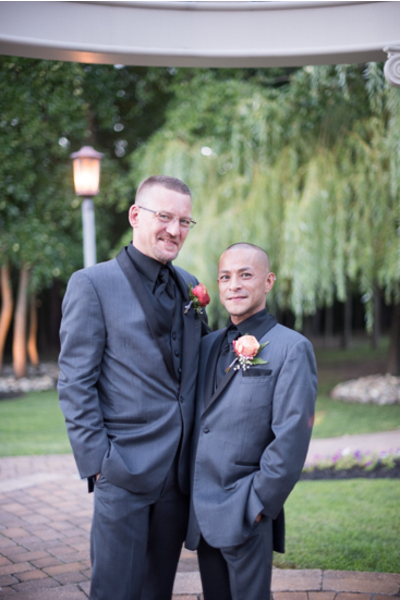 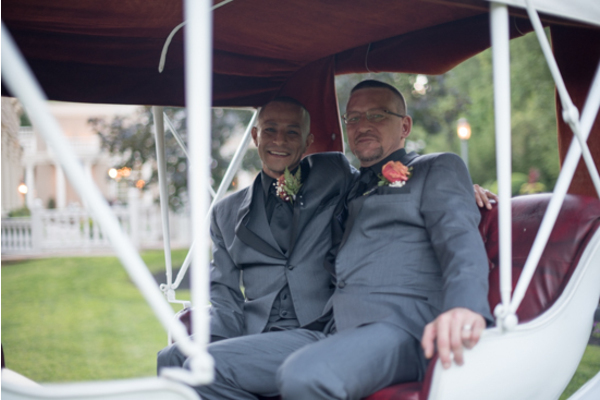 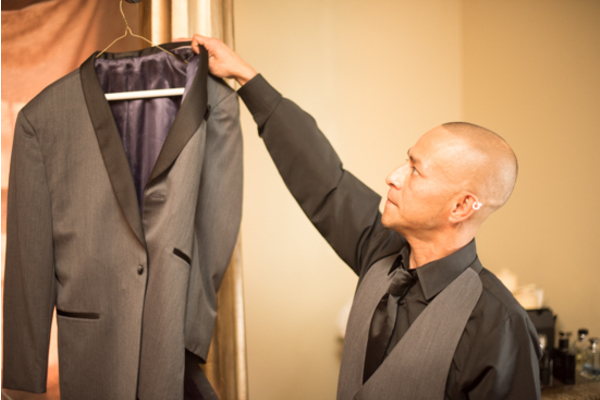 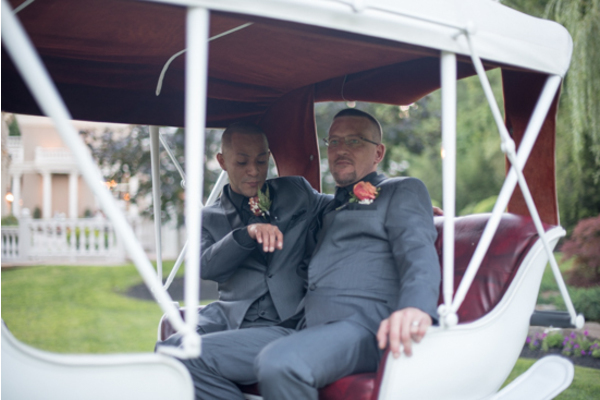 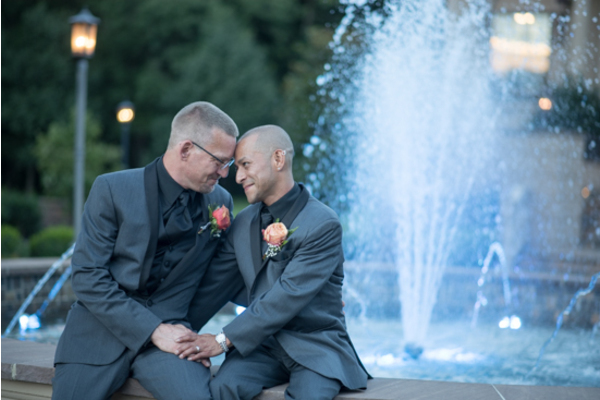 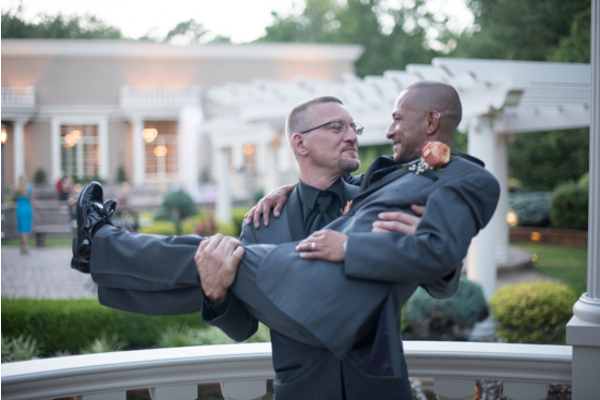 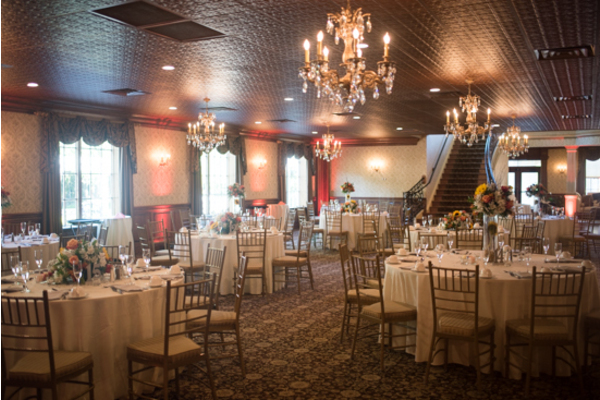 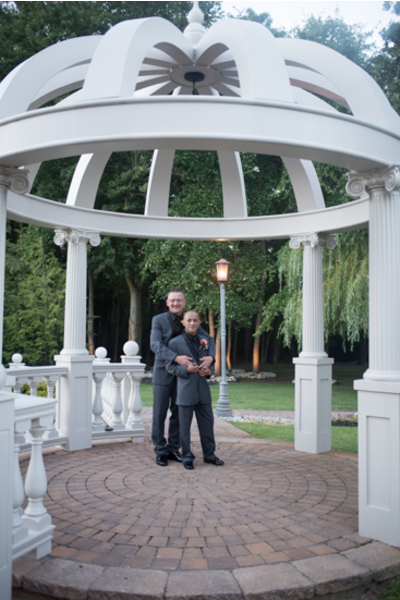 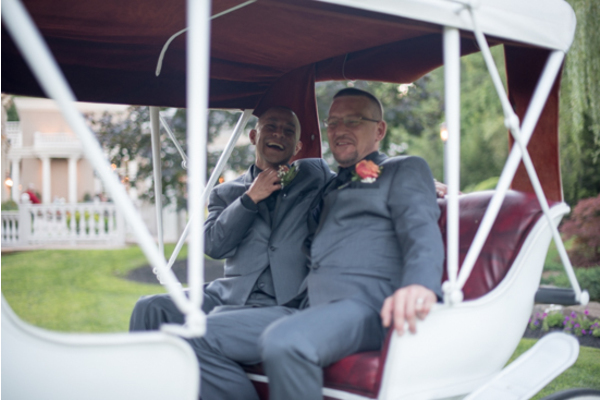 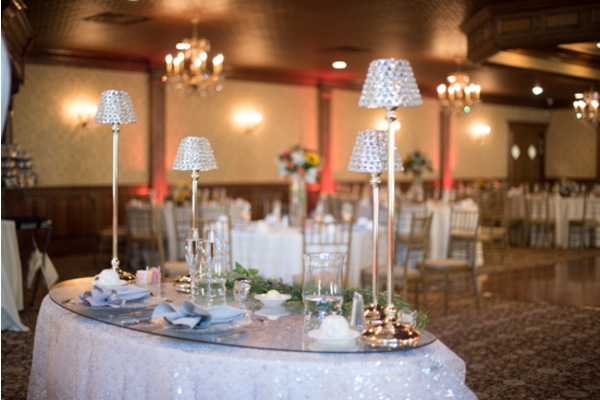 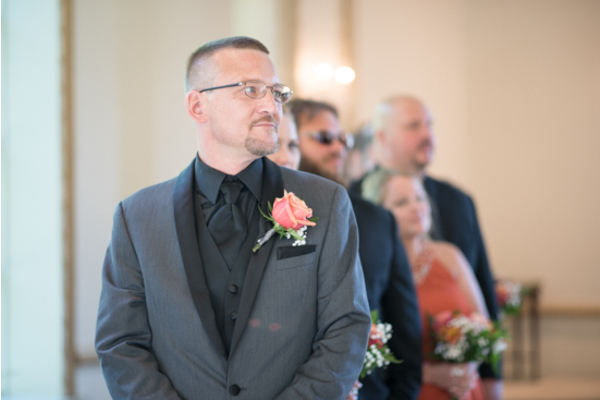 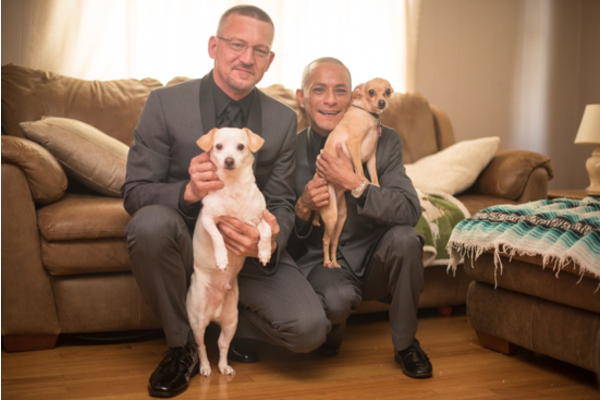 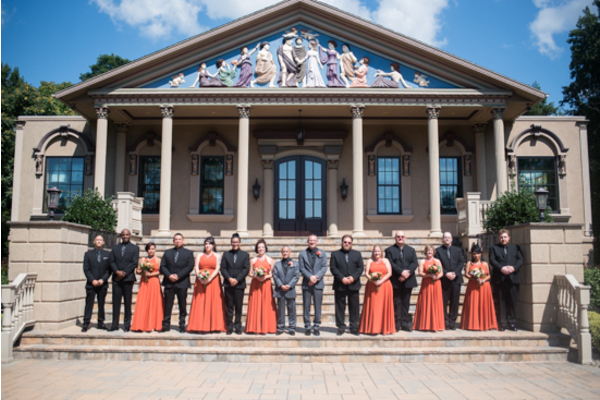 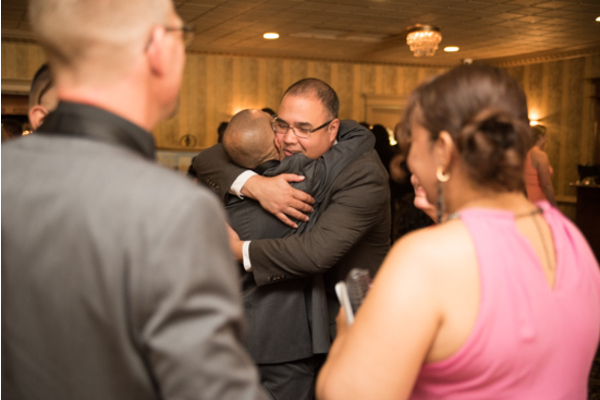 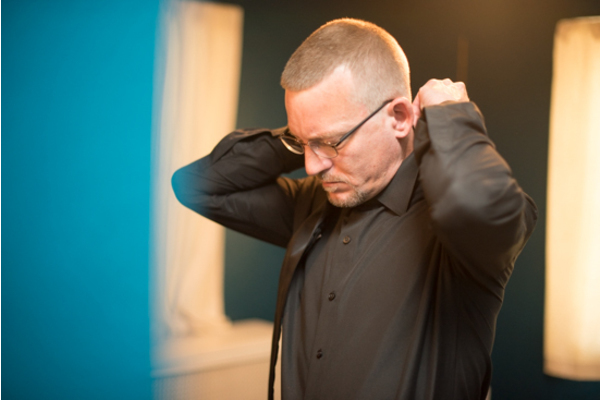 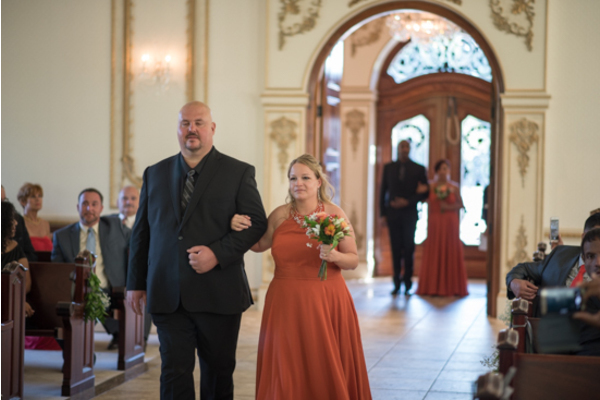 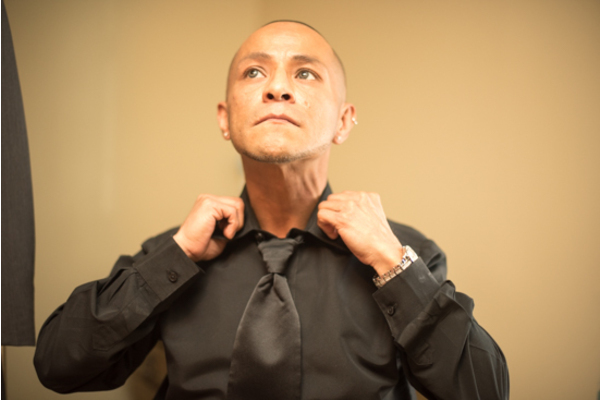 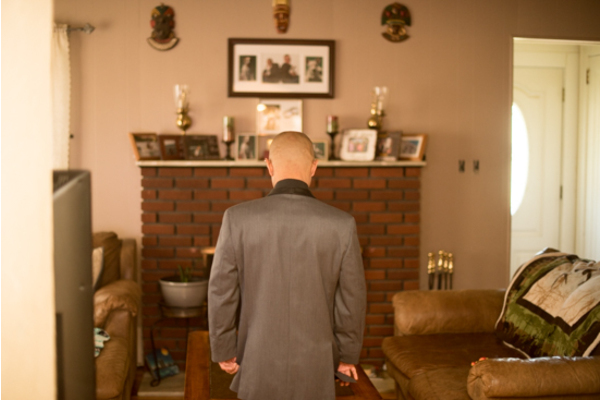 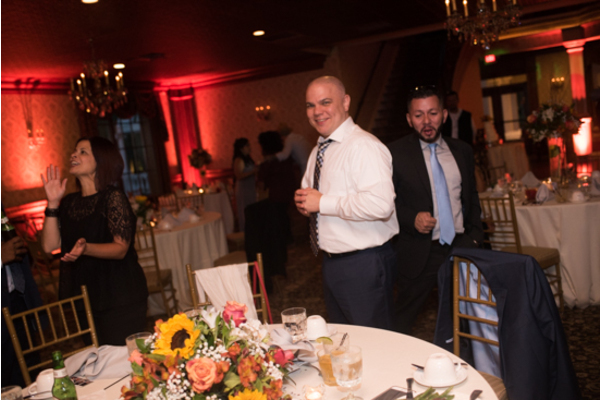 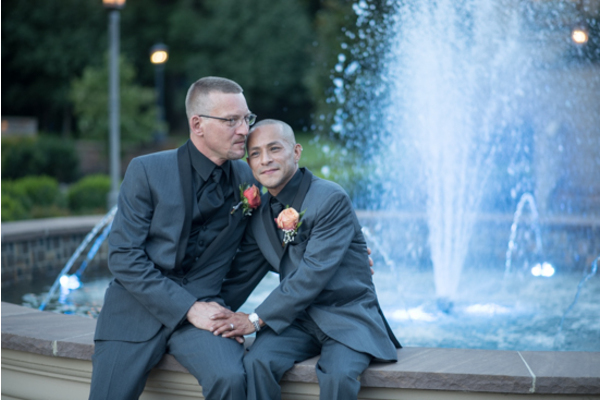 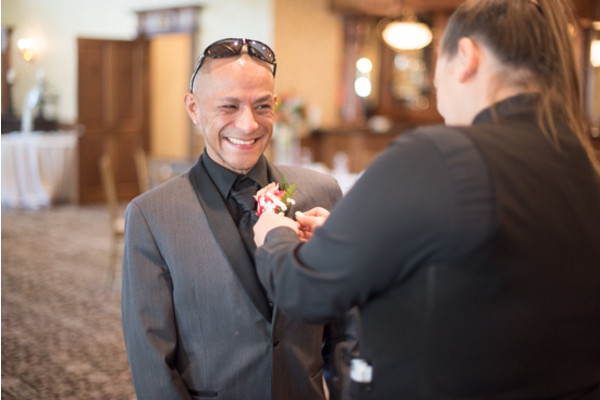 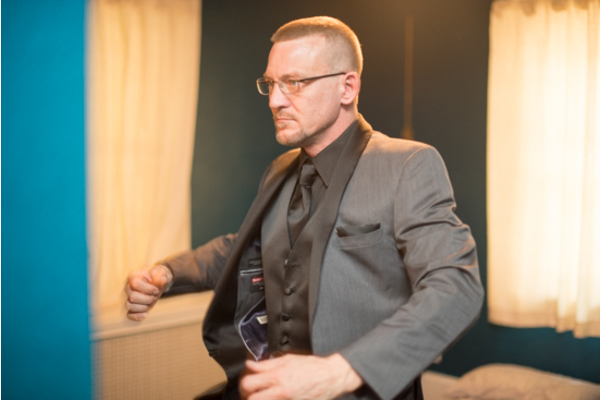 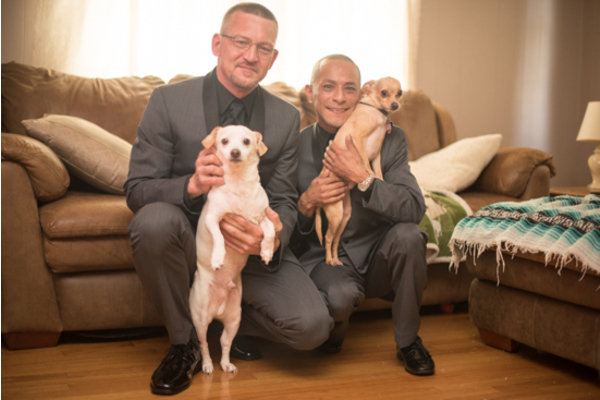 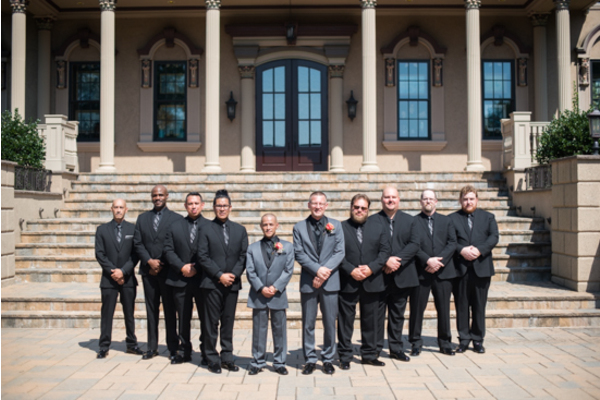 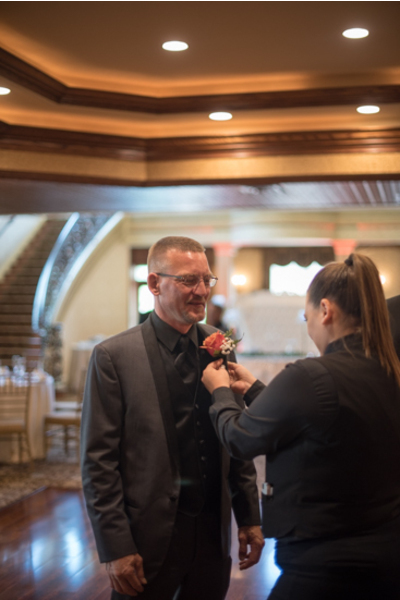 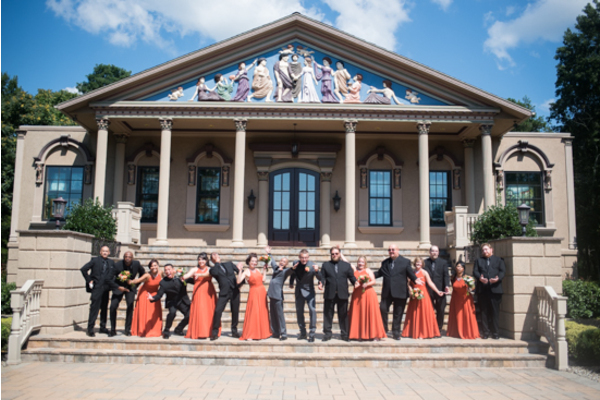 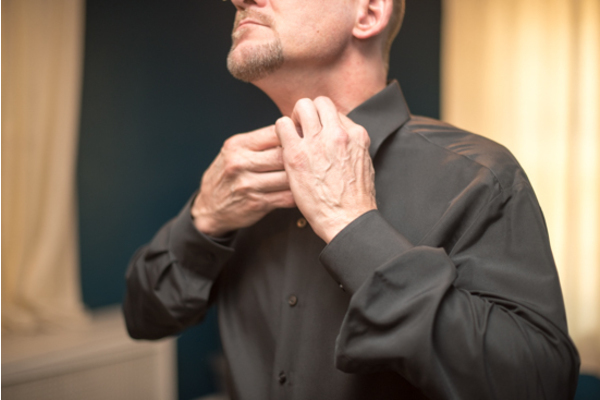 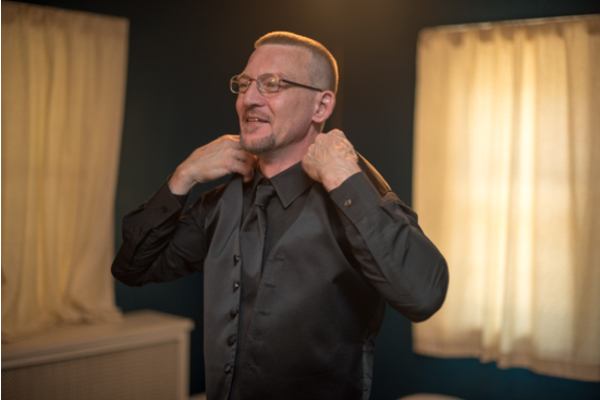 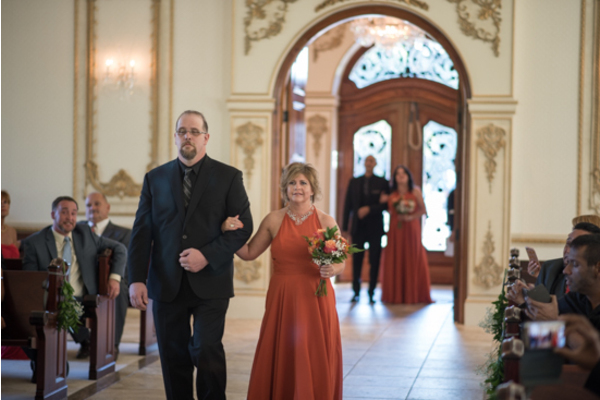 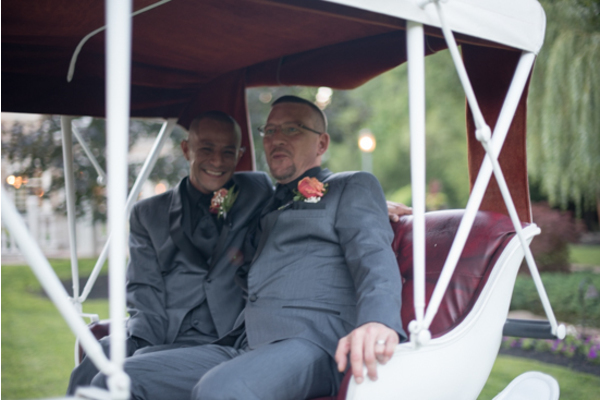 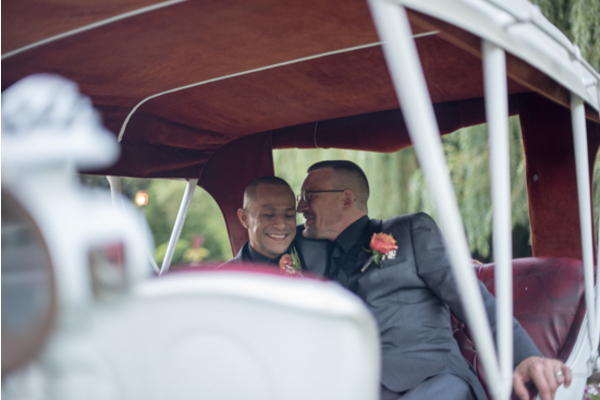 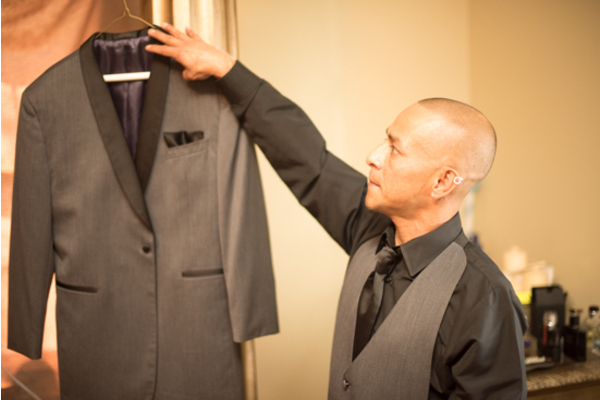 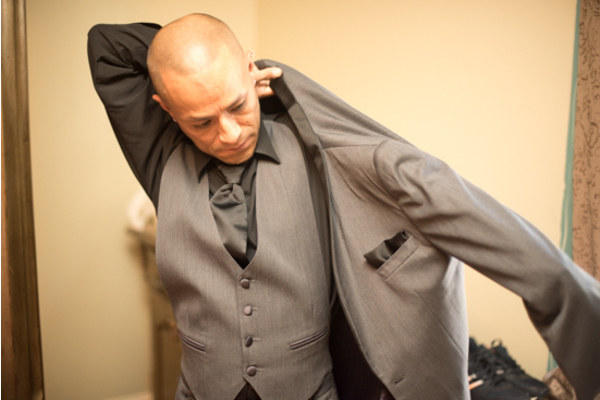 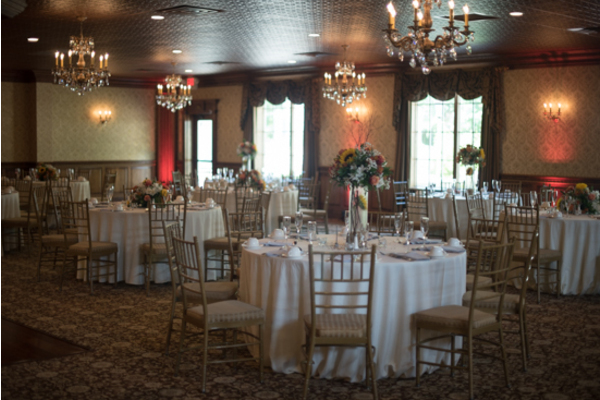 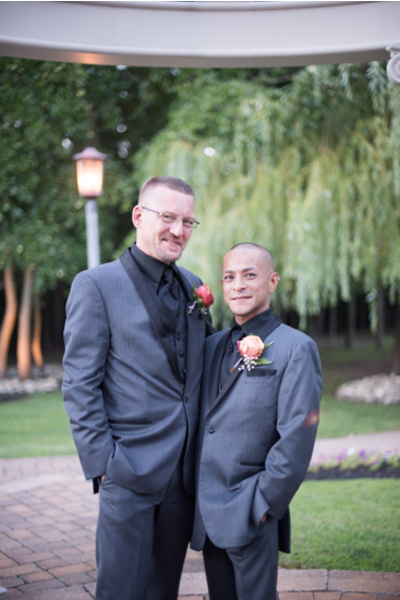 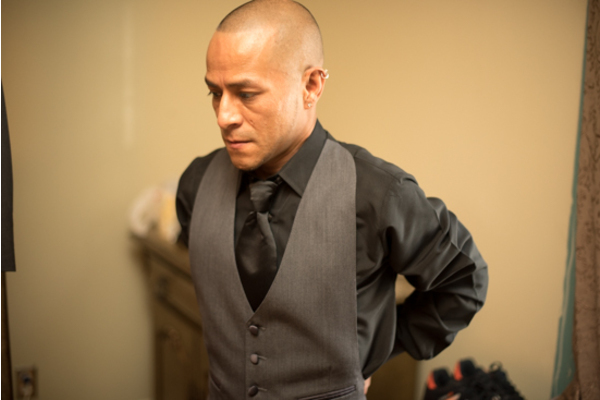 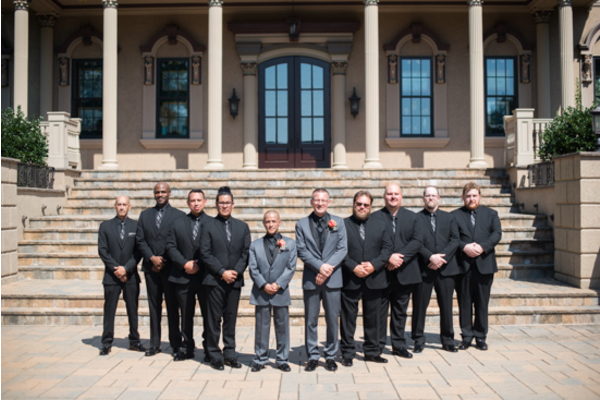 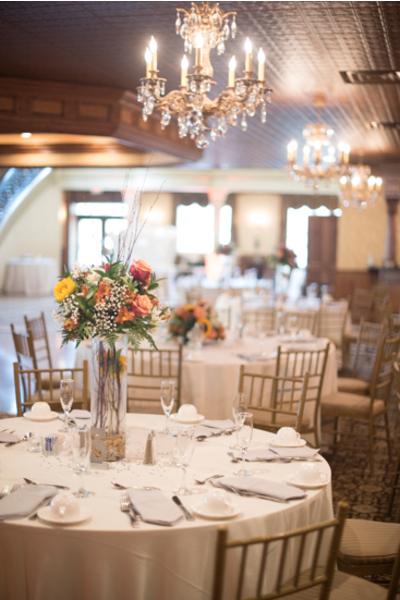 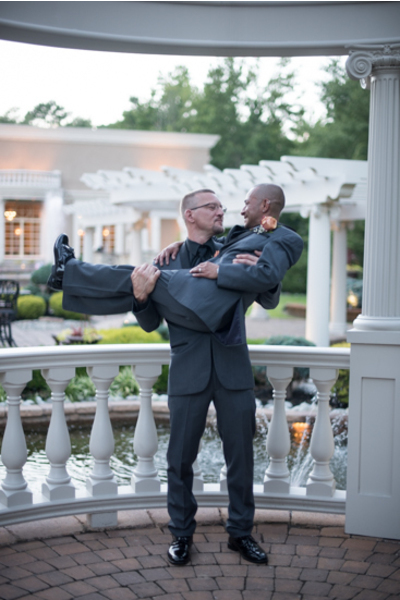 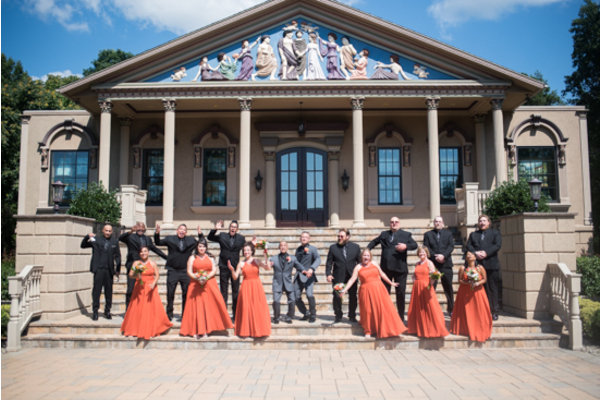 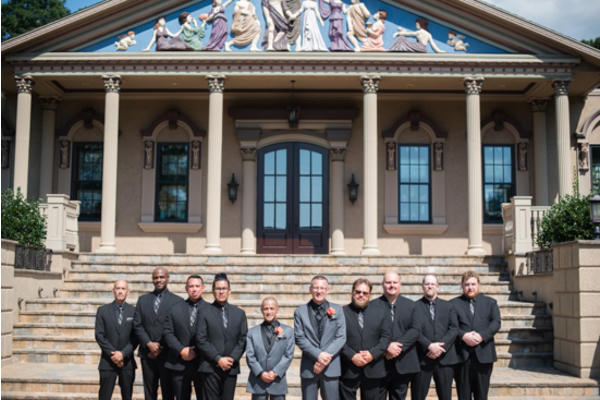 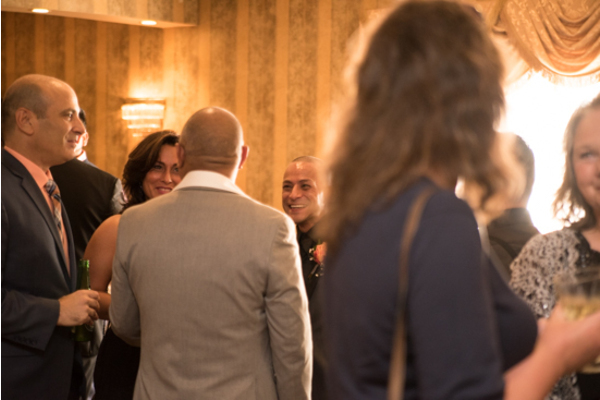 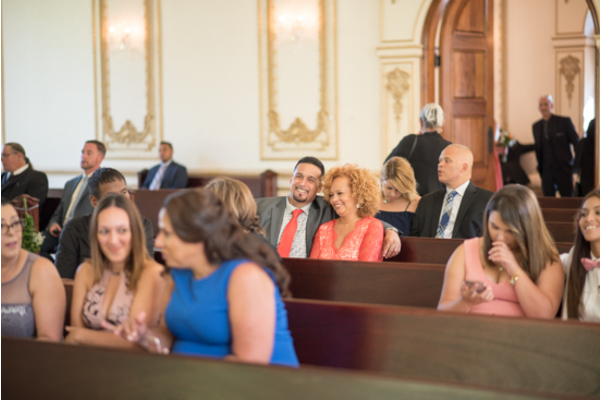 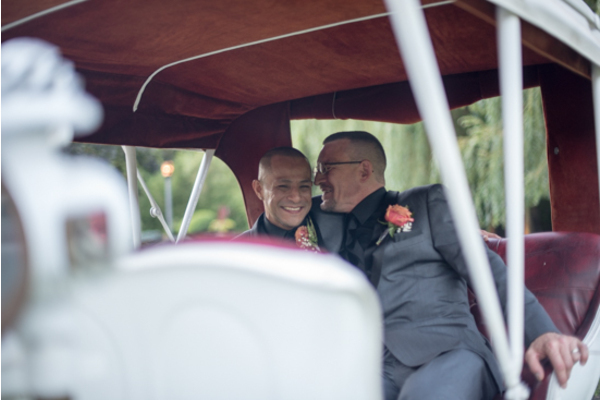 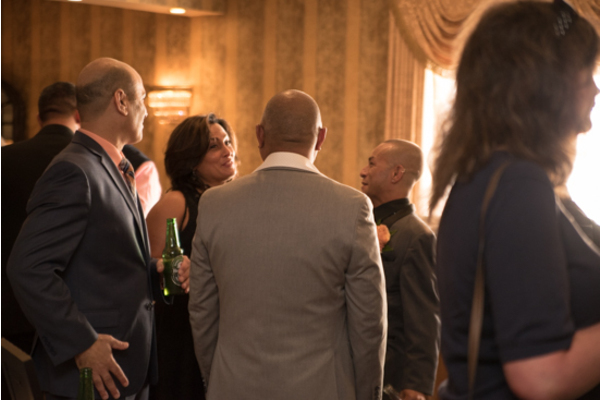 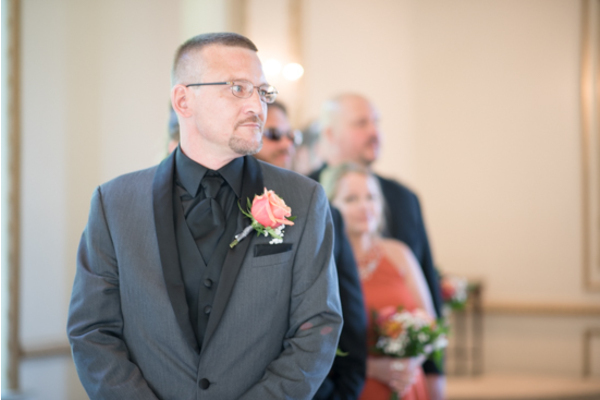 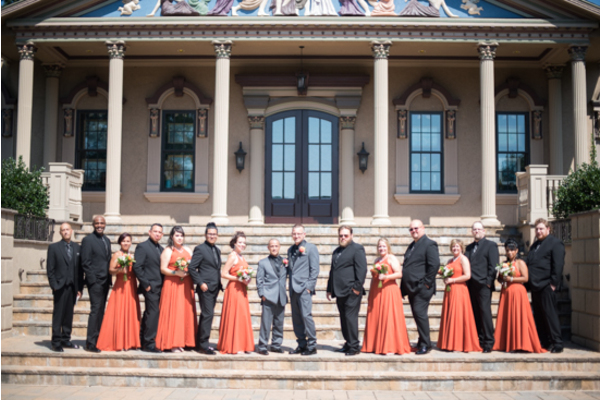 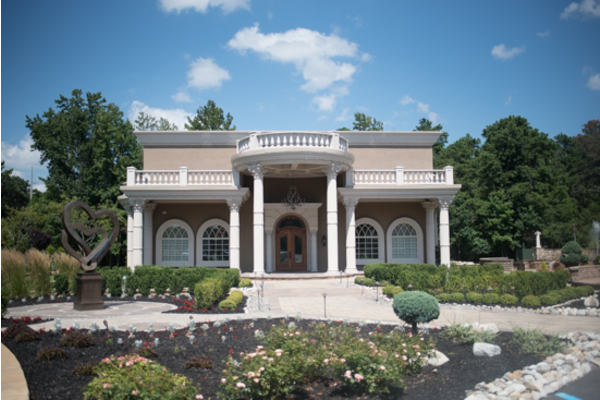 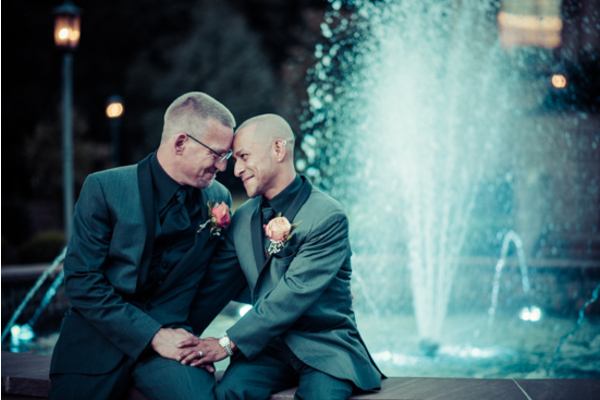 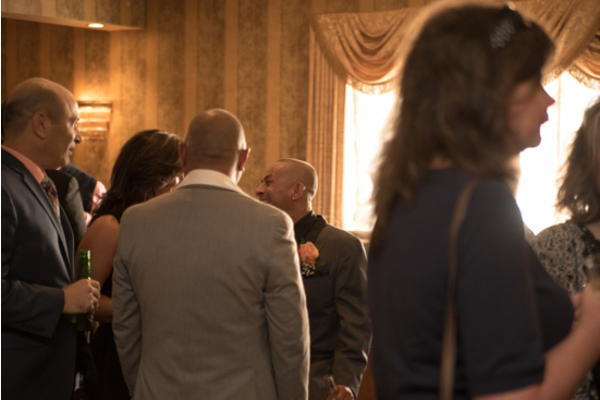 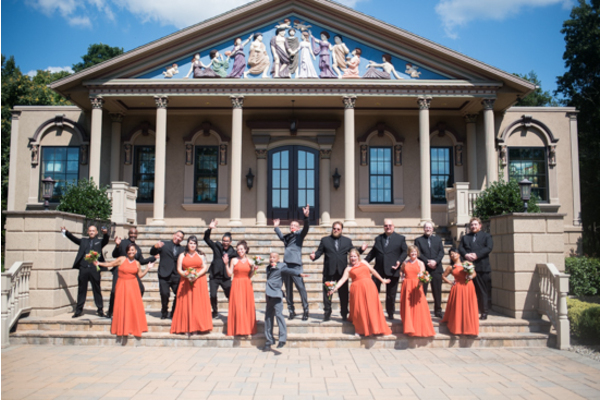 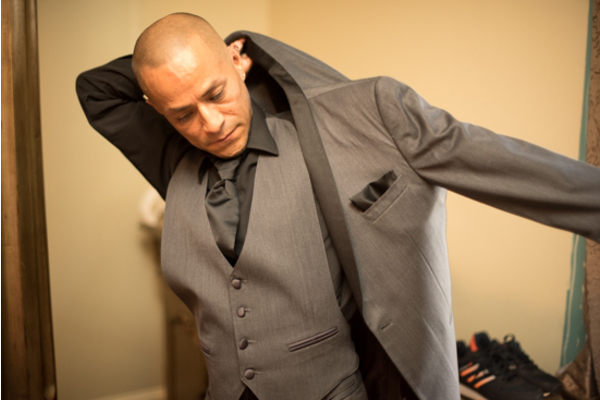 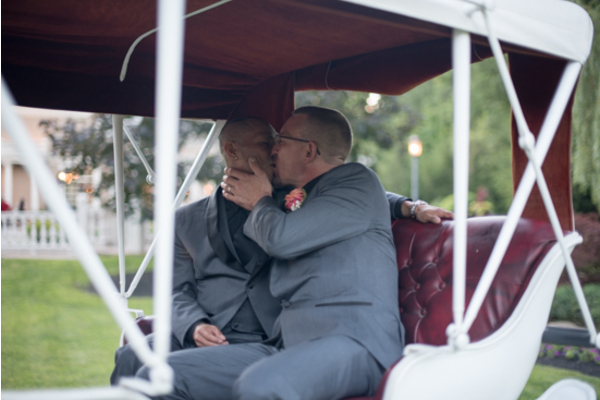 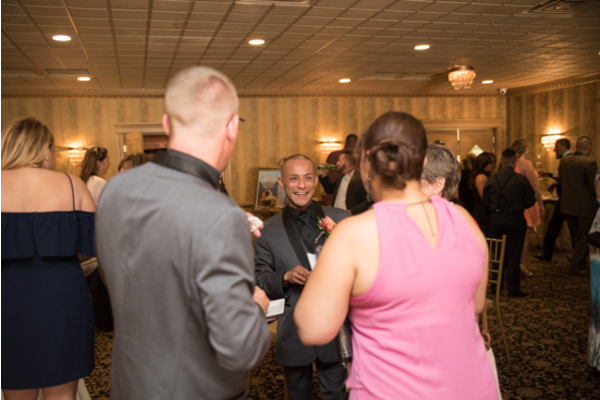 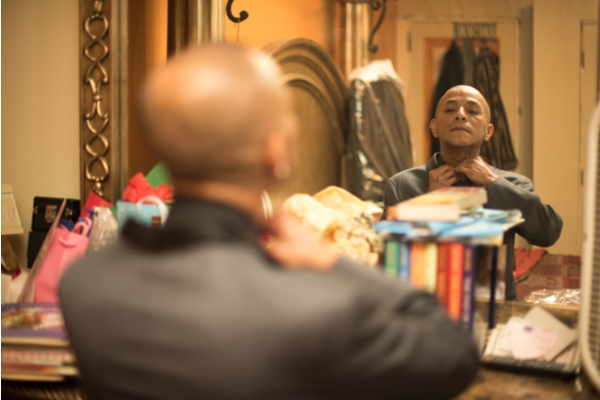 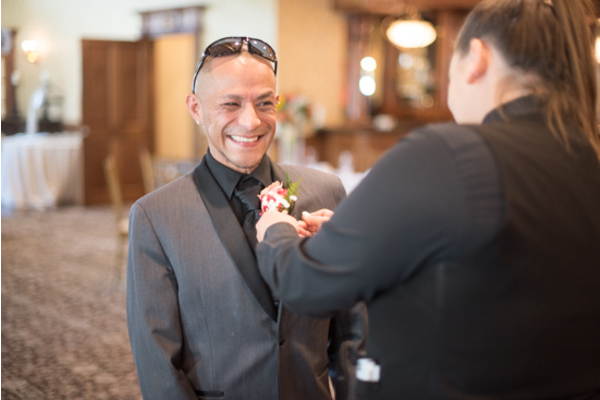 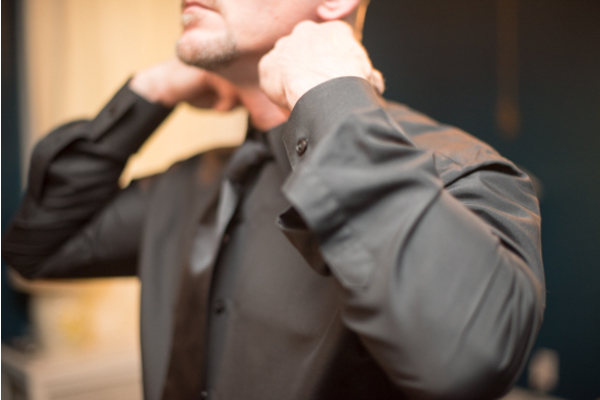 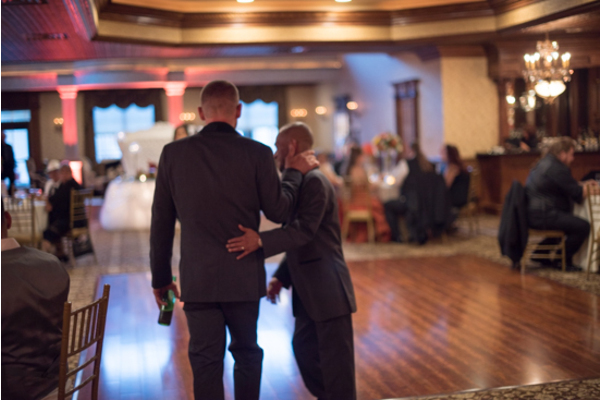 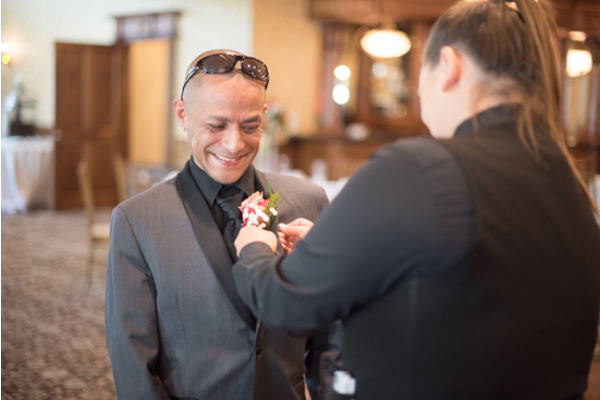 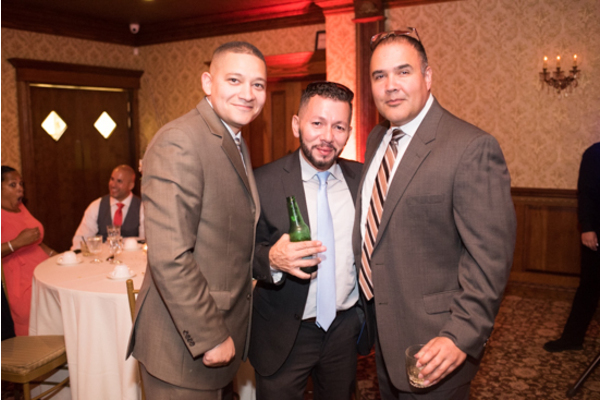 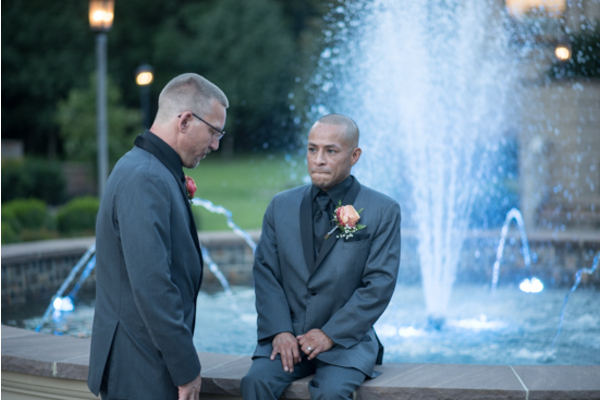 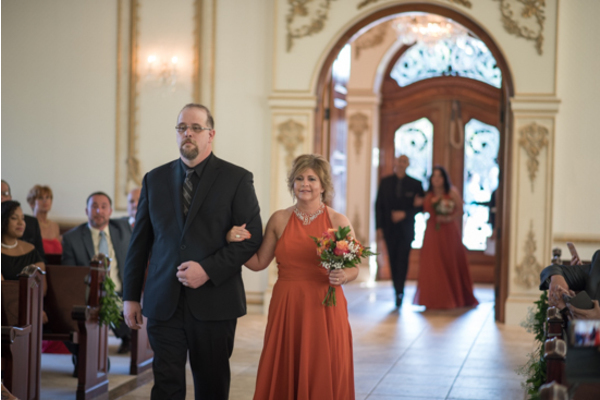 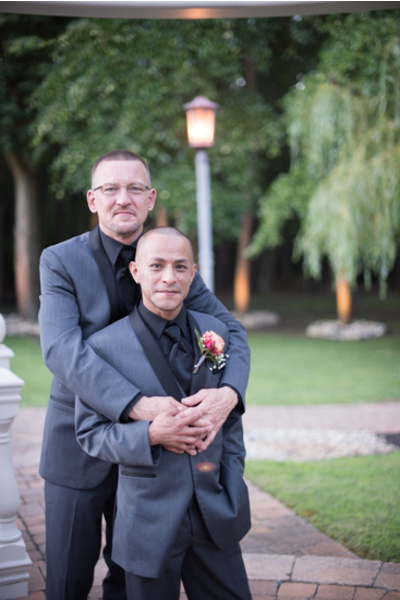 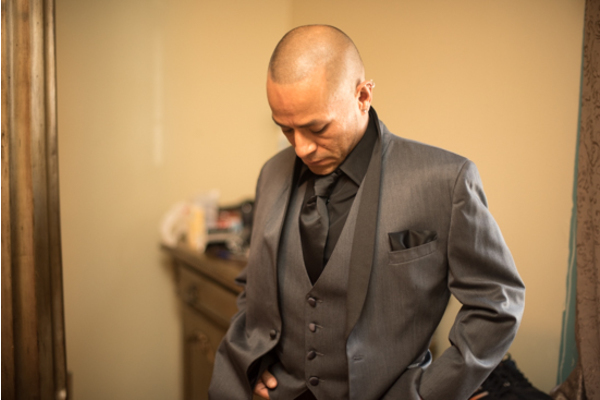 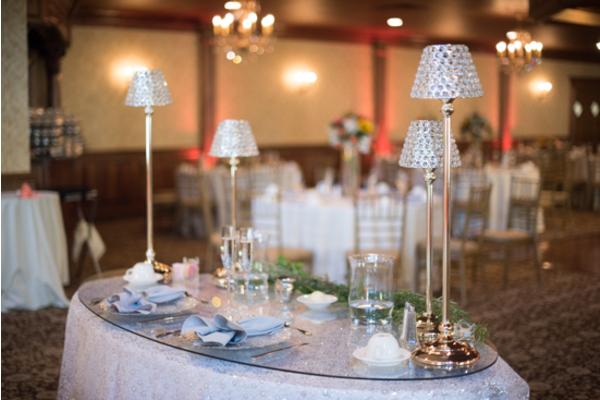 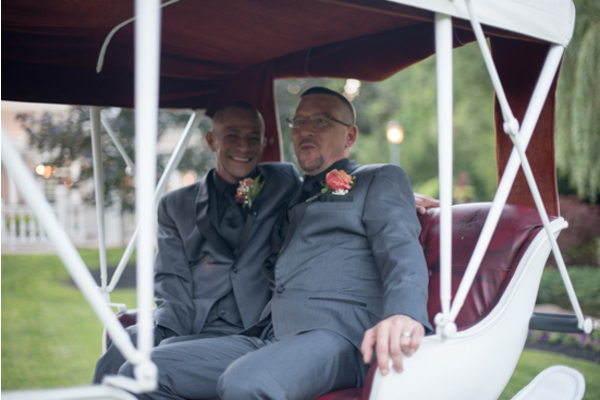 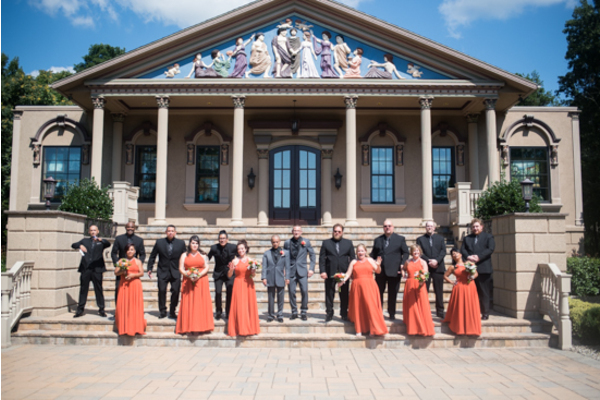 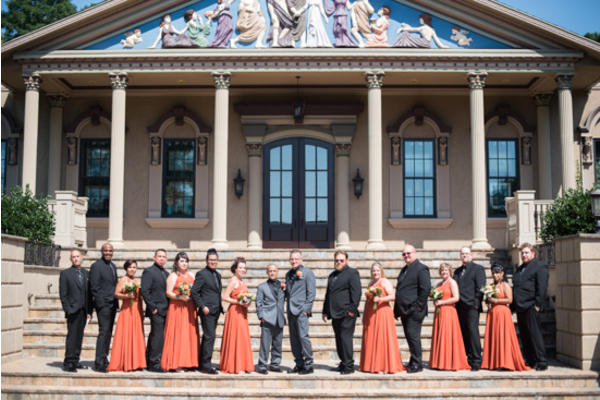 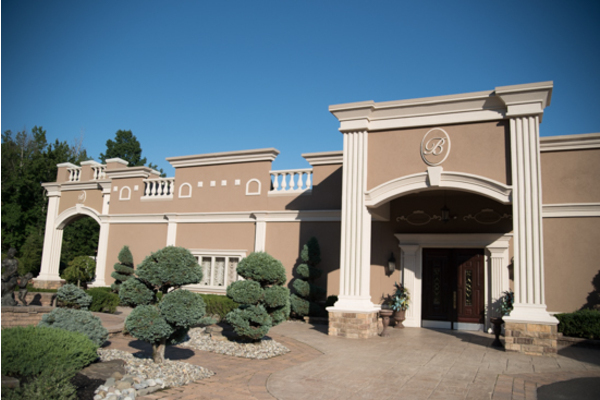 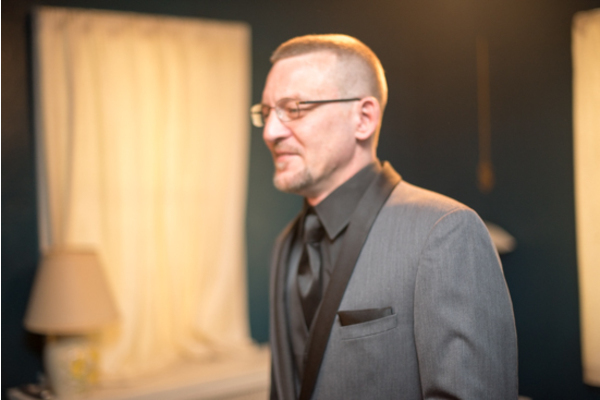 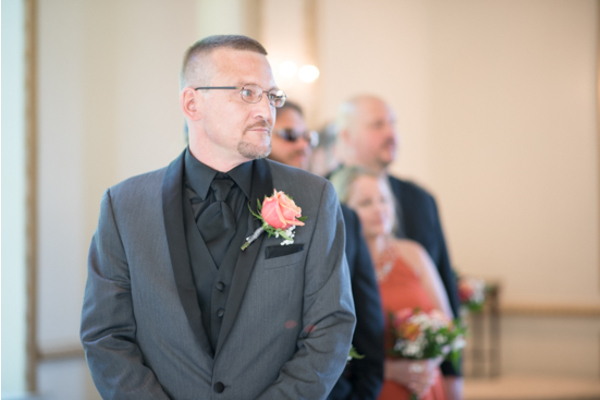 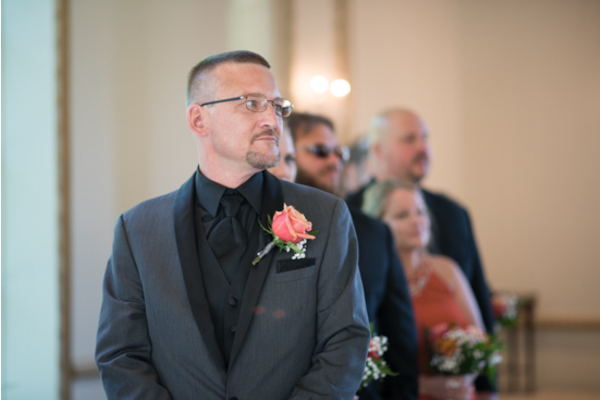 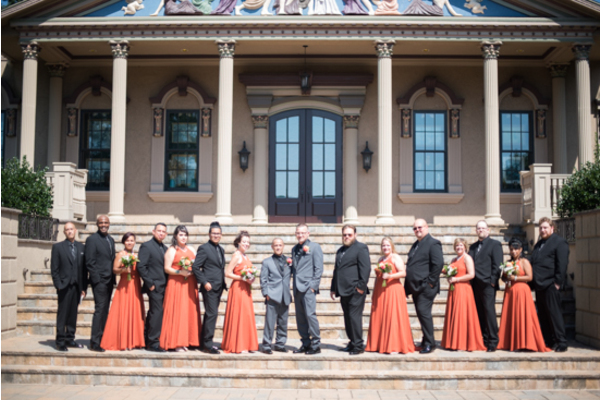 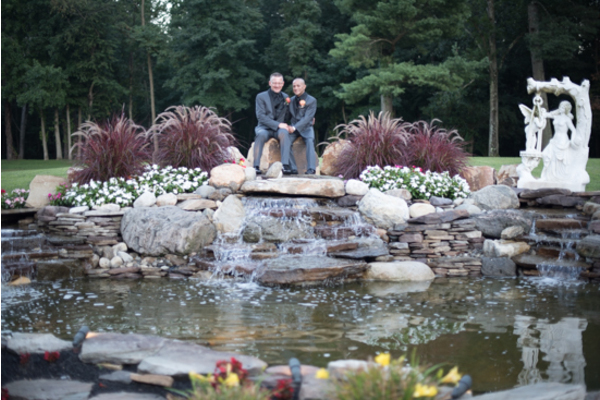 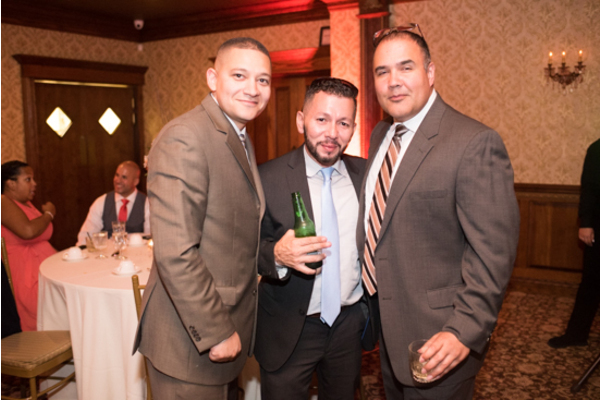 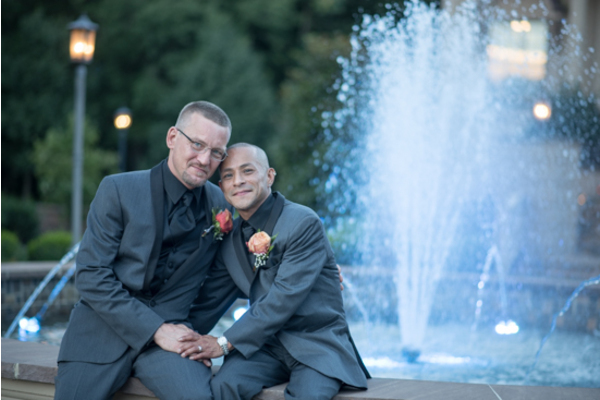 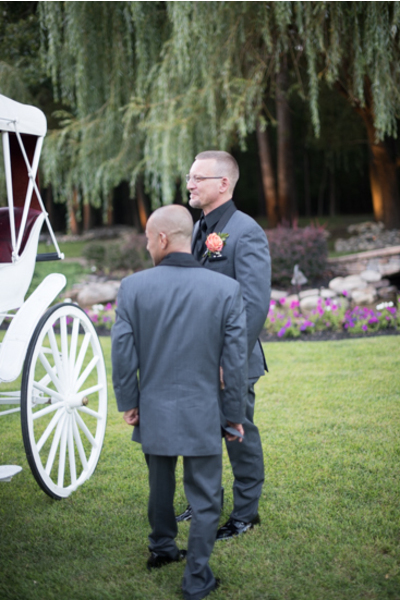 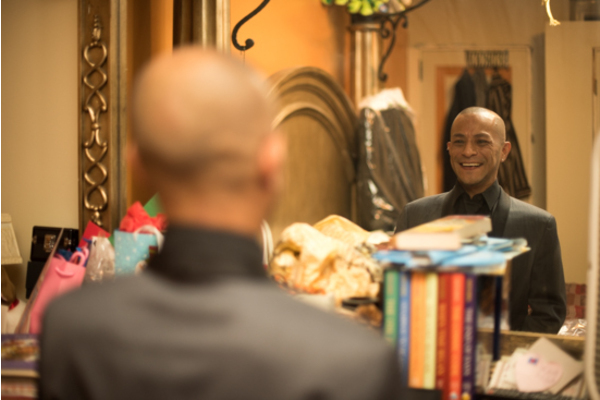 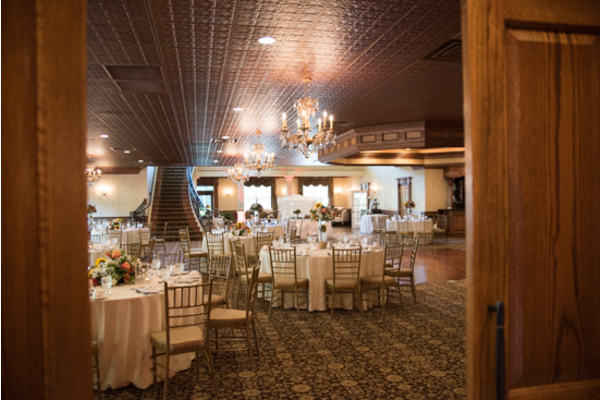 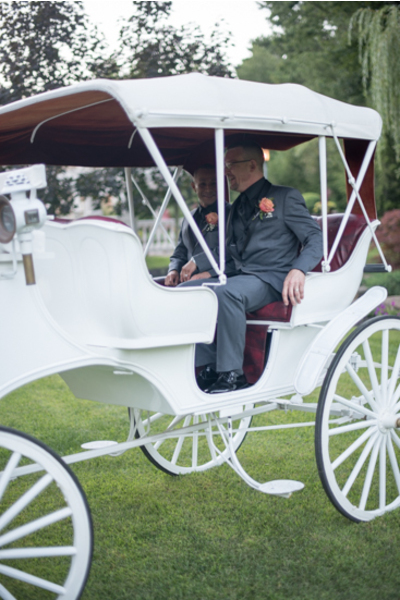 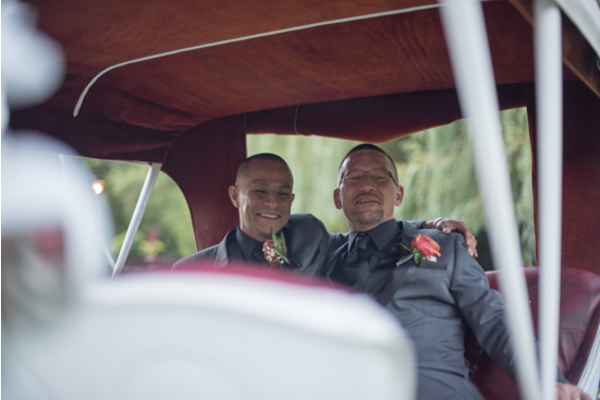 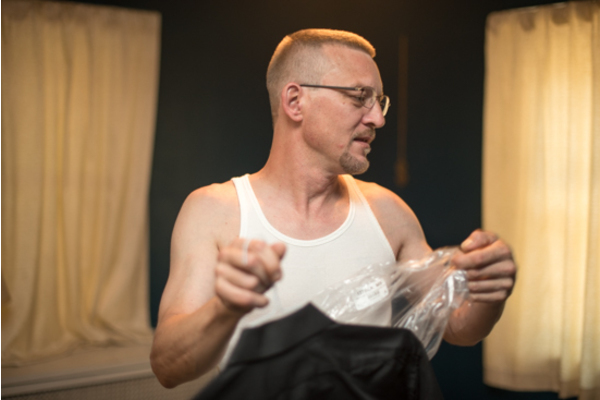 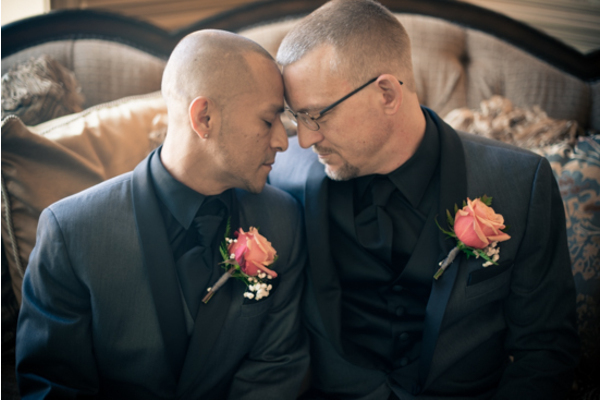 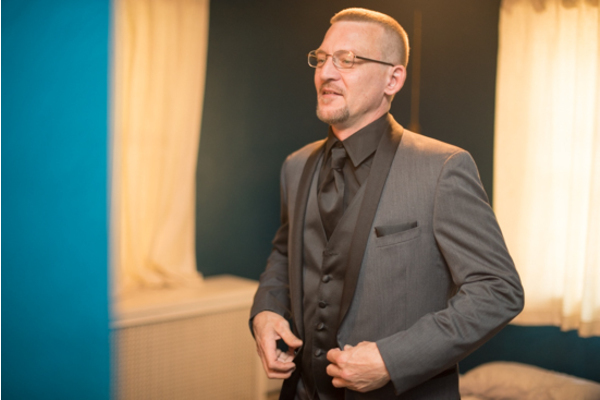 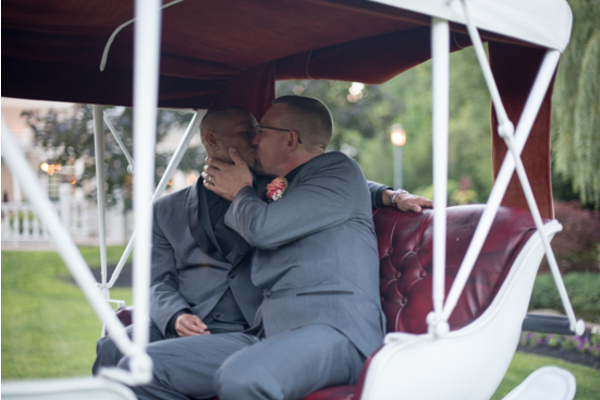 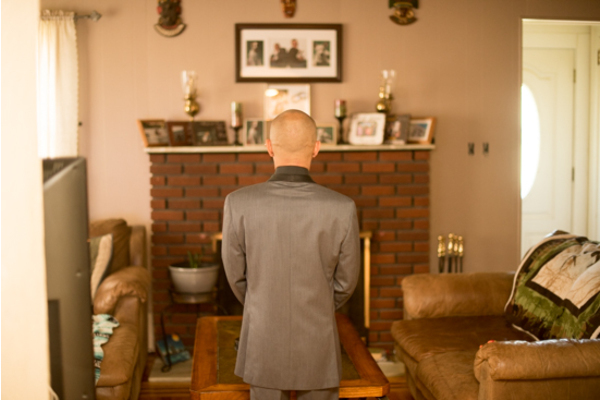 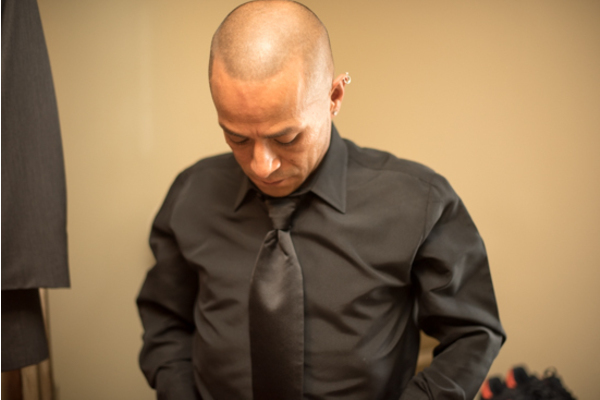 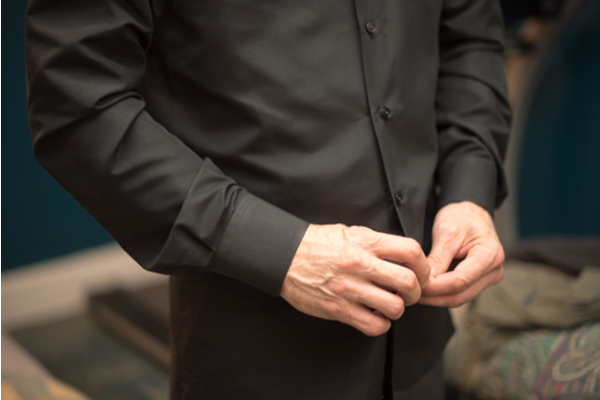 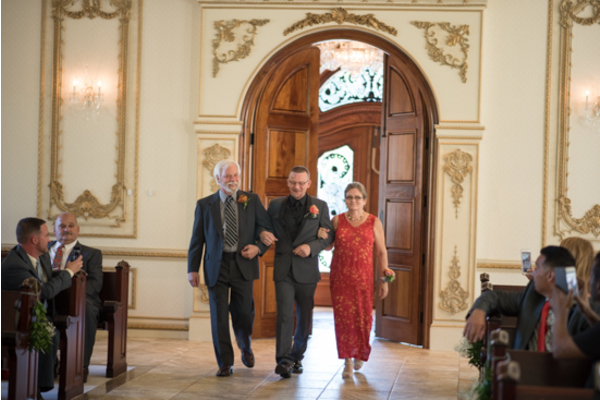 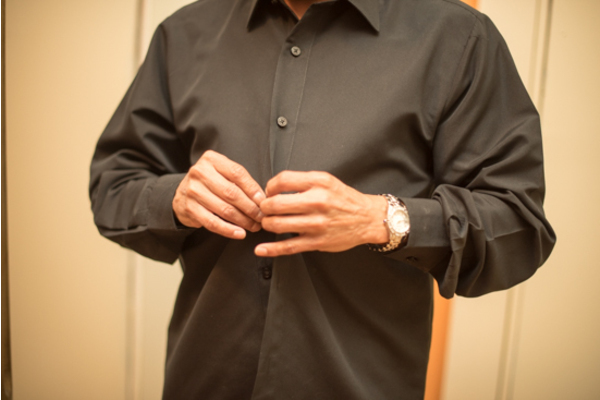 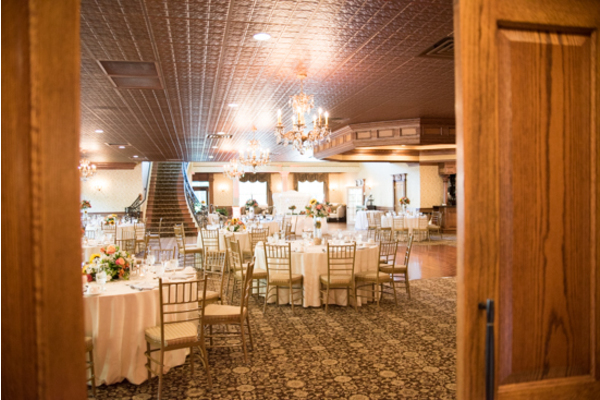 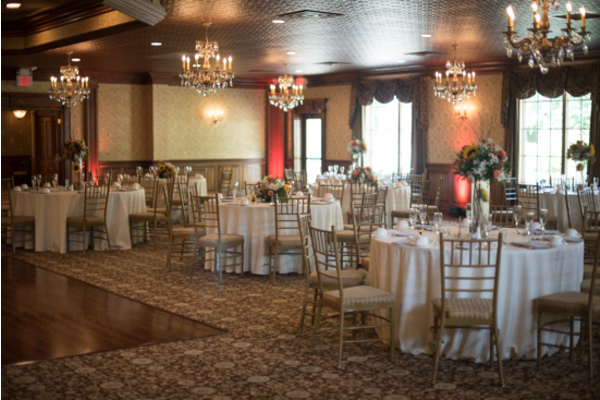 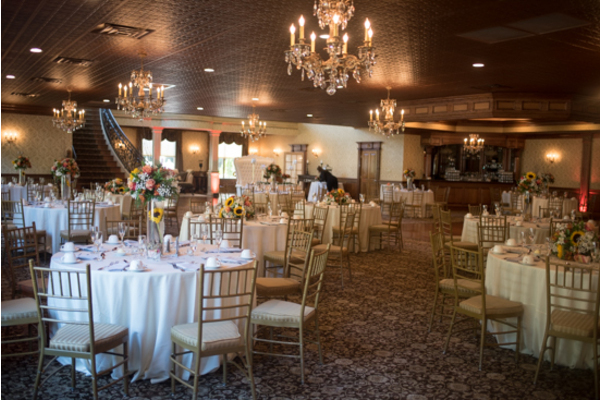 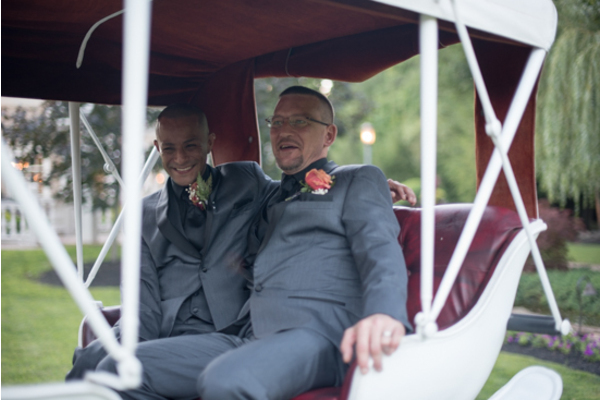 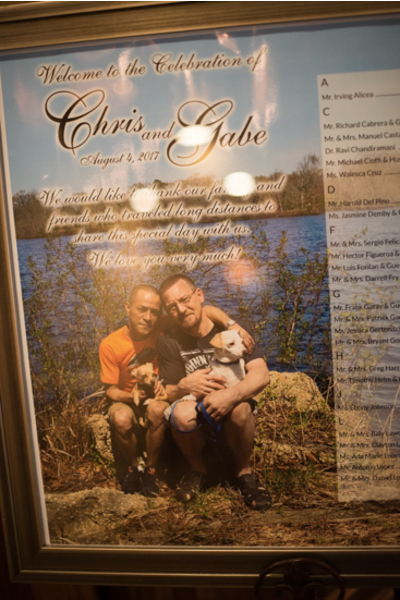 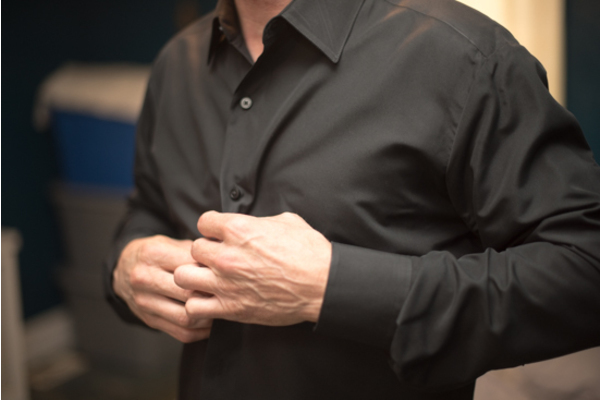 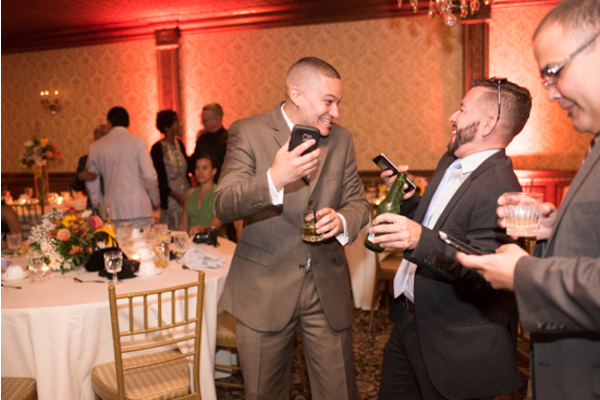 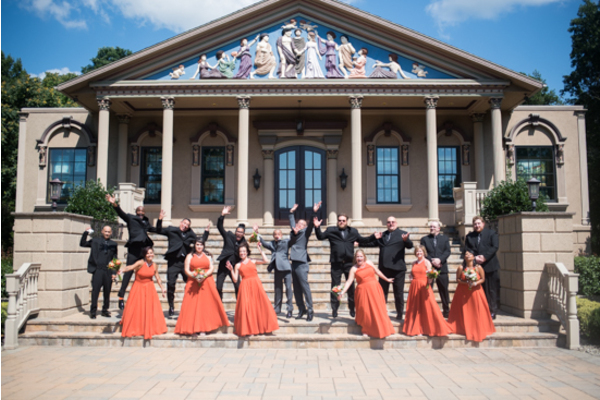 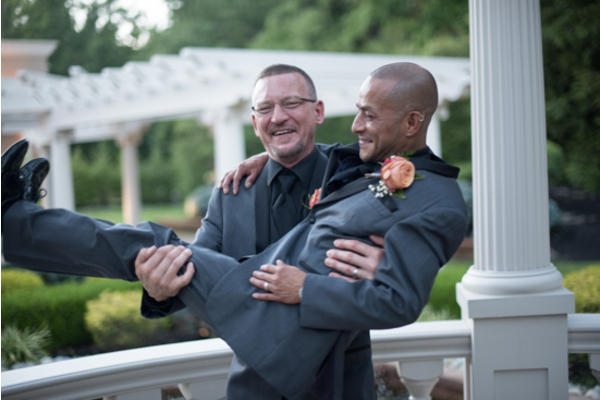 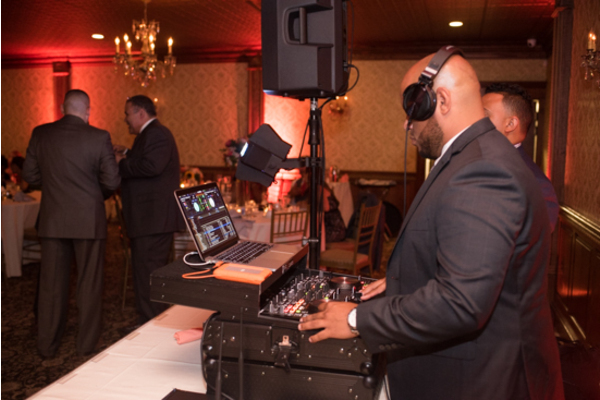 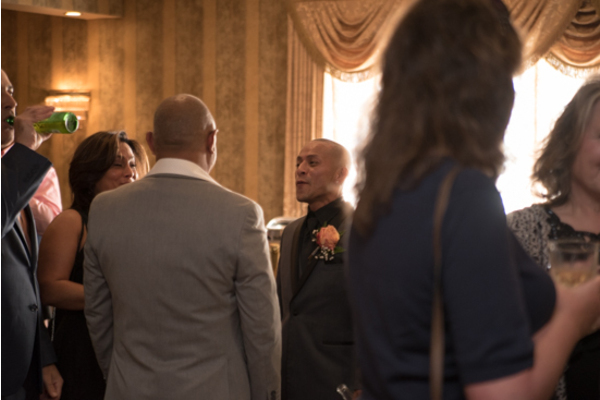 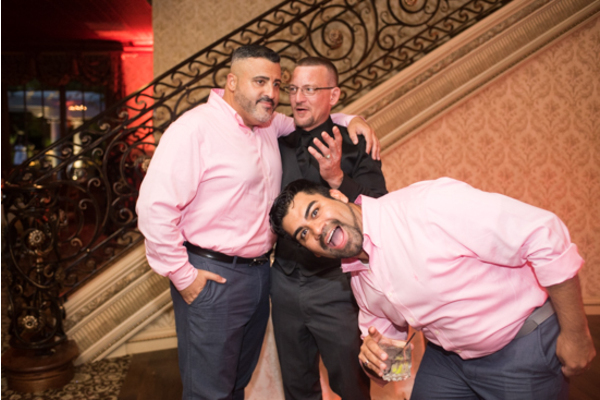 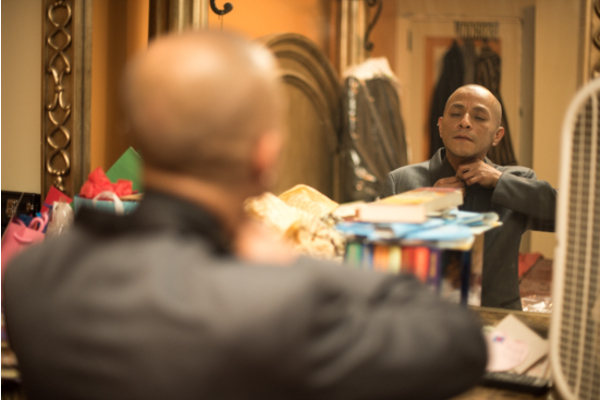 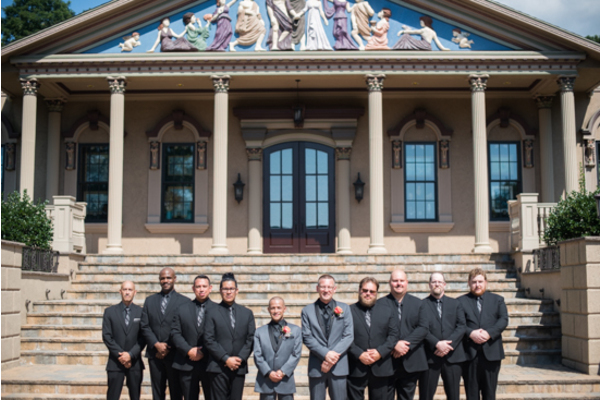 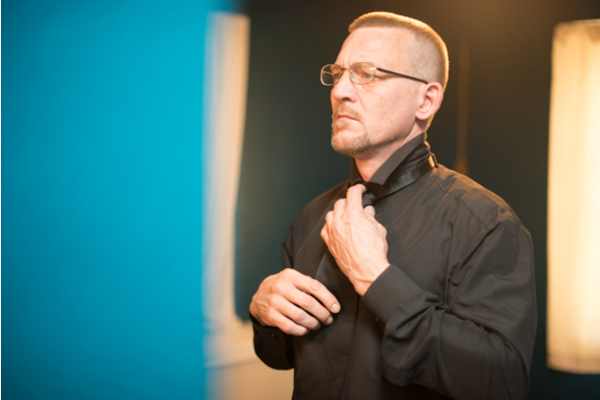 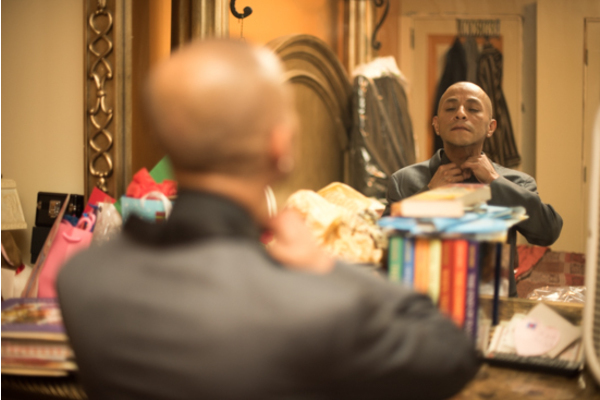 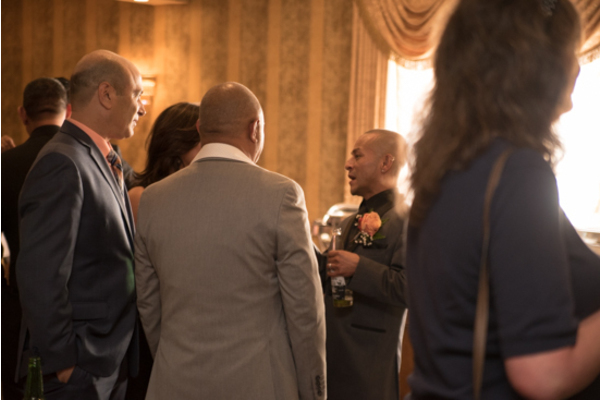 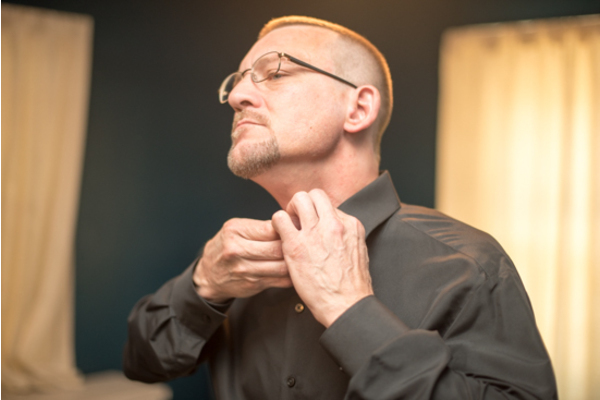 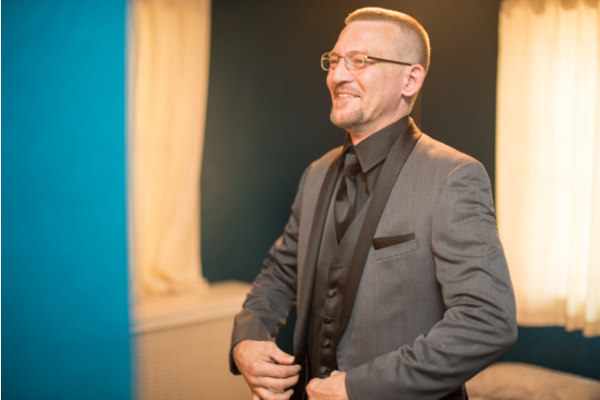 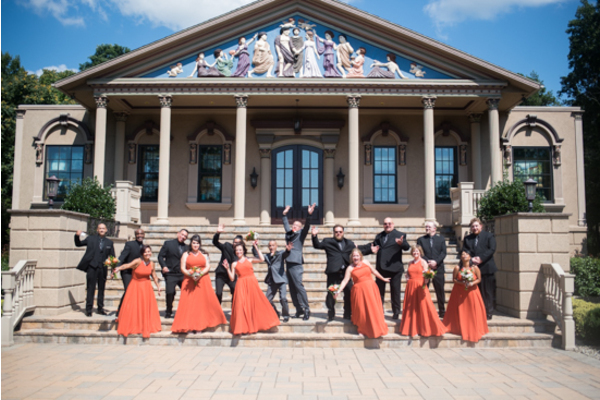 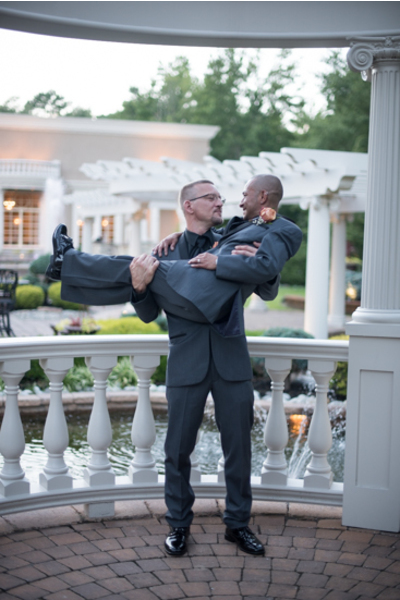 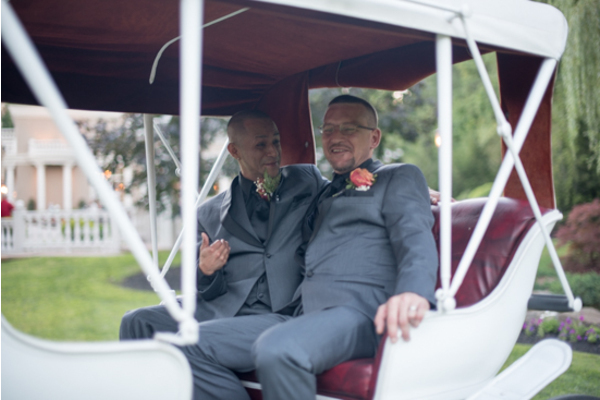 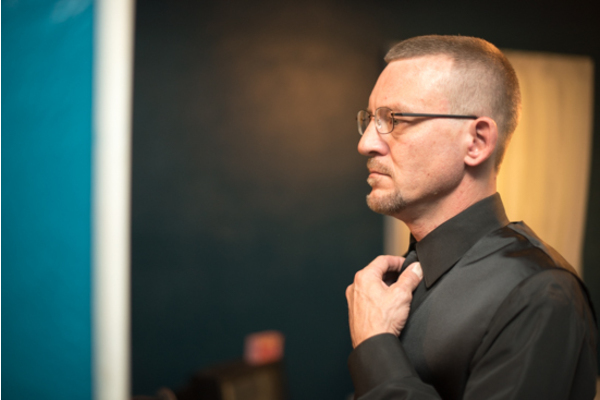 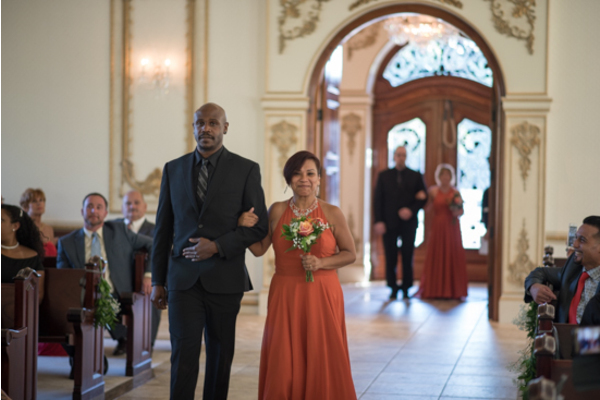 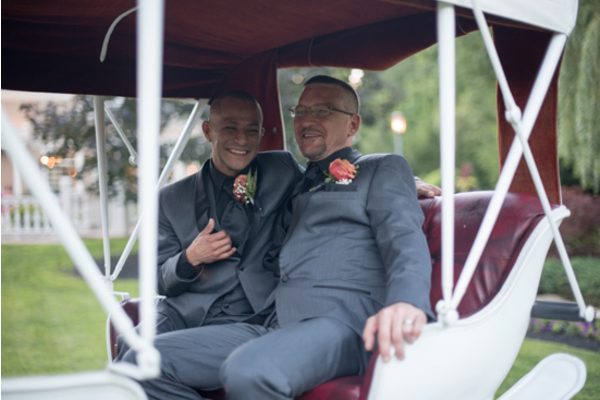 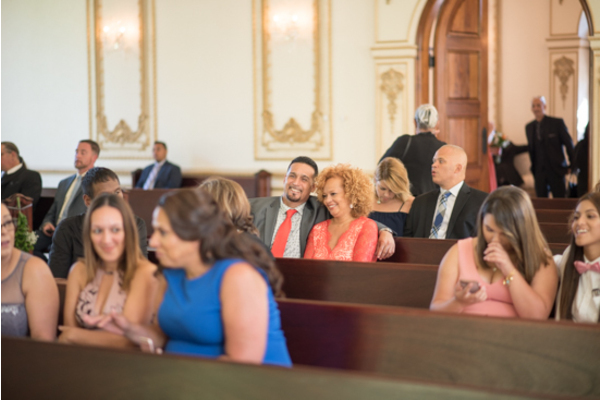 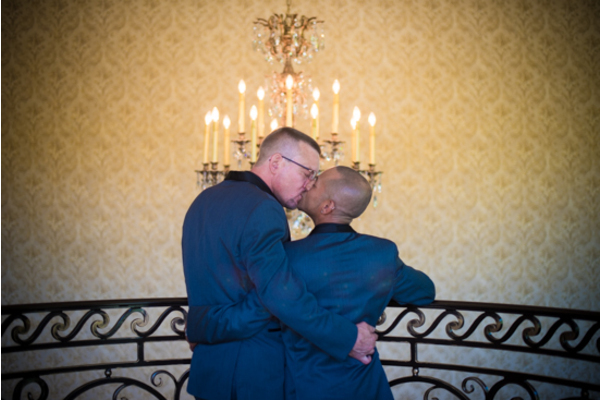 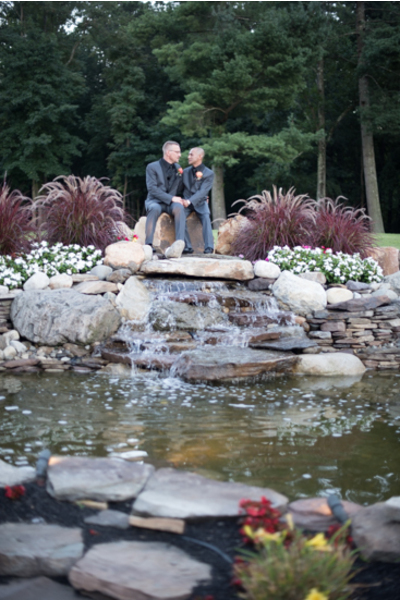 Our NJ Wedding Photographer took pictures of both men as they got dressed in their grey suits. Looking as handsome as ever, the couple had a romantic first look at each other including their dogs! 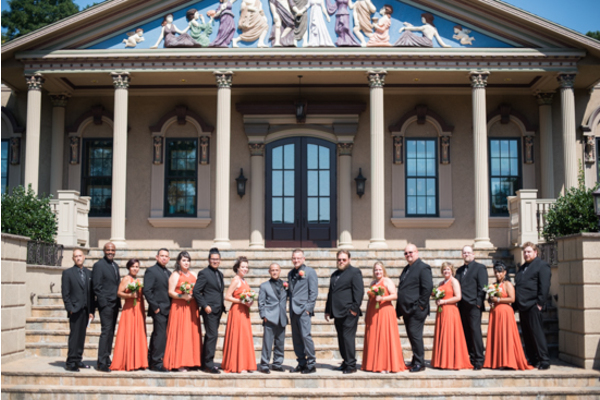 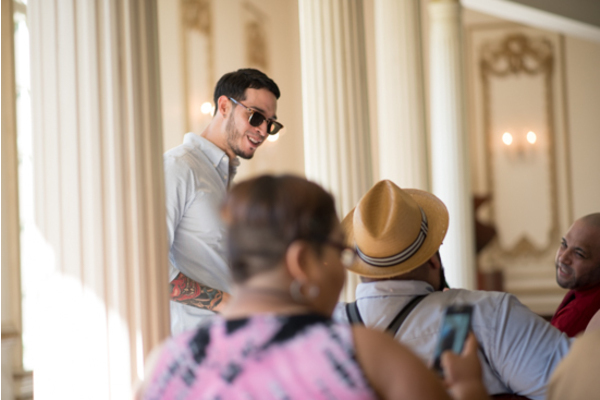 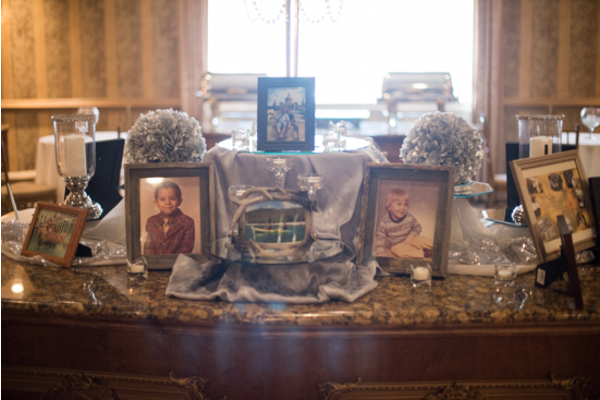 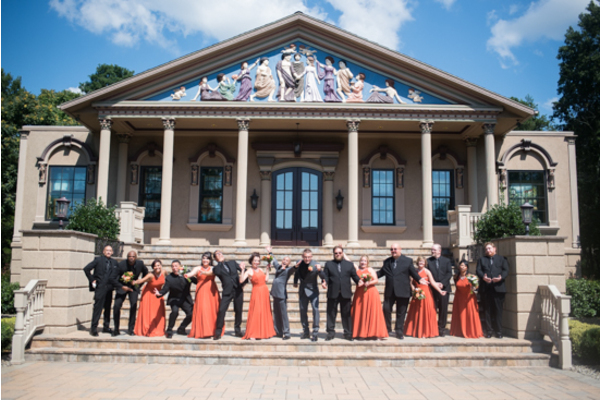 Angel and Chris got amazing portraits with the entire wedding party! 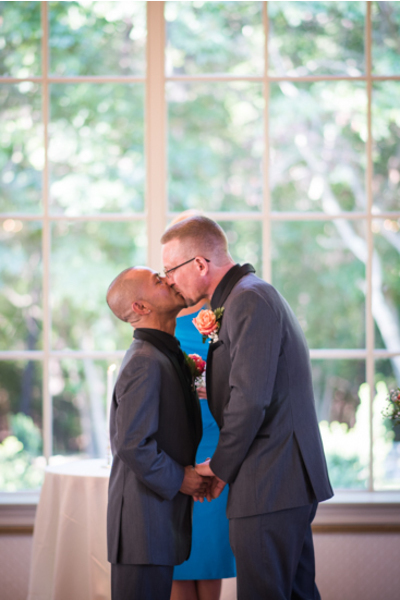 The love that these two share for each showed in every photo that was taken. 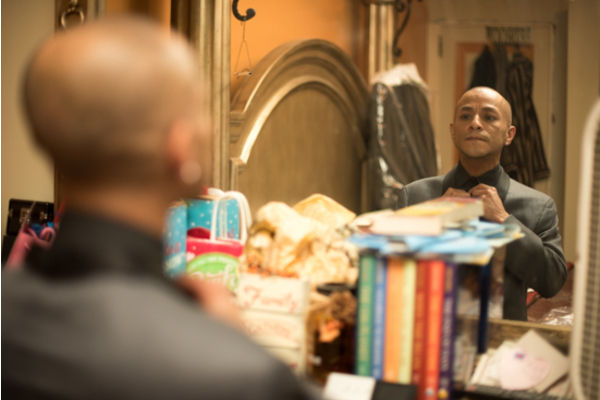 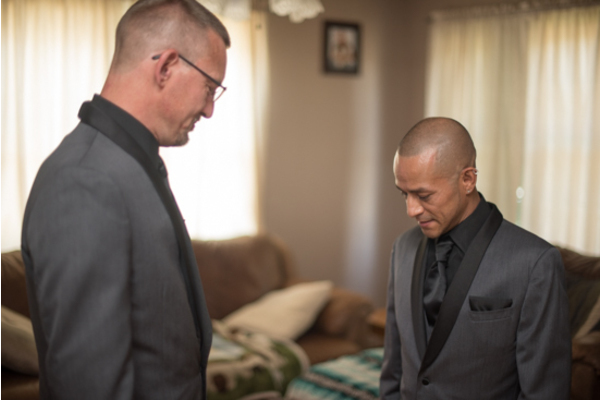 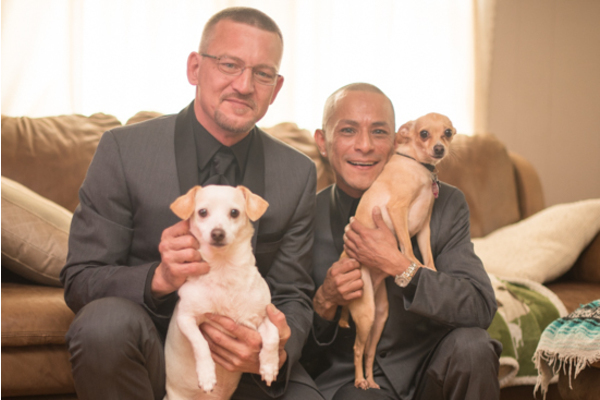 With love in the air, Angel and Chris were ready to be officially married. 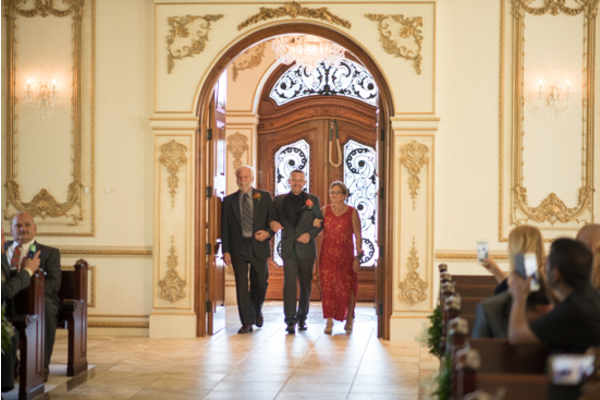 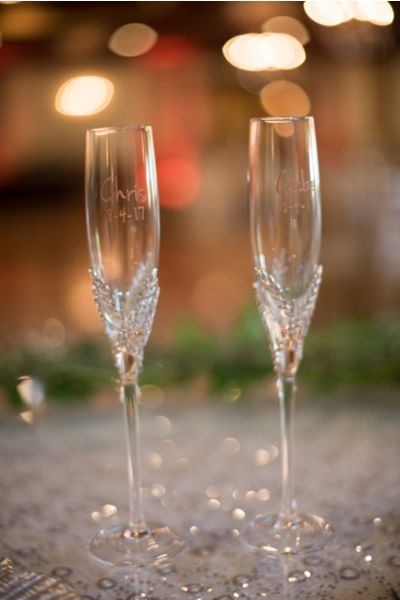 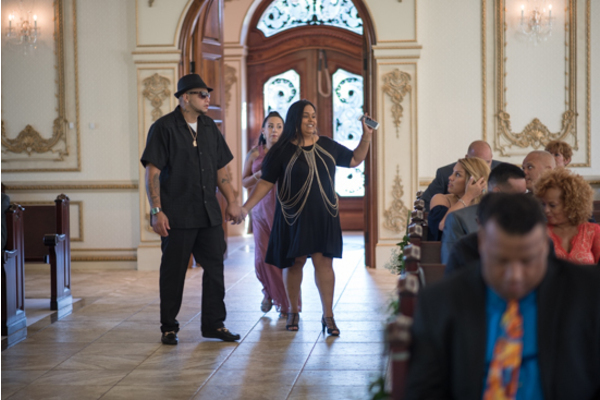 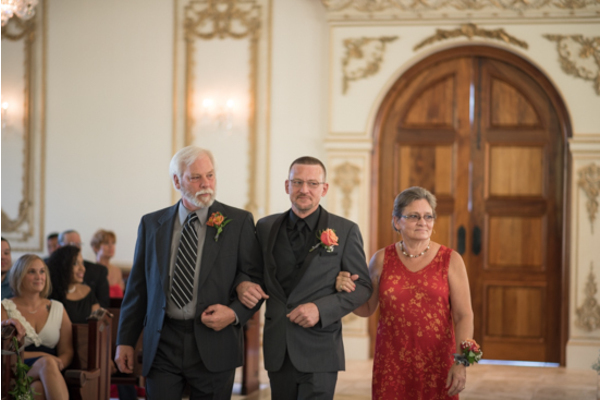 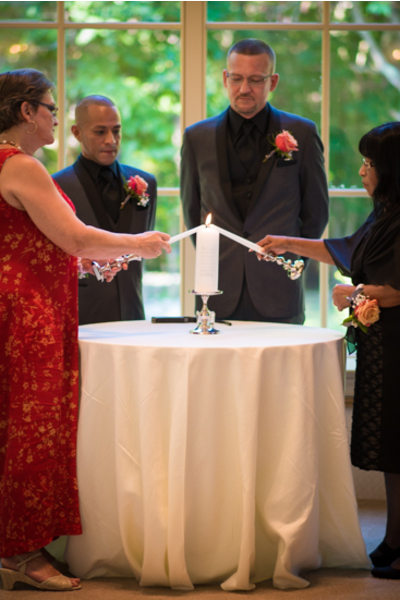 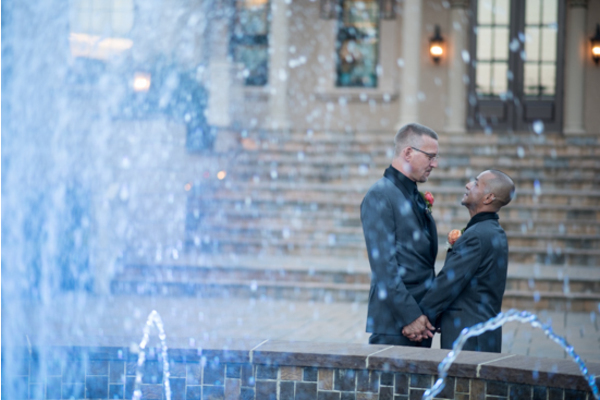 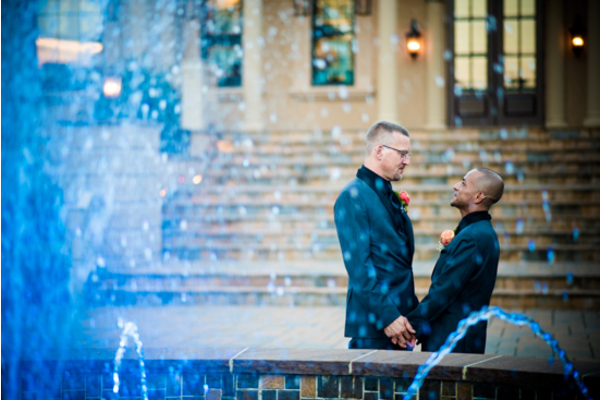 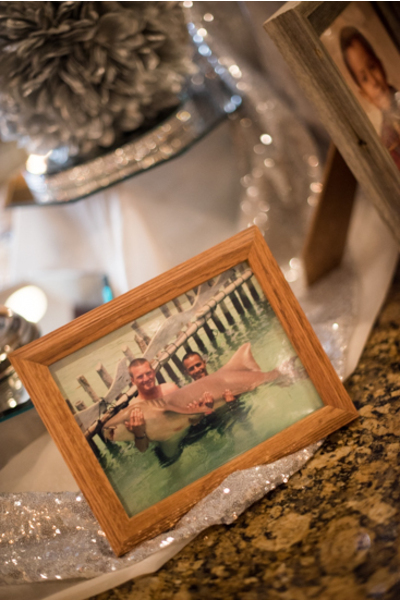 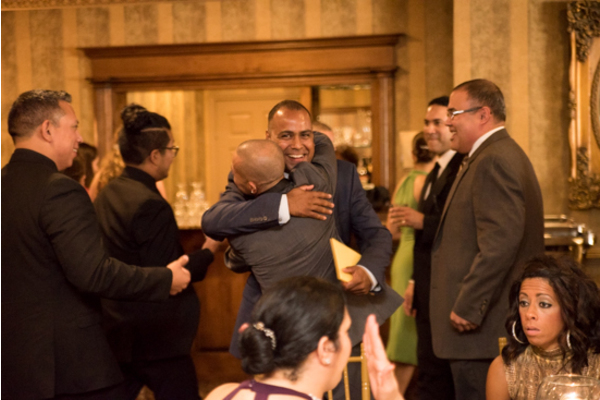 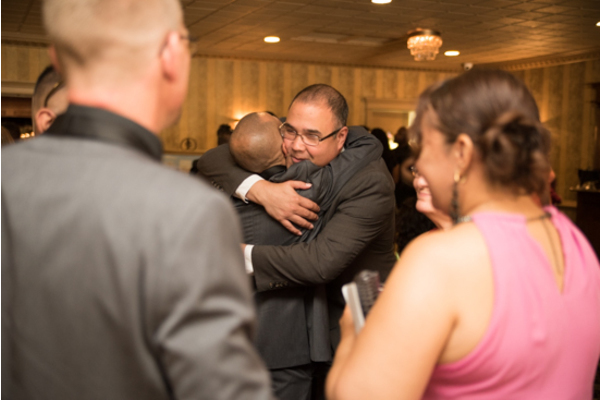 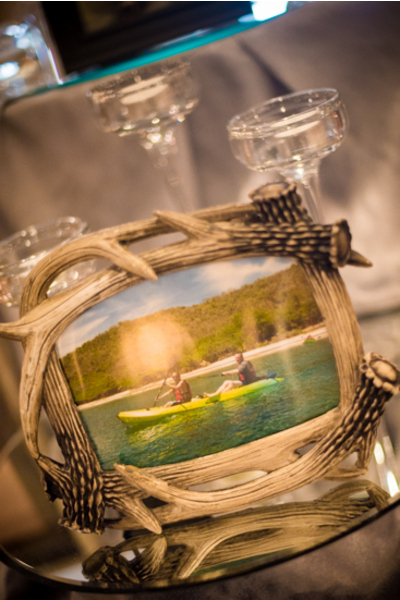 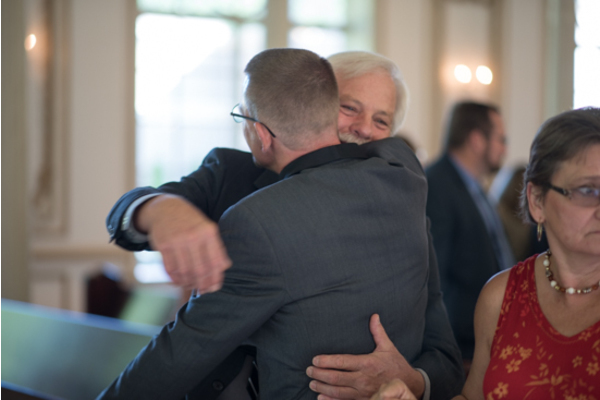 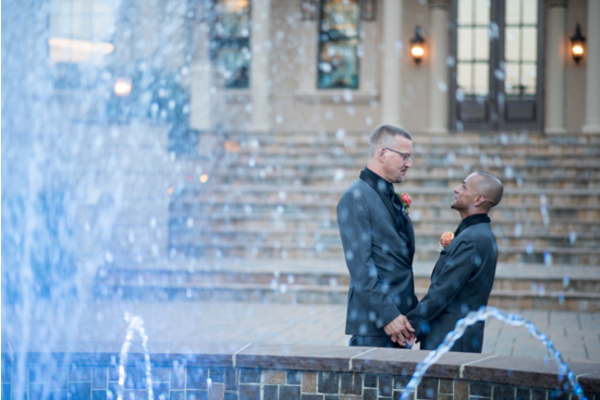 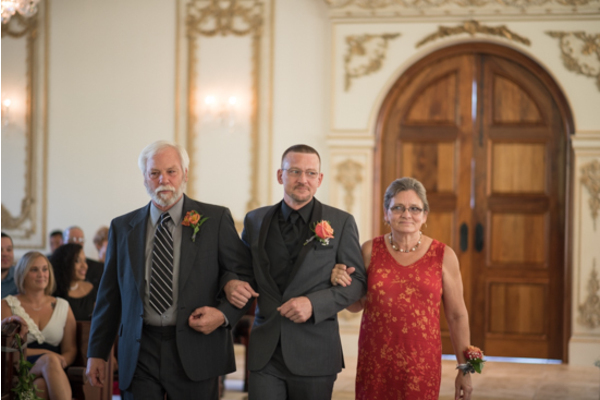 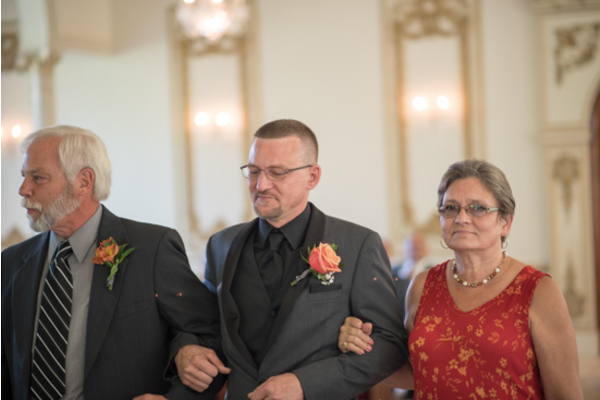 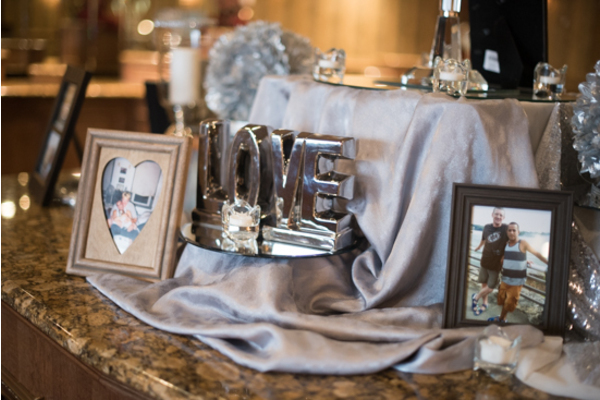 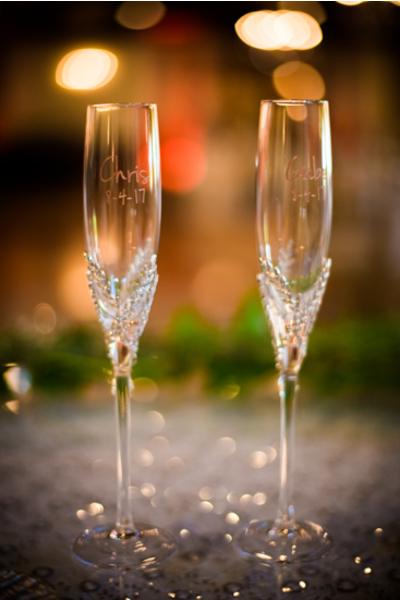 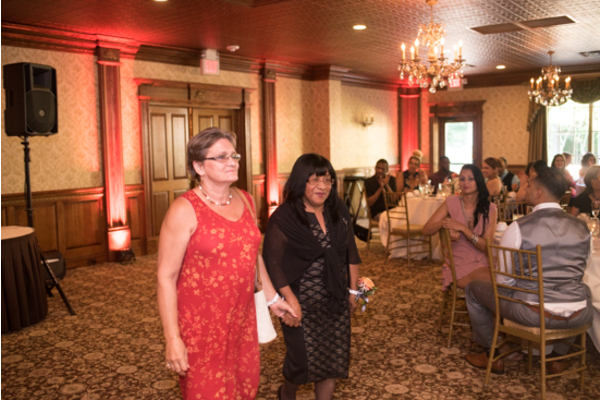 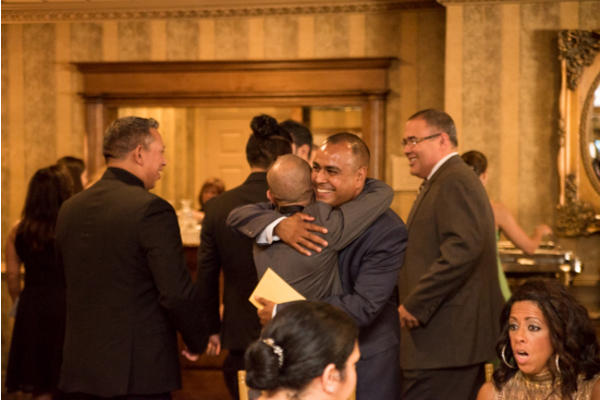 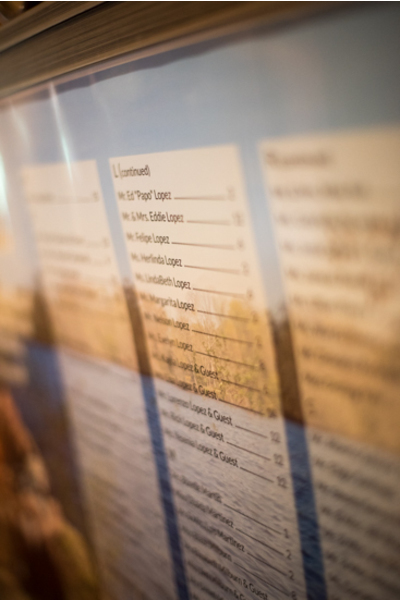 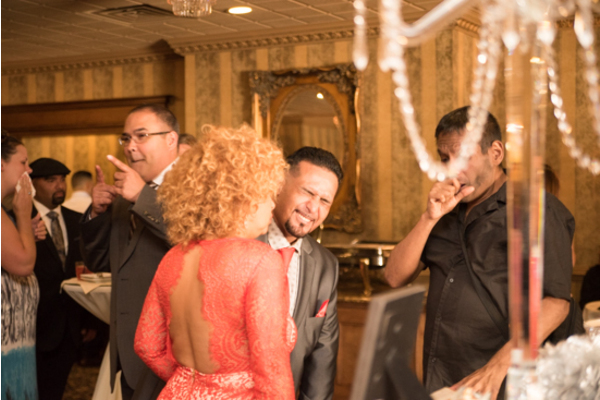 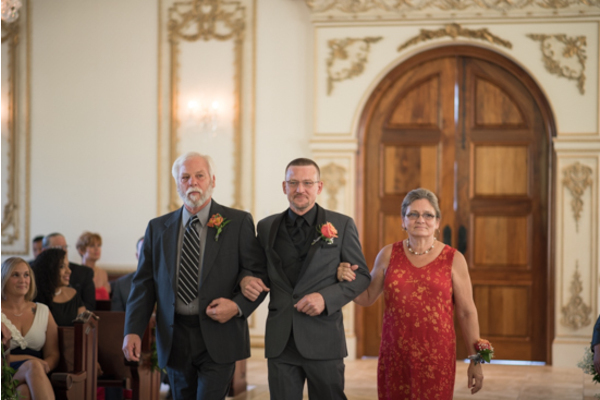 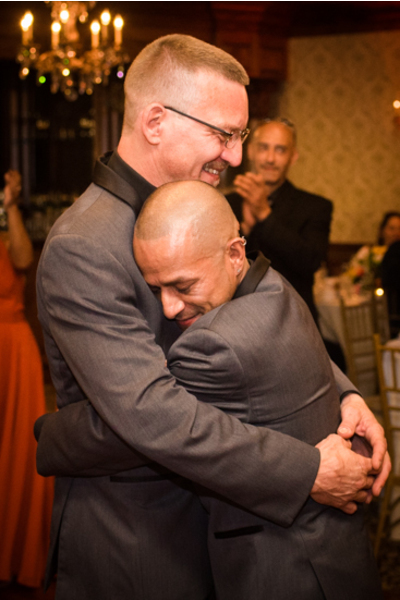 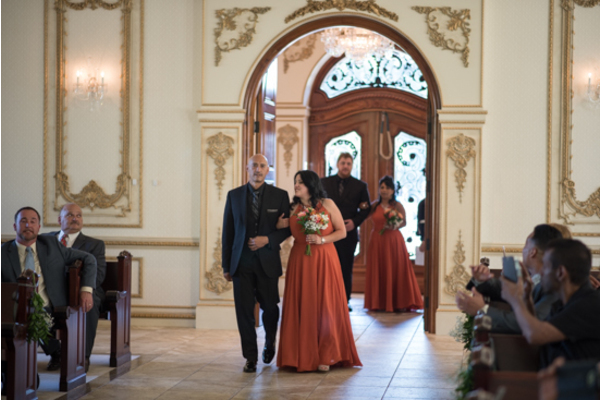 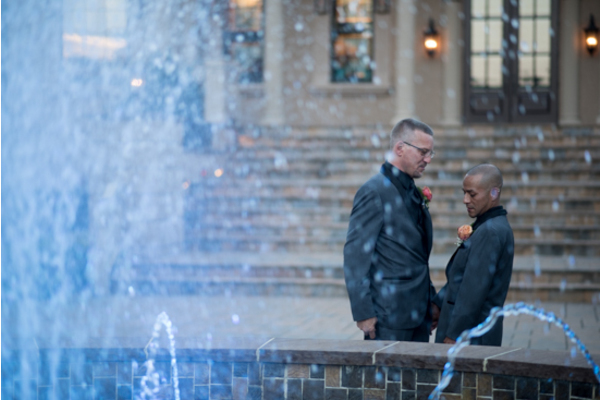 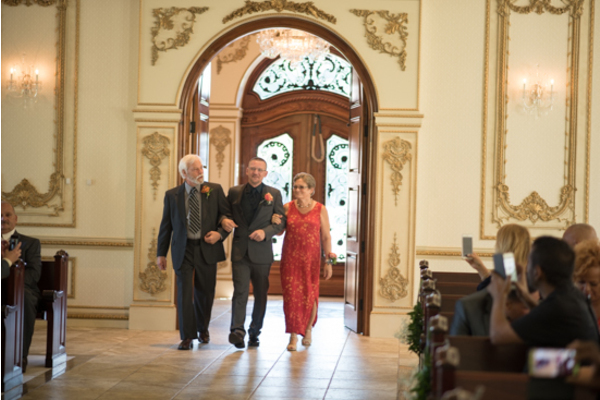 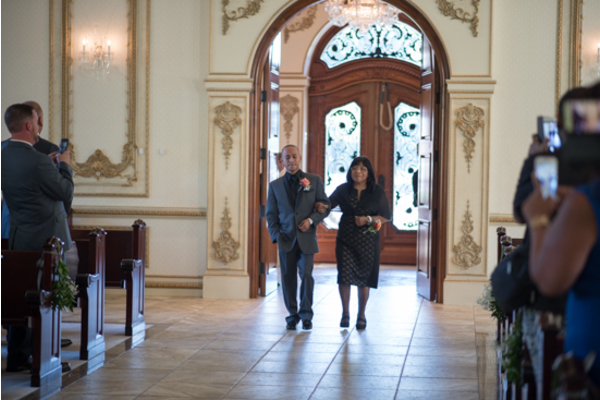 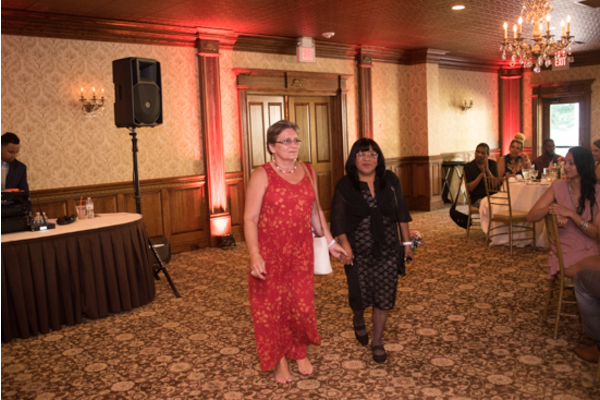 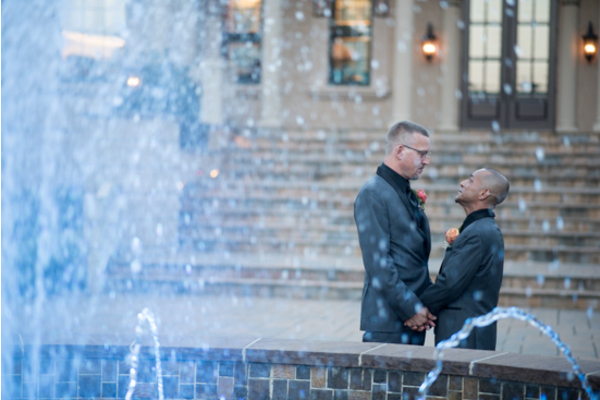 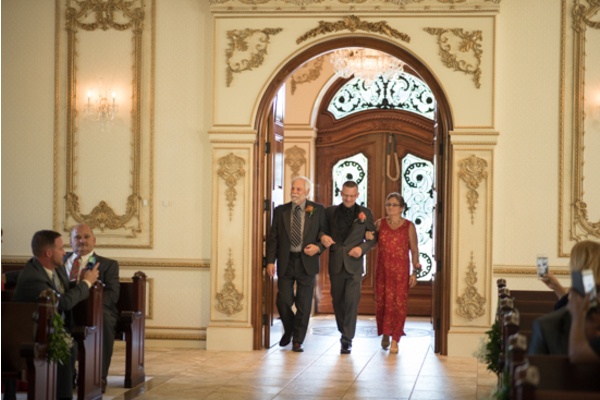 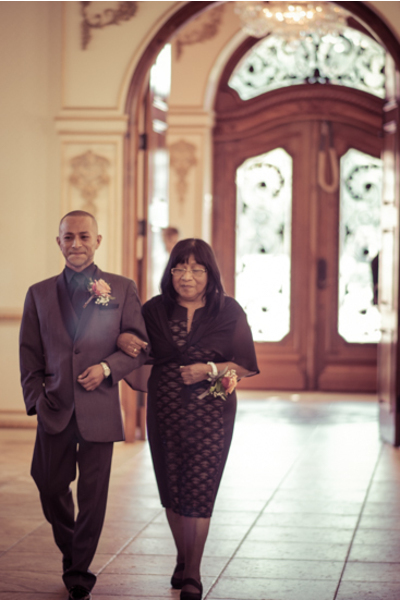 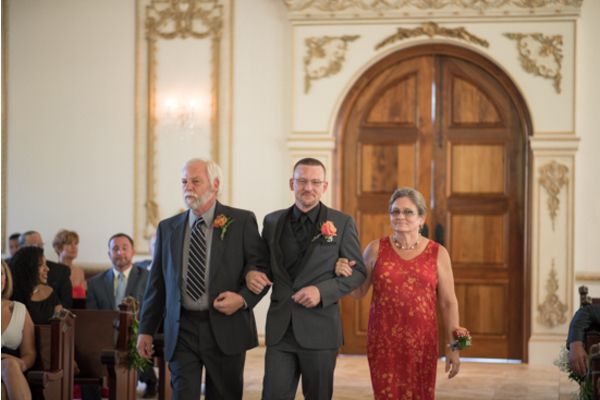 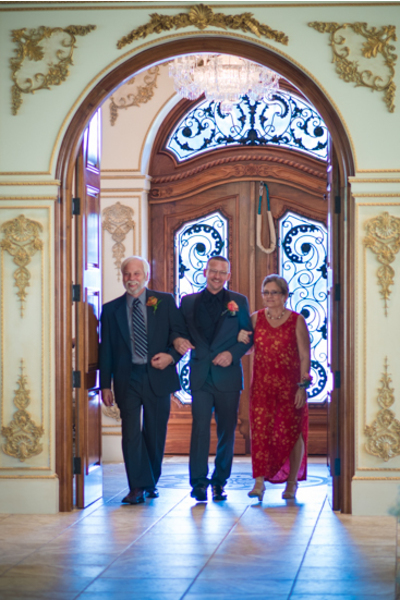 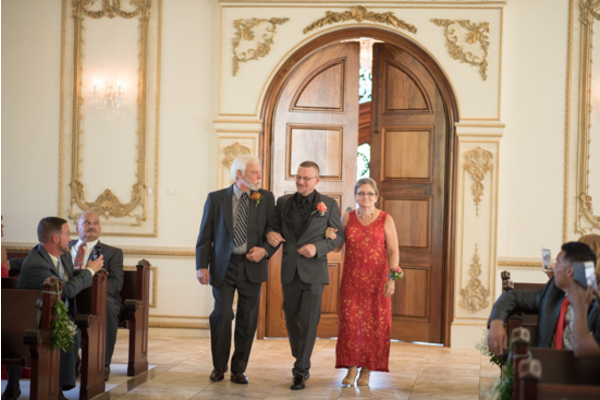 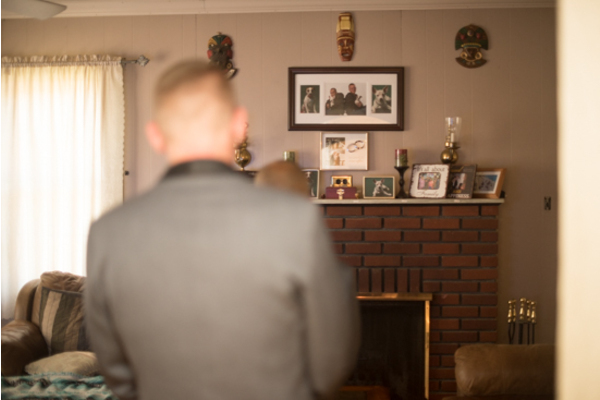 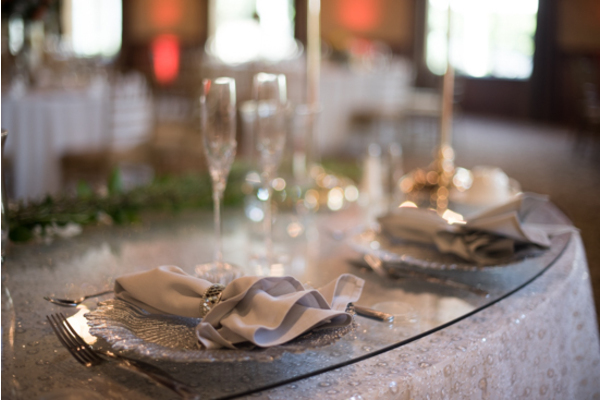 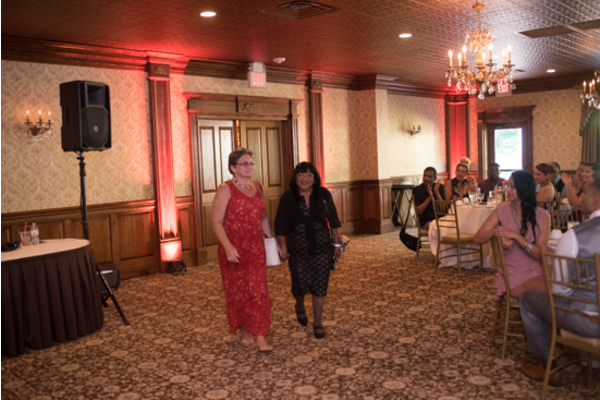 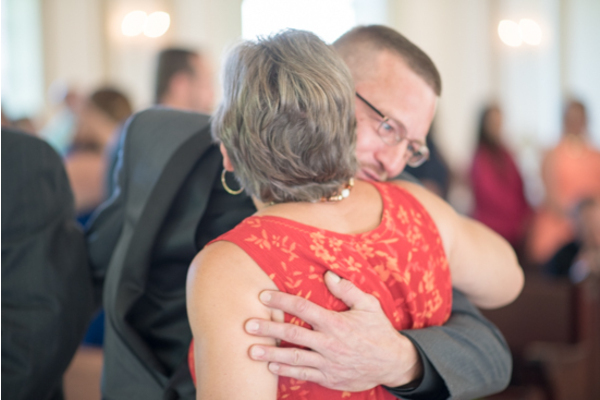 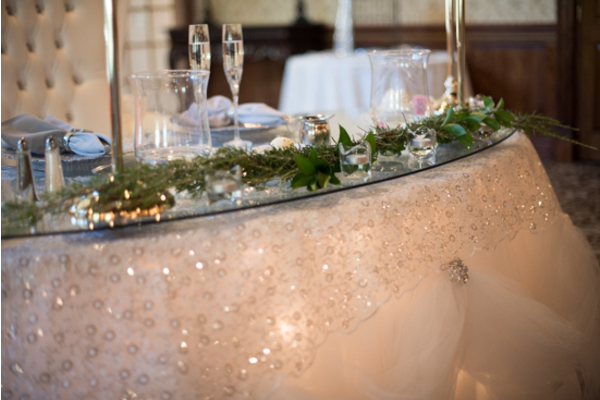 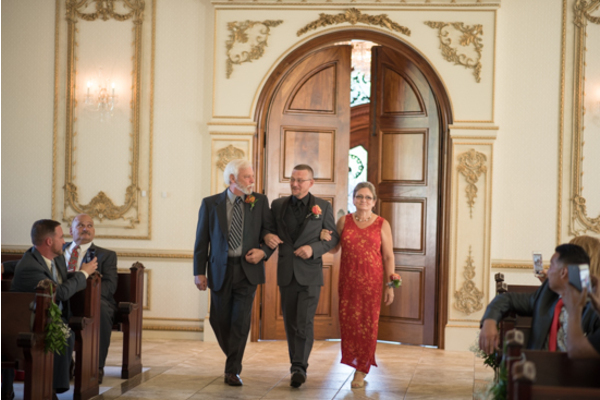 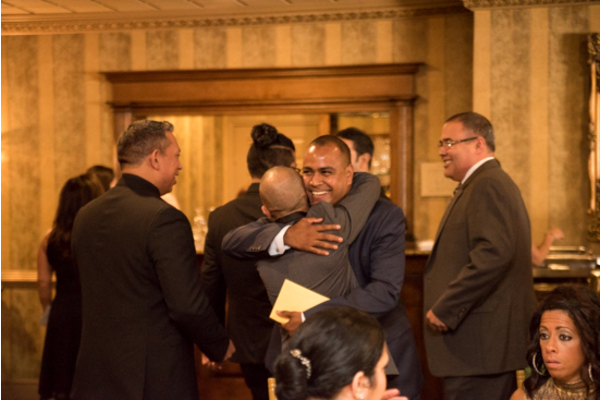 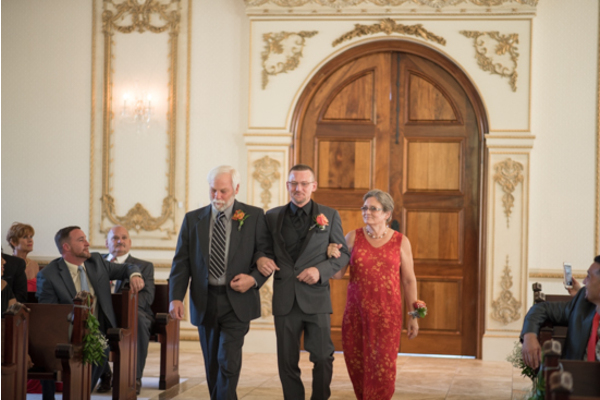 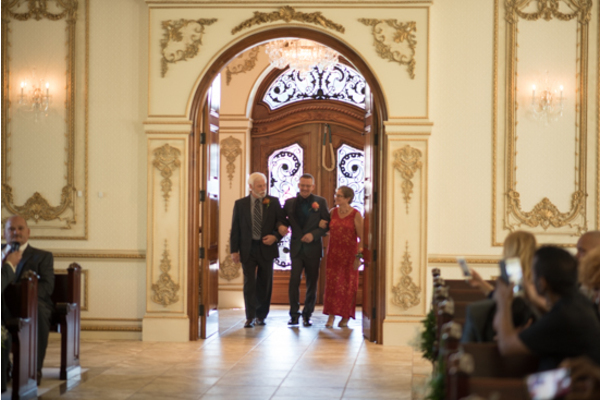 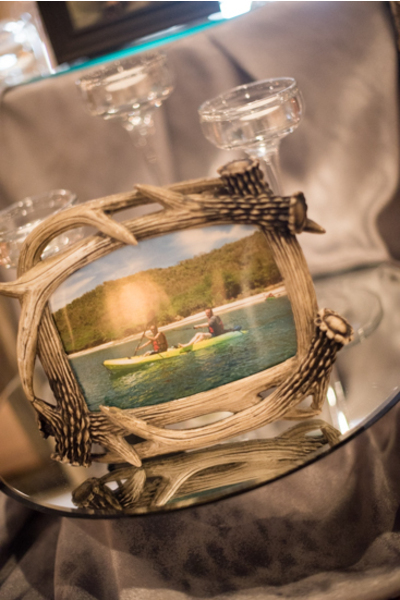 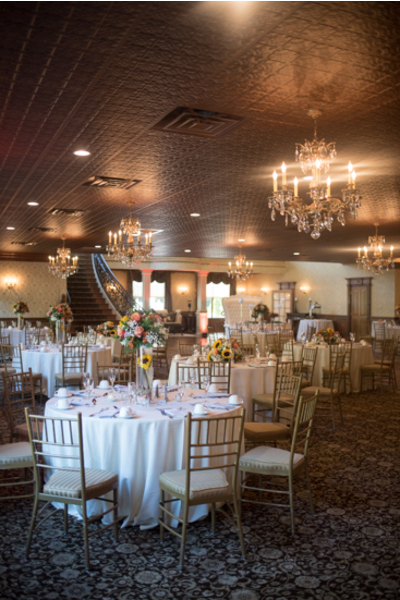 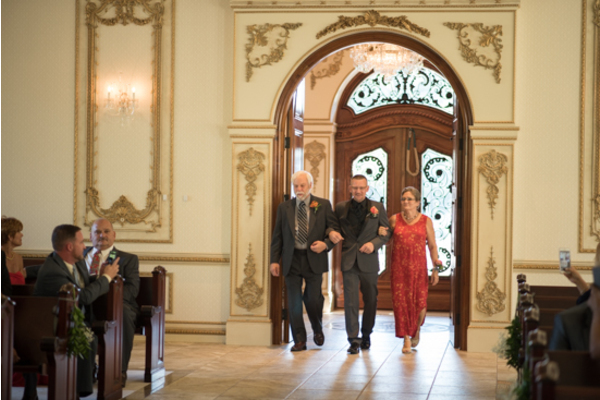 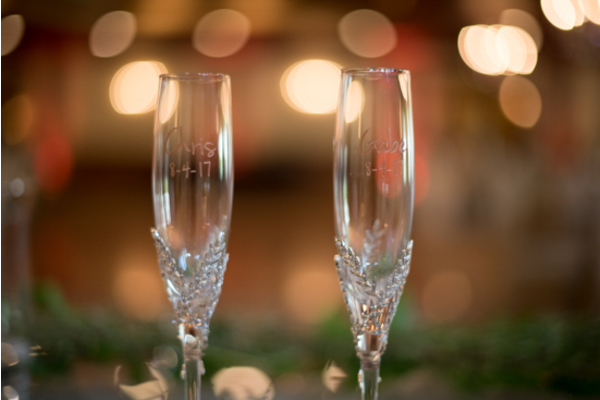 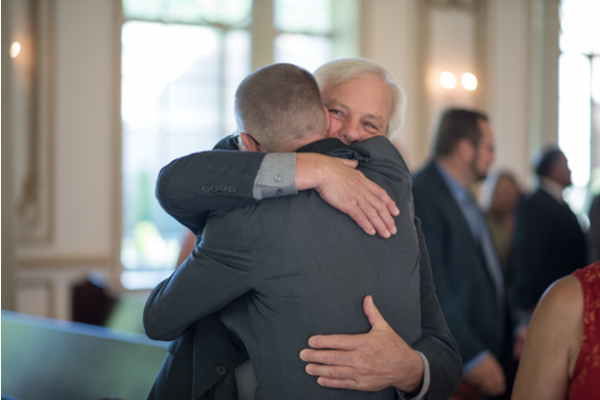 At the ceremony, tears were shed as the couple exchanged heartfelt vows and rings! 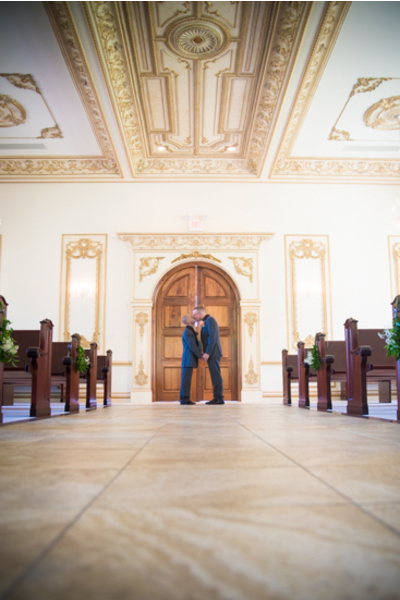 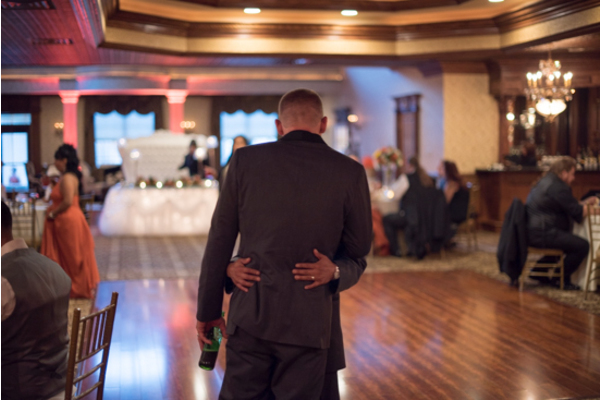 Our NJ Wedding Photographer got the perfect picture as the couple sealed their promises with a kiss and then lead everyone down the isle to the reception! 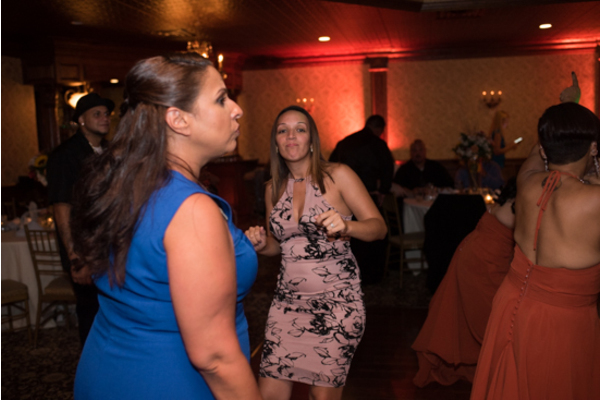 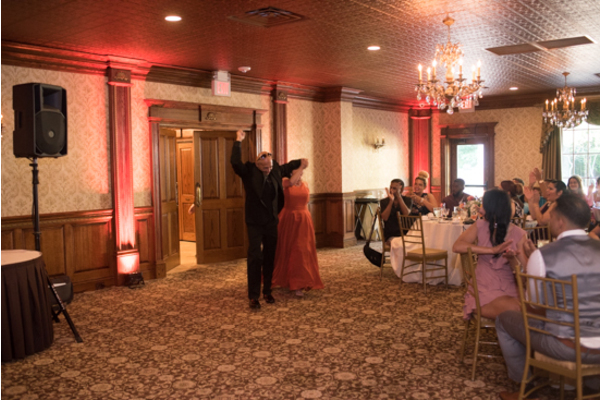 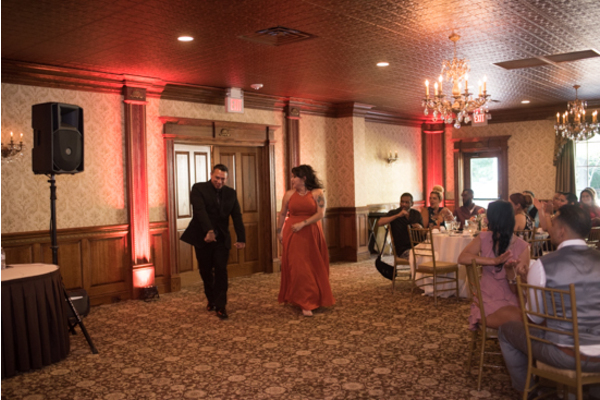 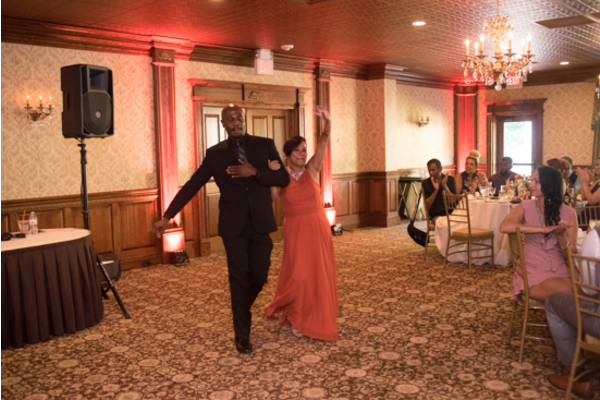 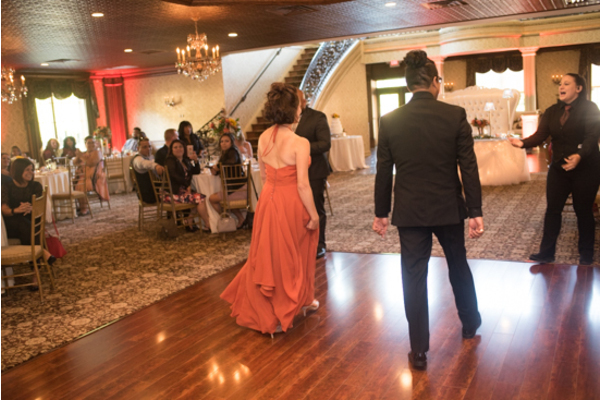 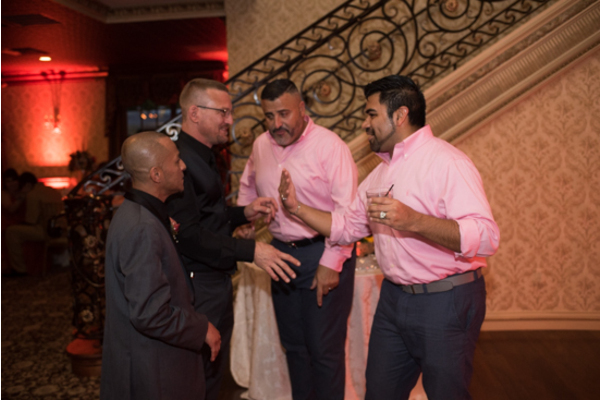 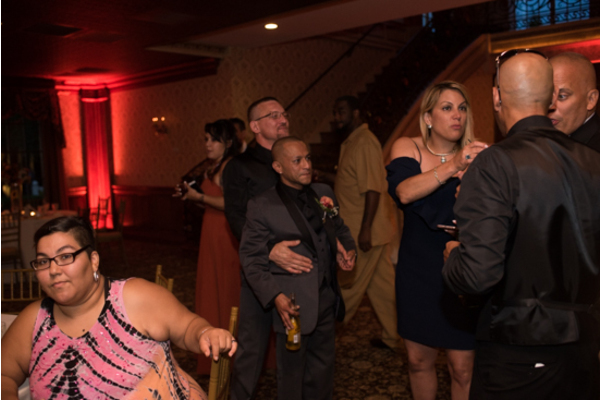 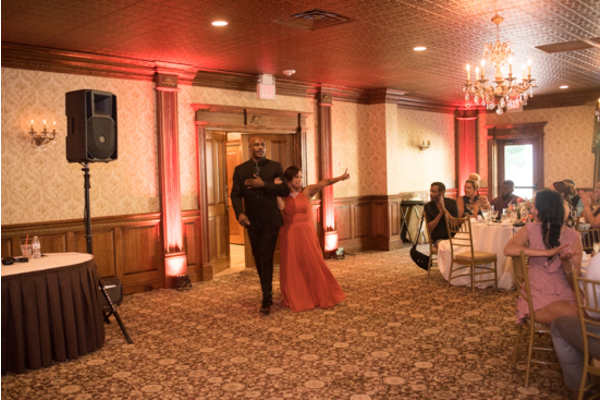 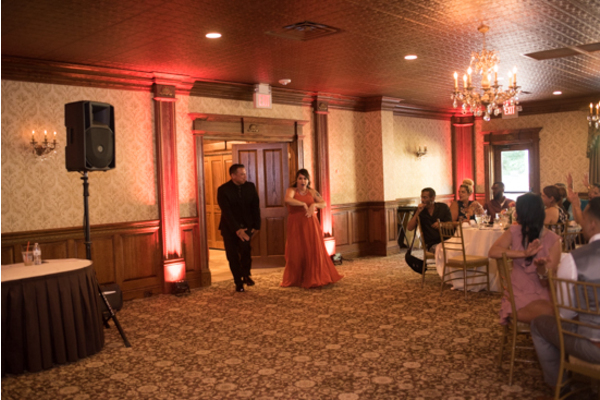 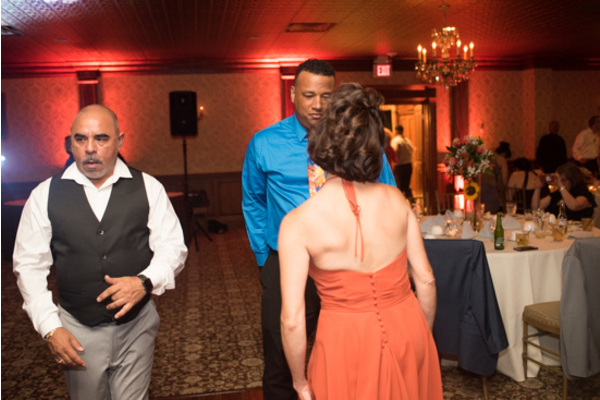 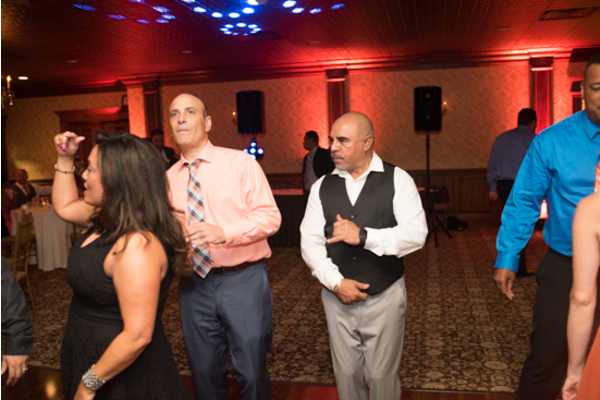 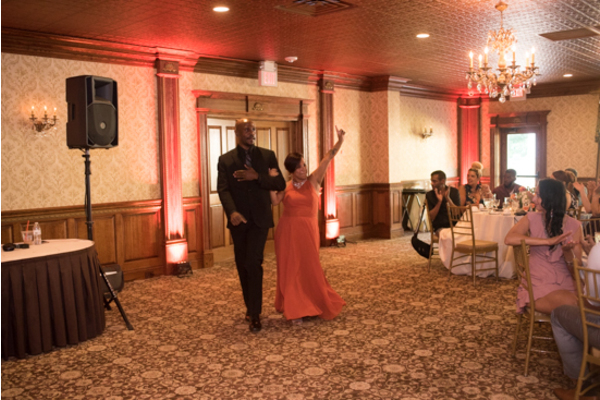 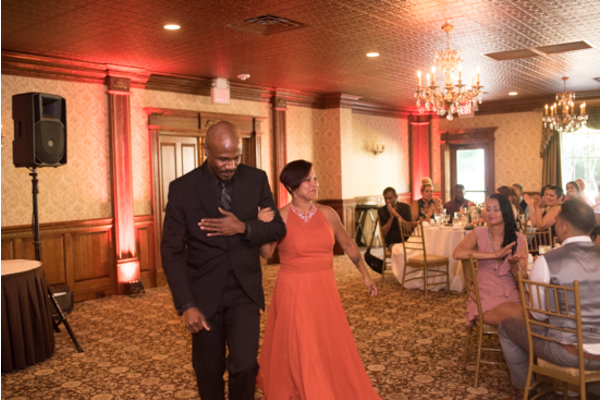 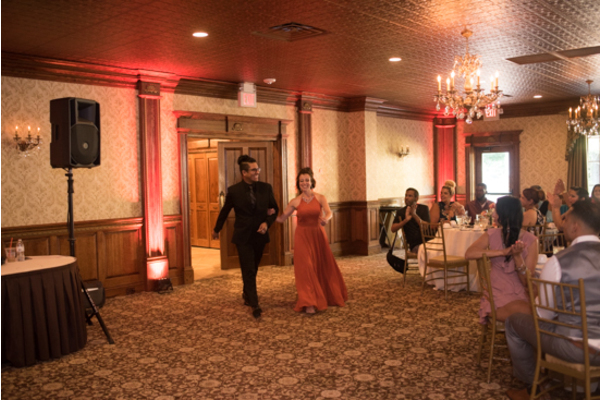 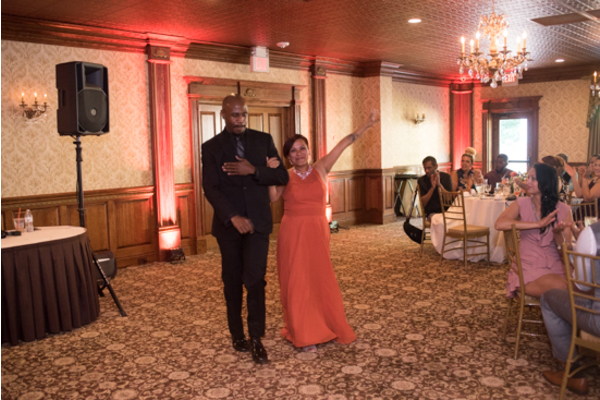 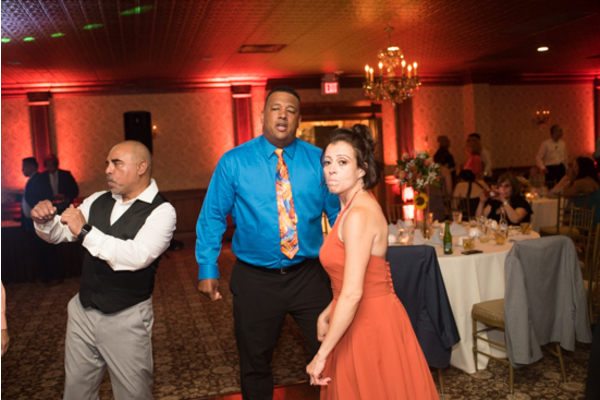 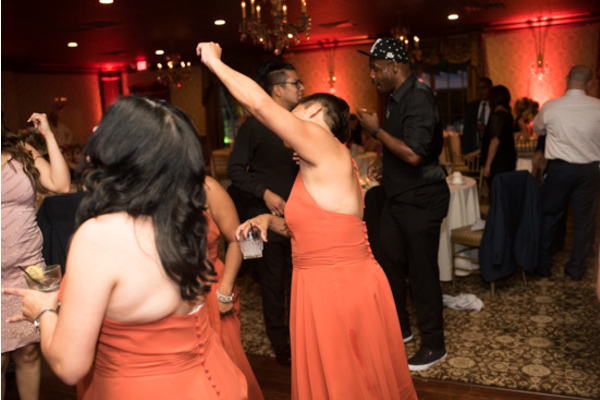 Everyone stood and welcomed these newly weds by cheering them out onto the dance floor! 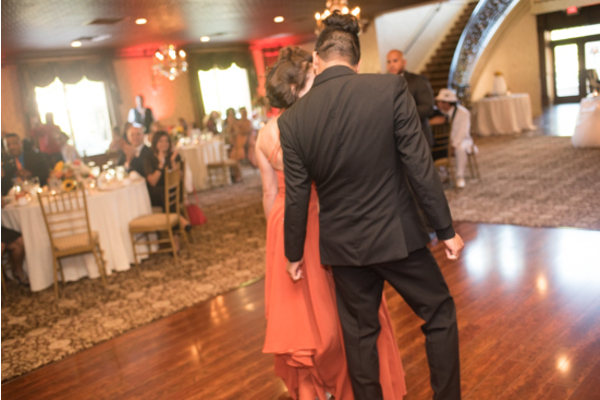 Angel and Chris went right into their first dance as a couple followed by heartwarming speeches from their loved ones. 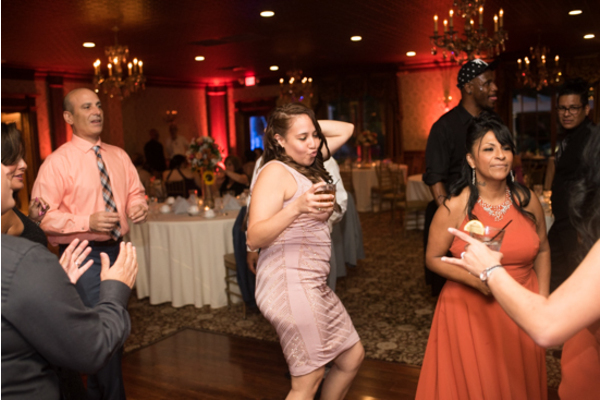 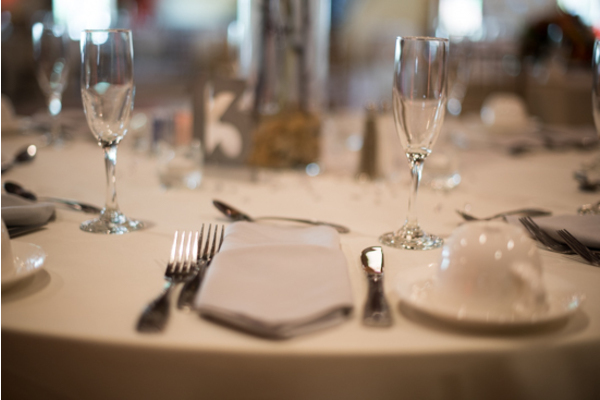 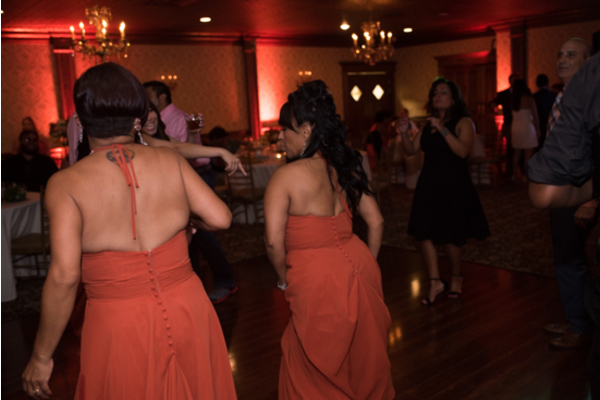 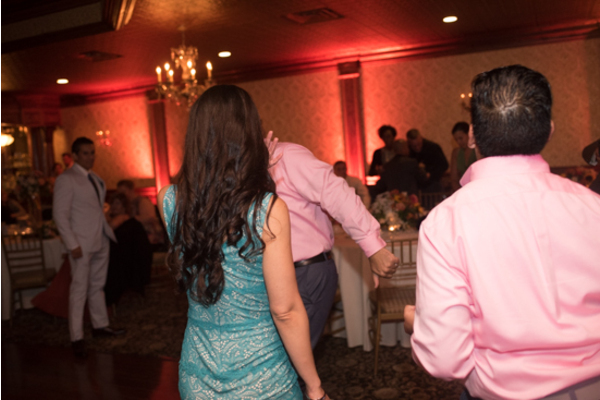 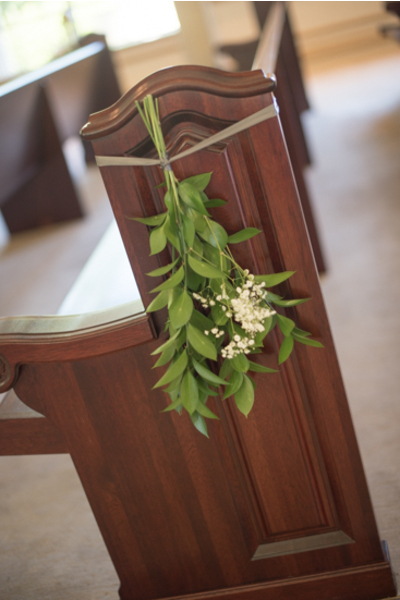 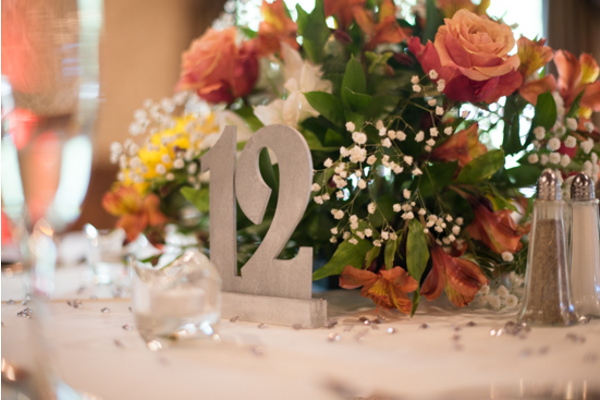 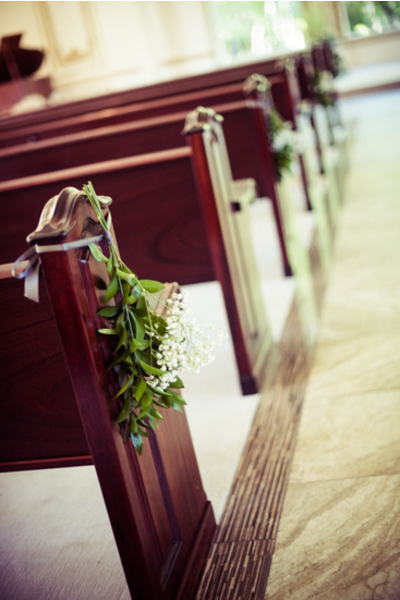 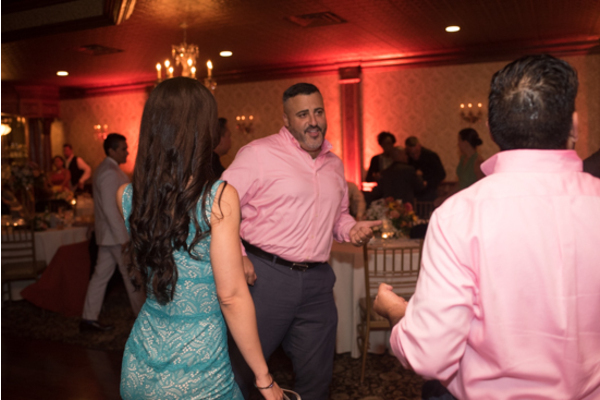 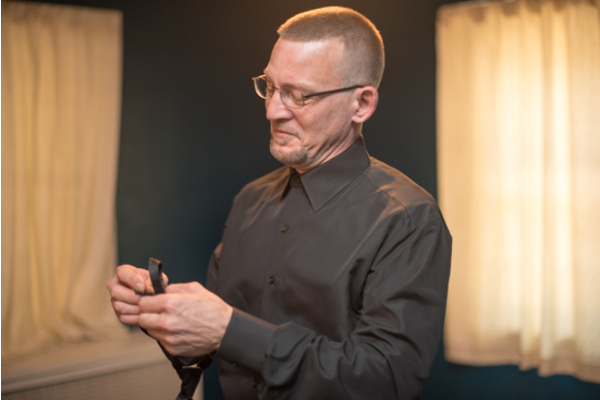 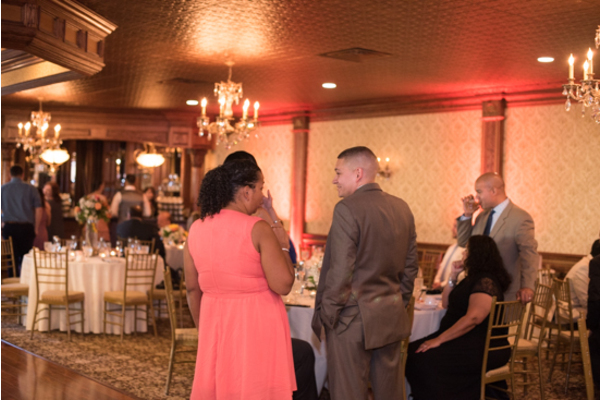 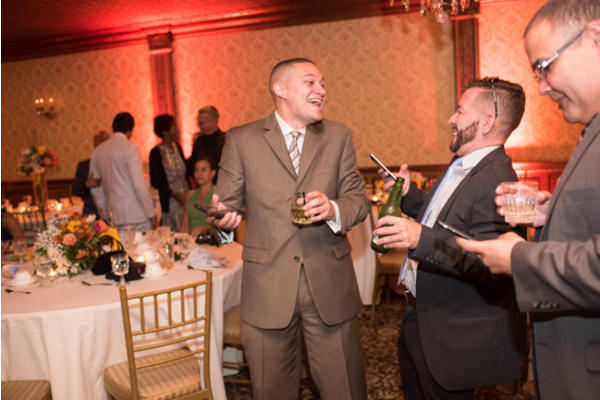 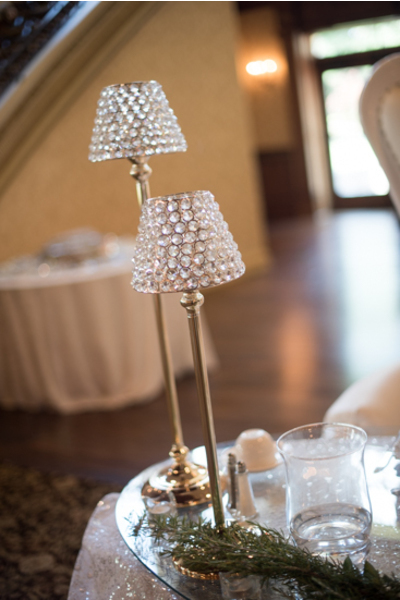 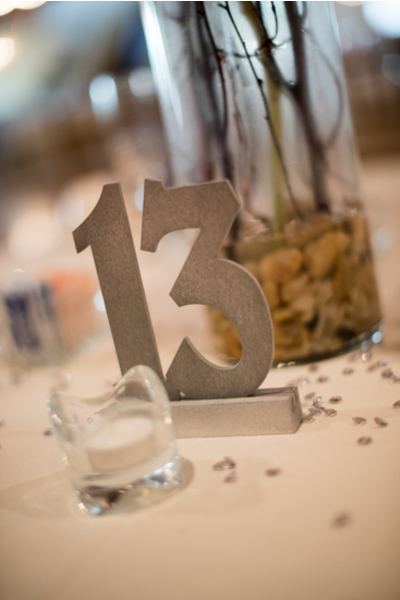 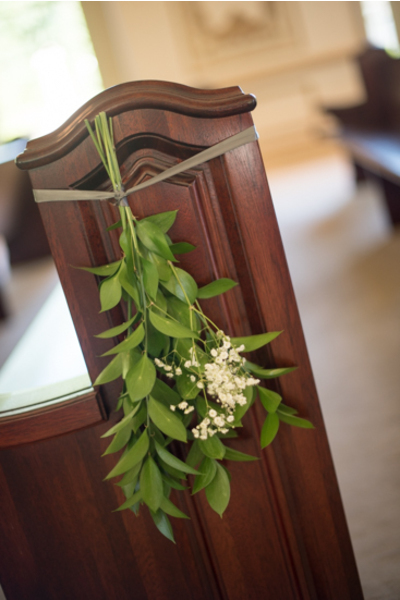 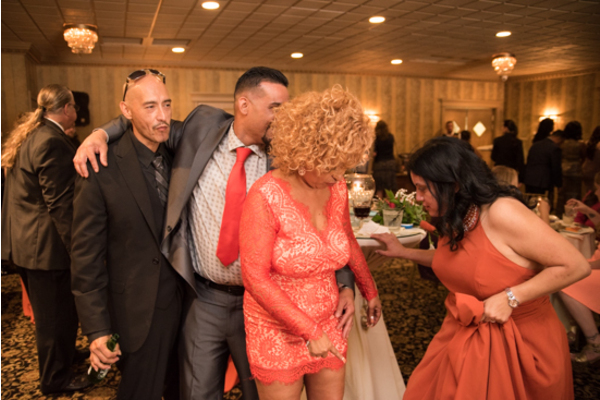 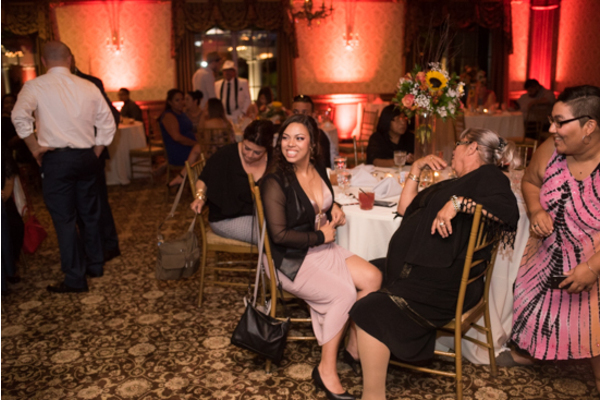 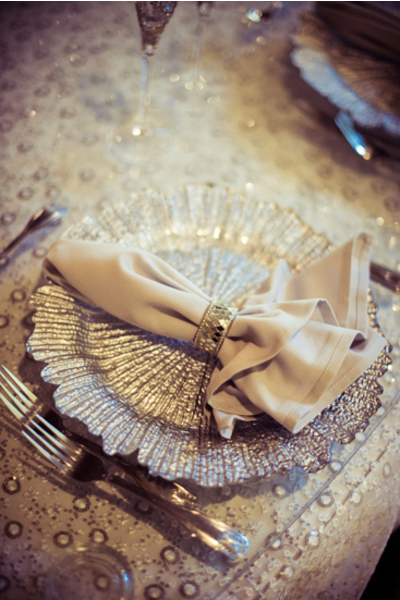 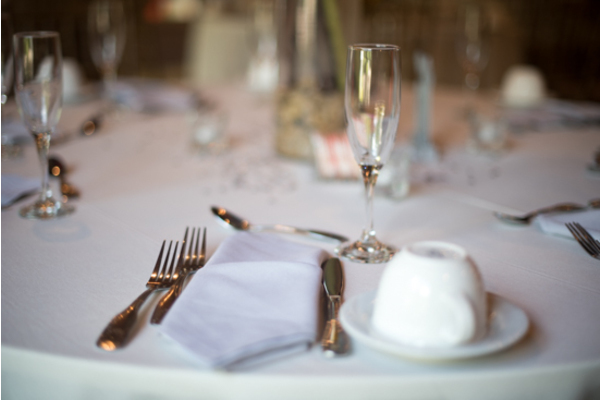 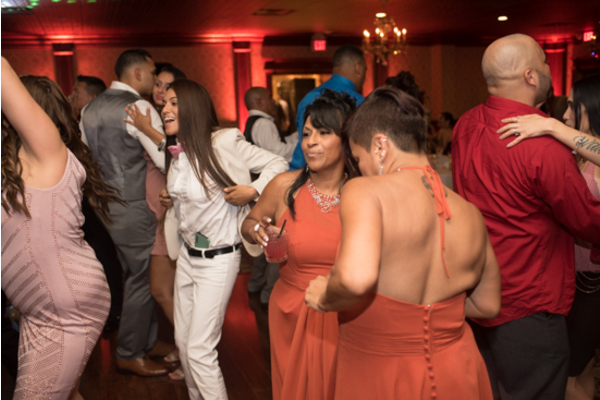 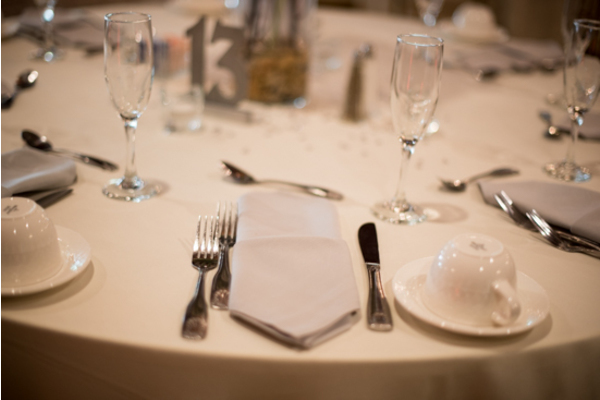 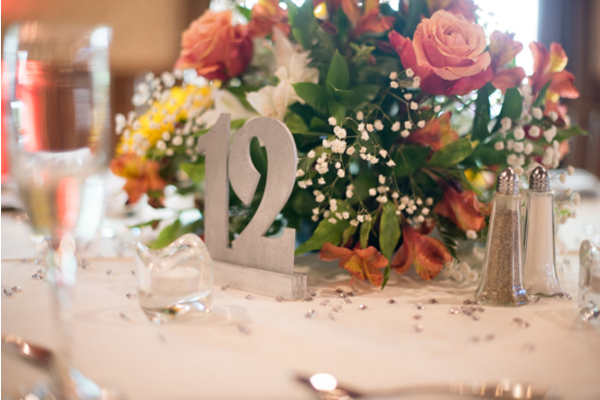 All of the guests danced the night away, taking a short break to watch the grooms take off their partner’s garter! 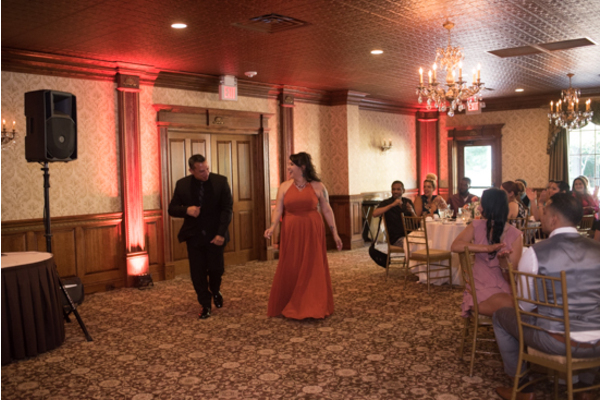 Each groom threw their garters into the crowd and everyone was so excited to catch them! 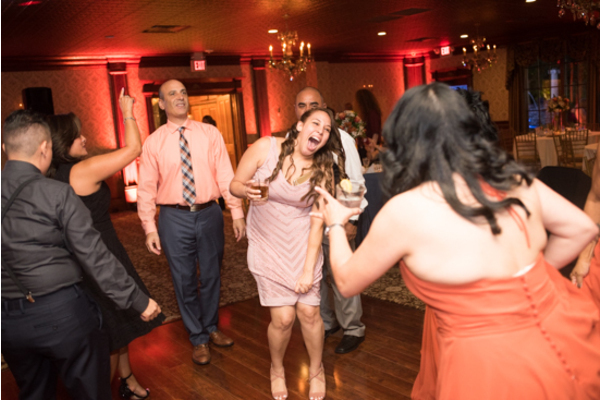 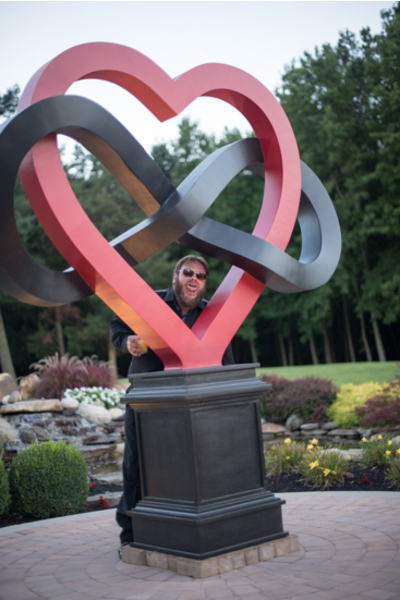 Guest had a ton of fun taking pictures with all the props in our NJ Wedding Photo Booth! 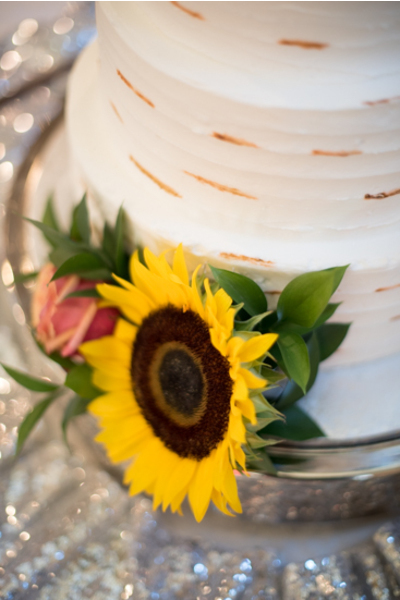 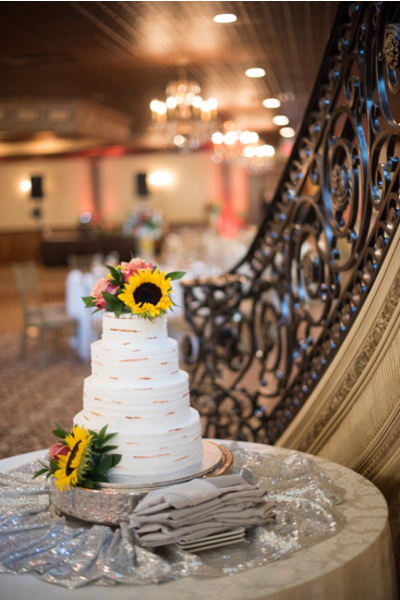 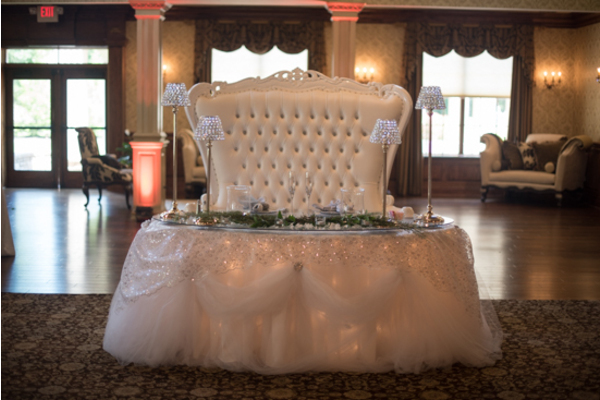 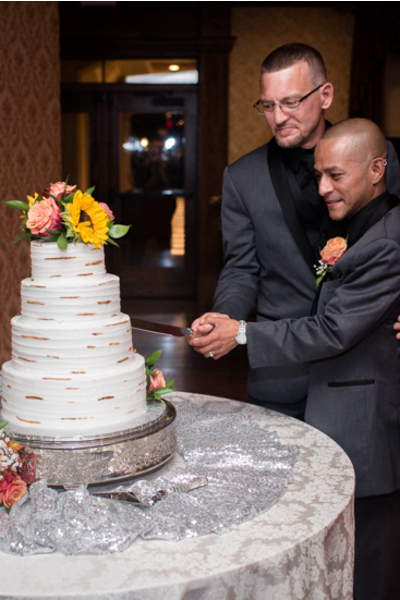 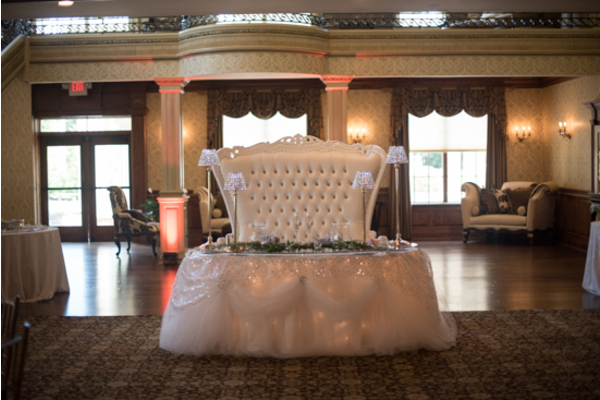 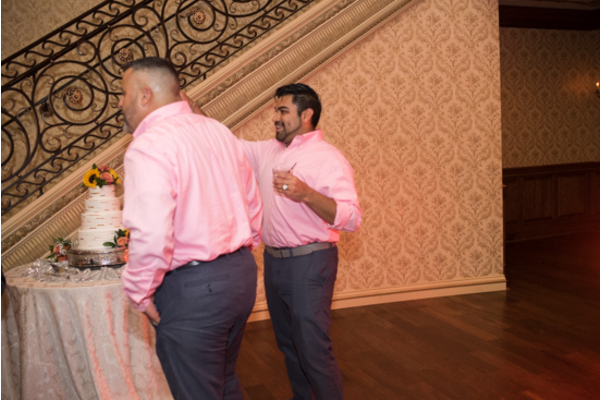 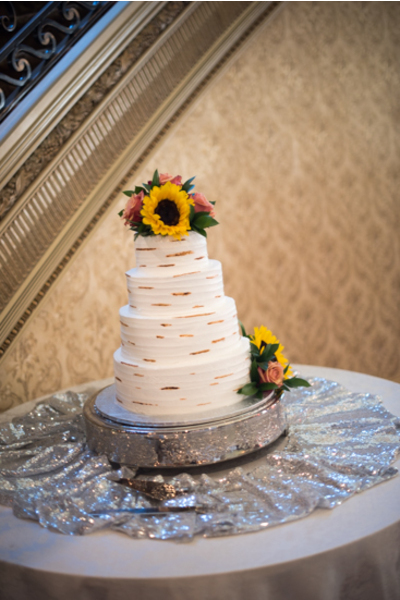 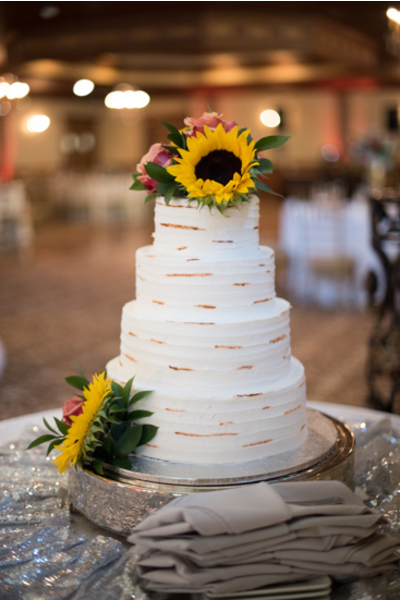 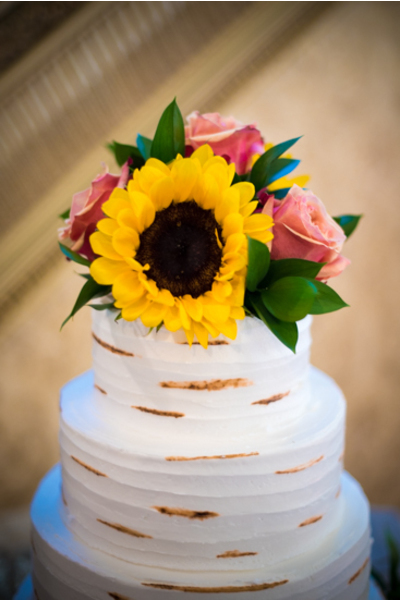 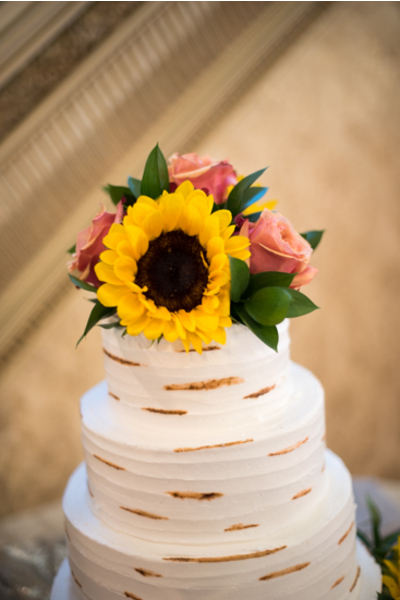 Our NJ Wedding Photographer captured the moment Angel and Chris cut their beautiful four tiered wedding cake. 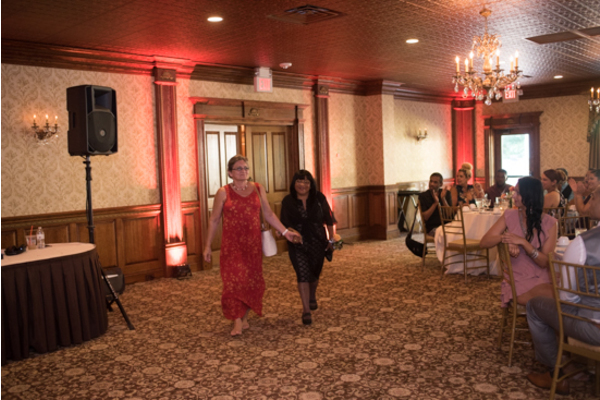 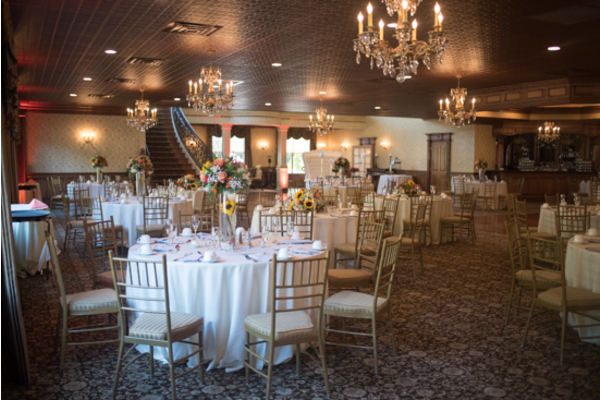 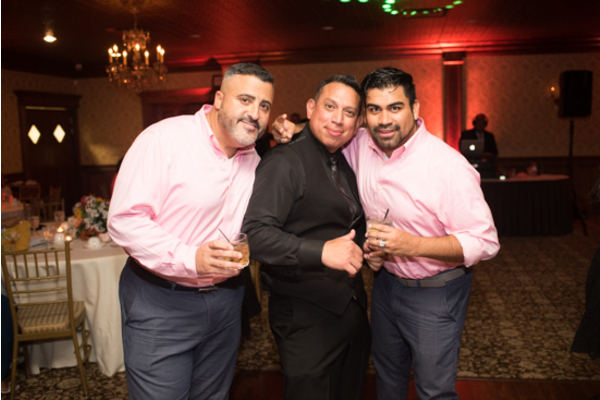 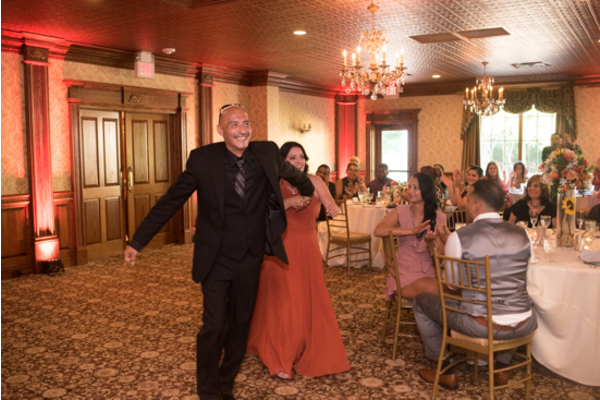 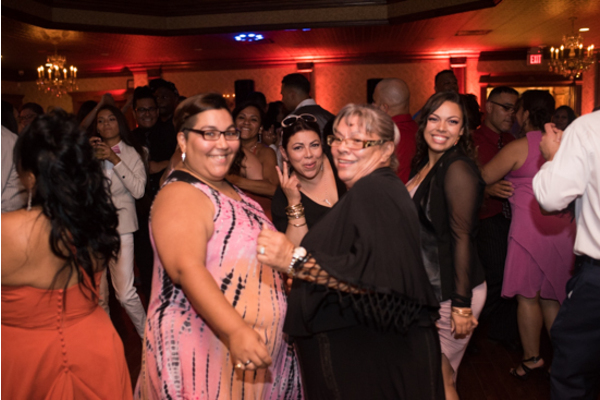 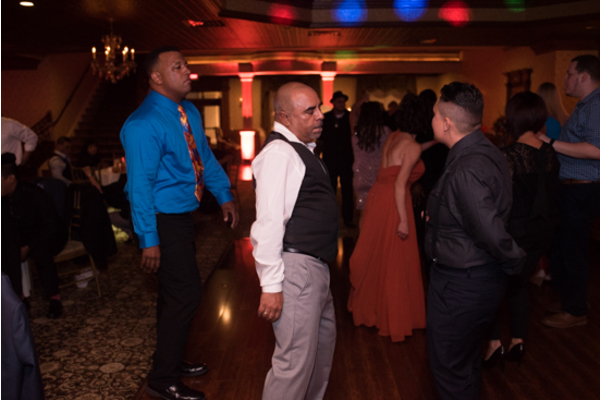 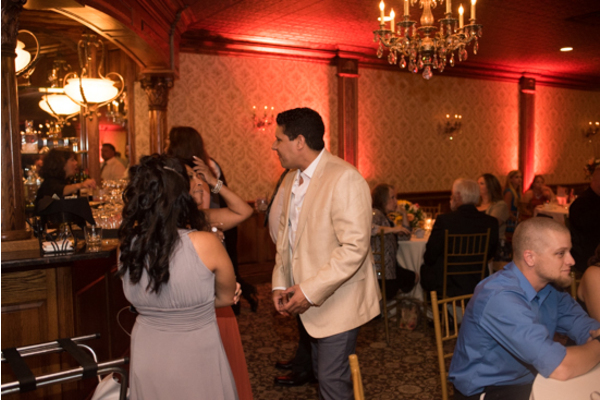 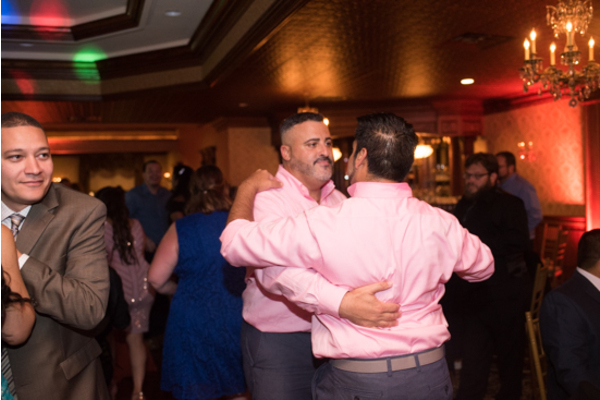 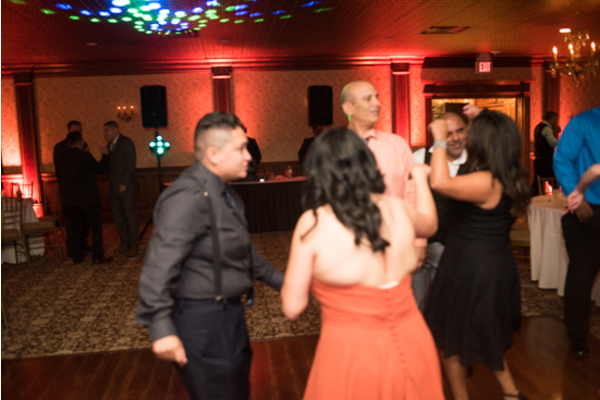 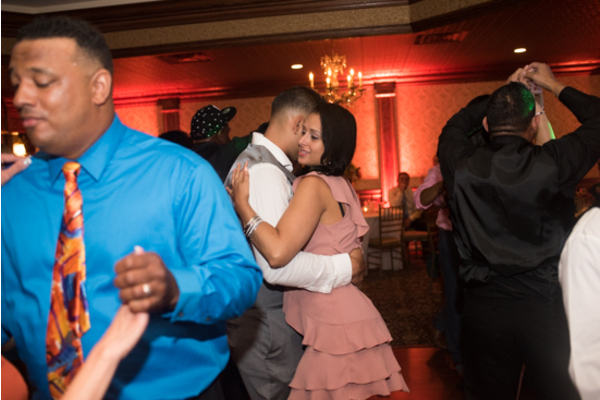 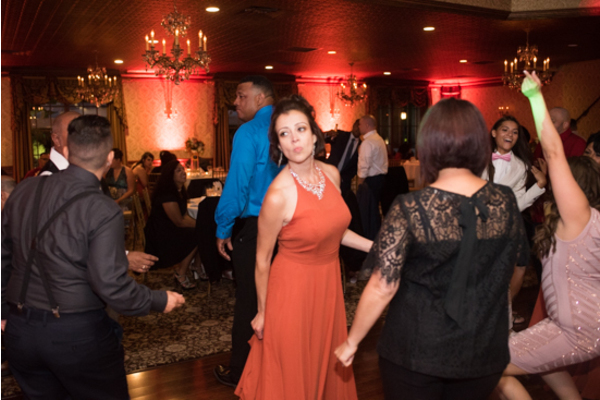 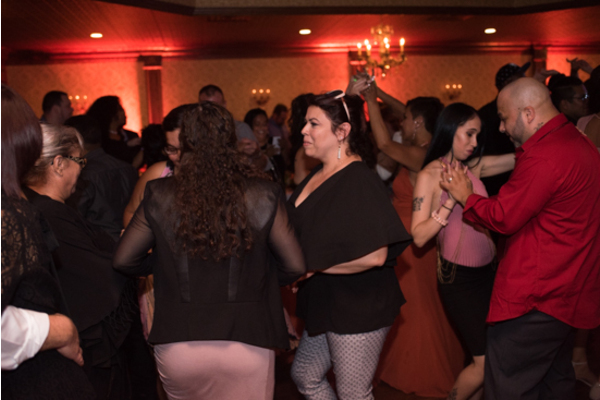 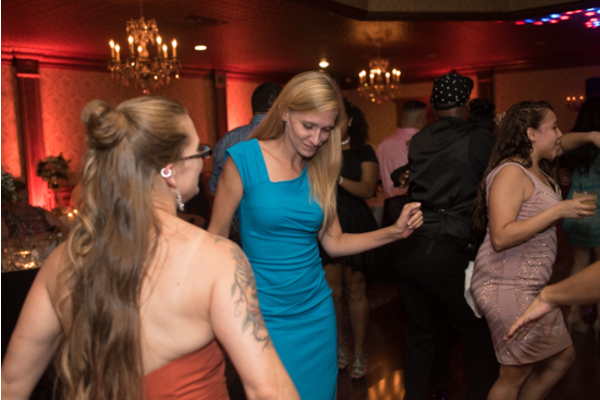 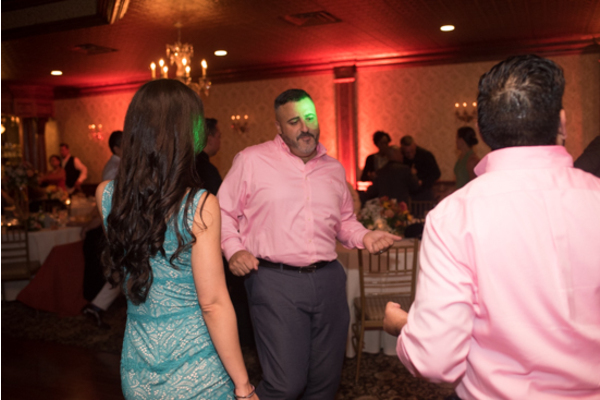 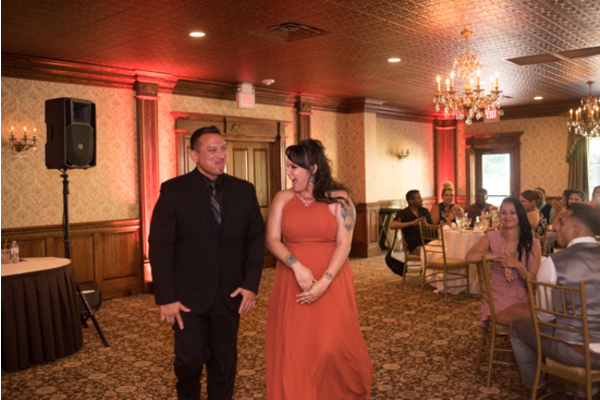 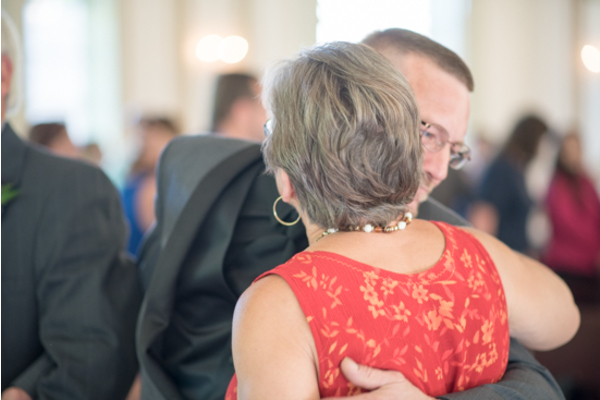 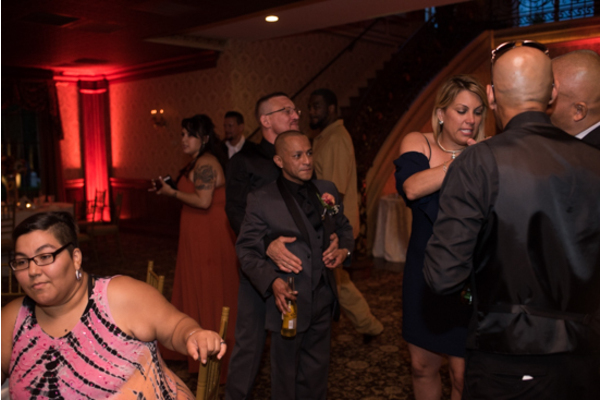 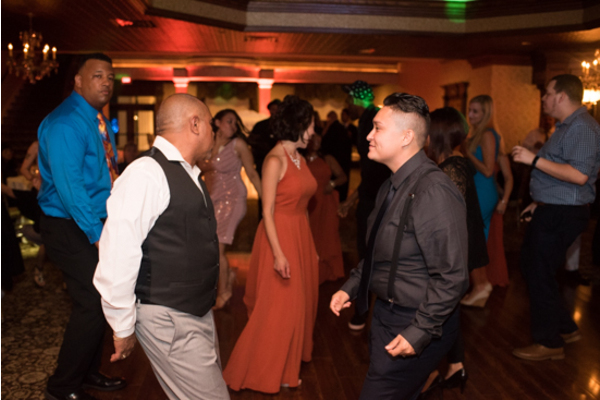 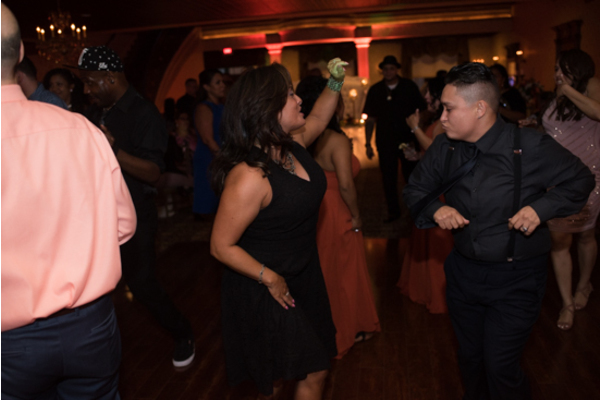 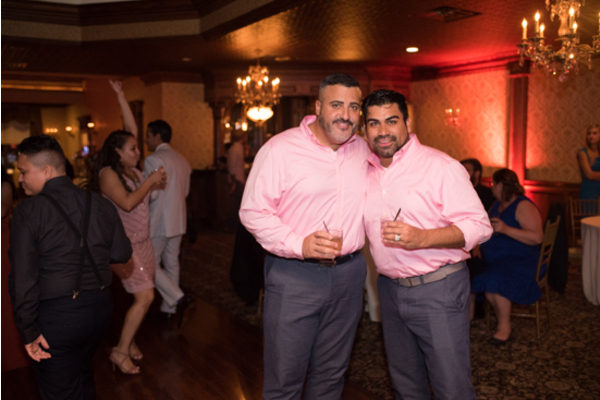 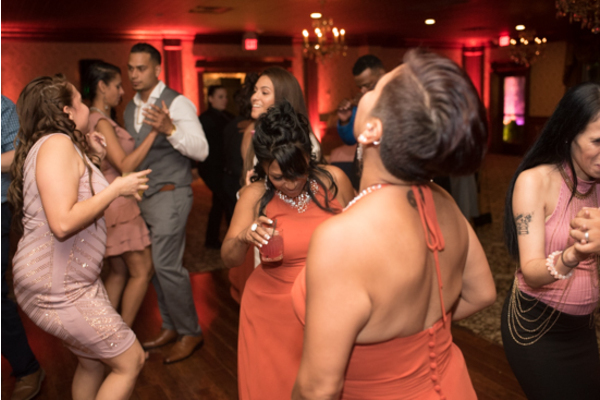 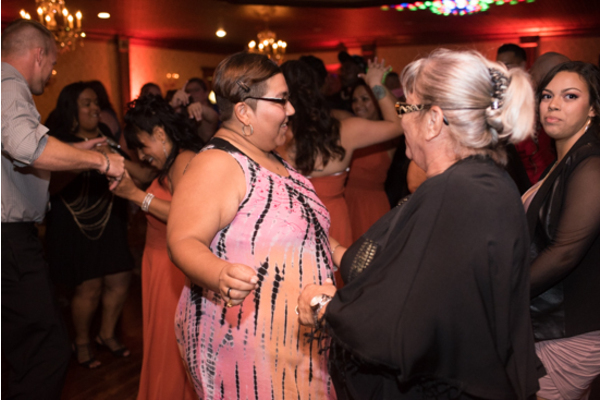 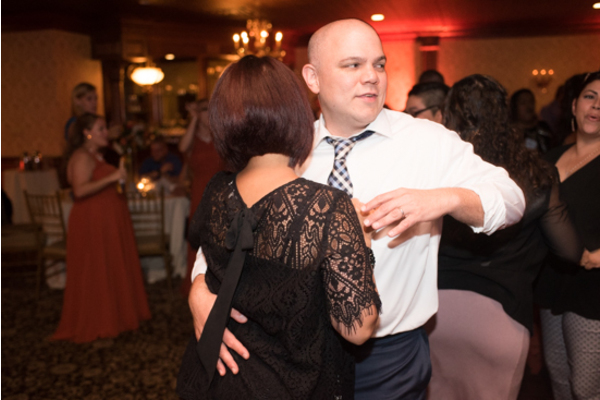 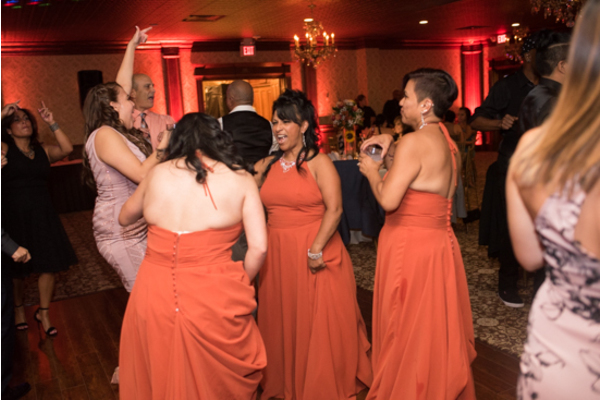 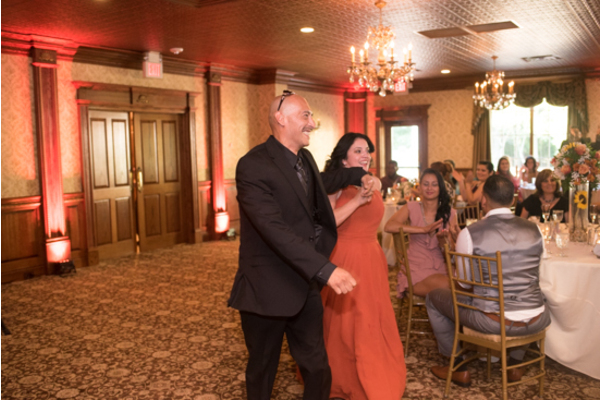 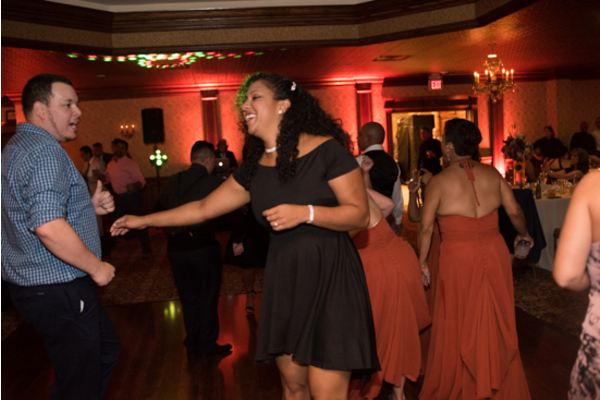 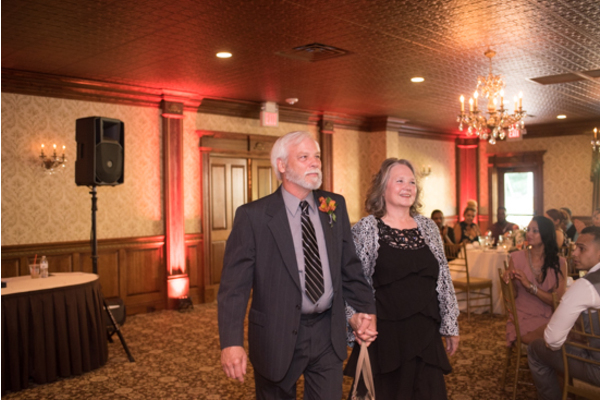 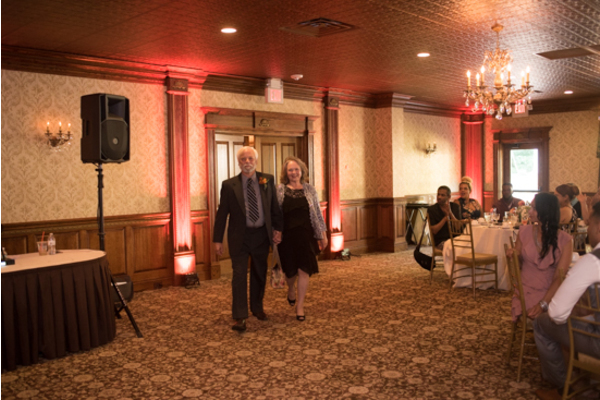 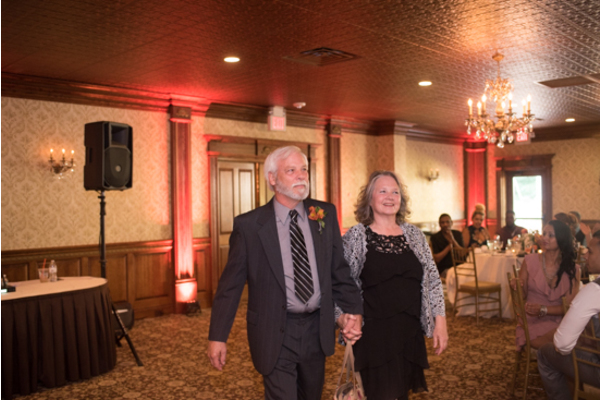 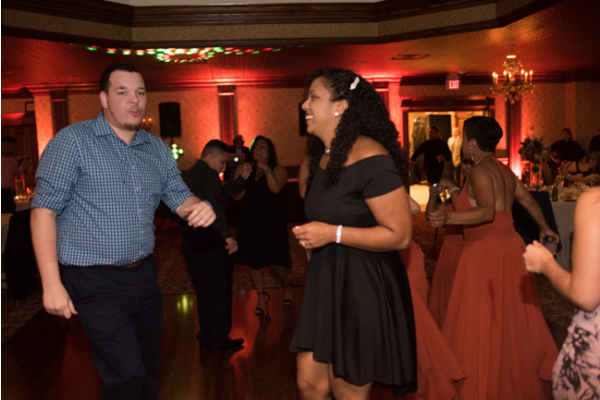 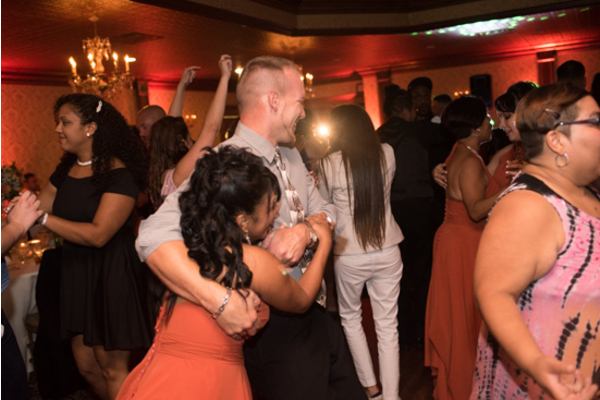 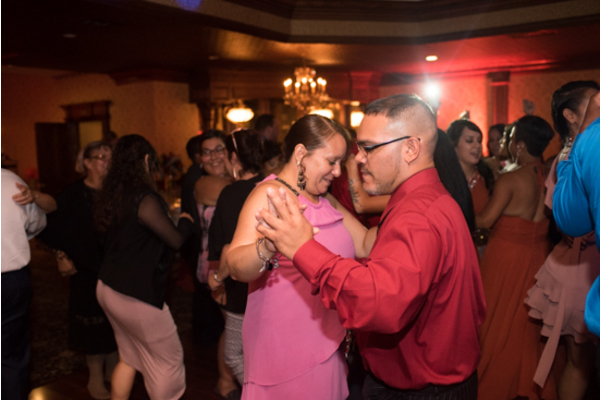 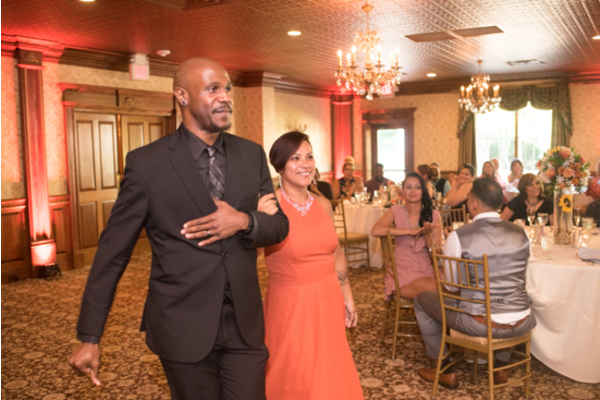 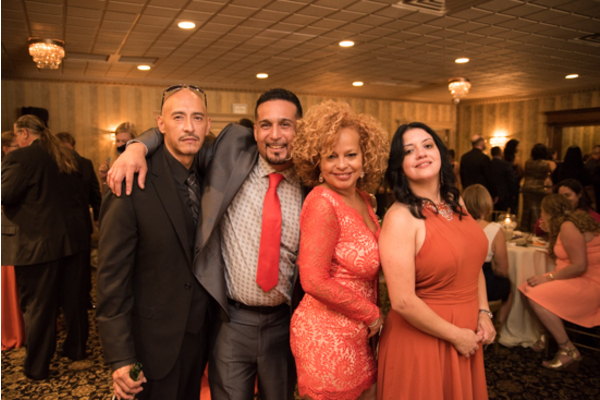 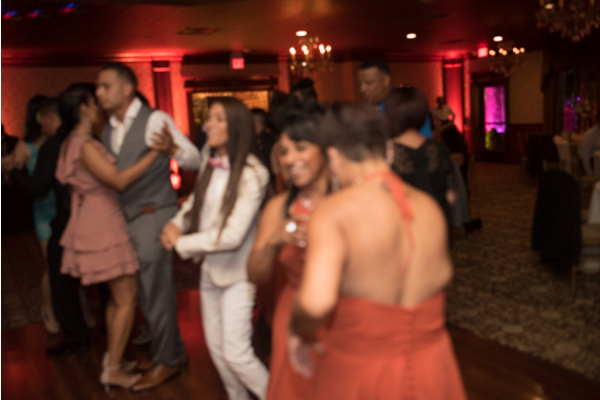 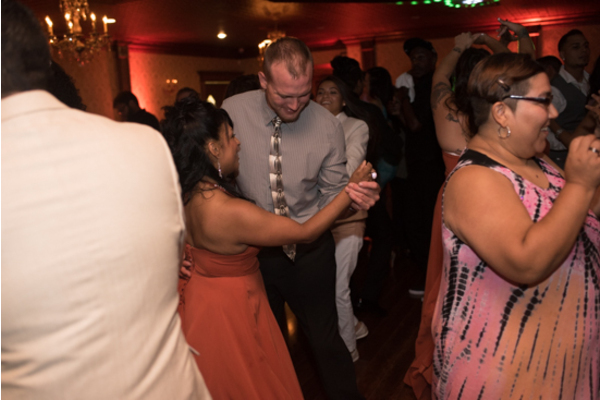 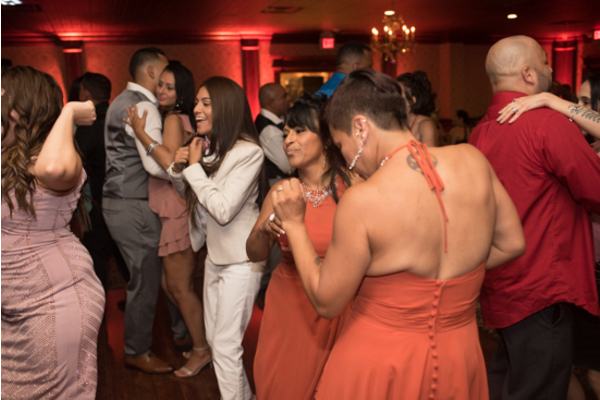 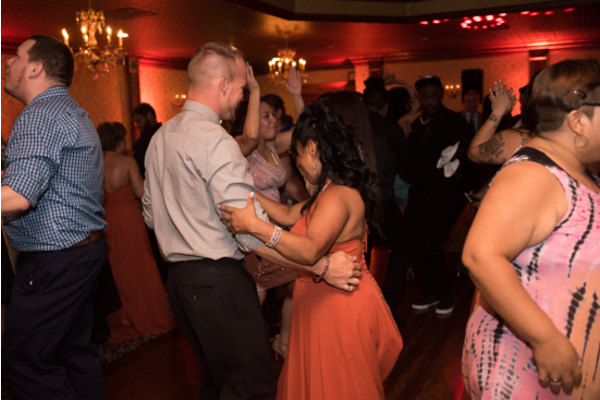 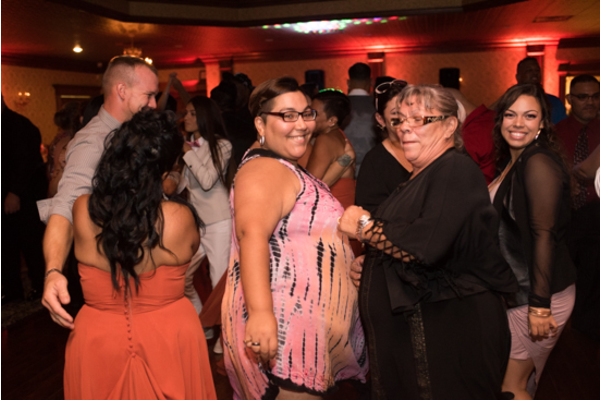 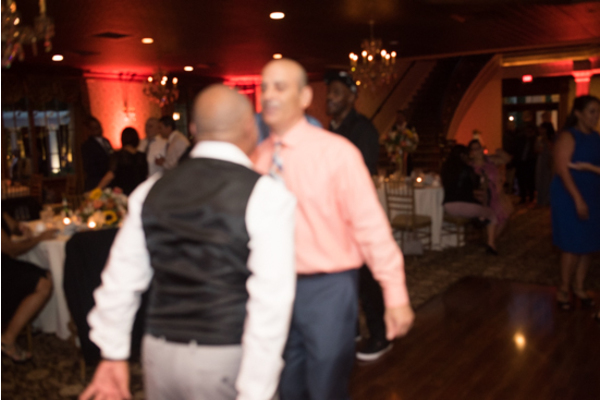 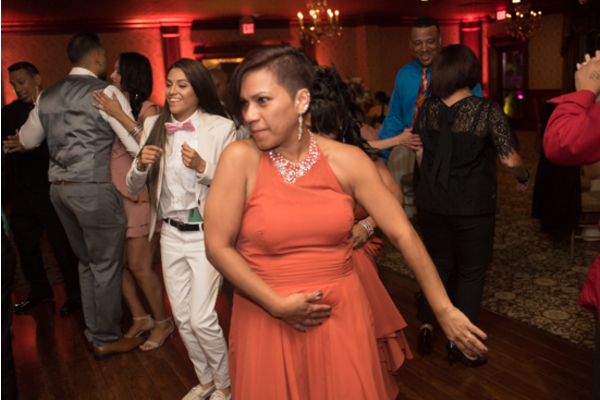 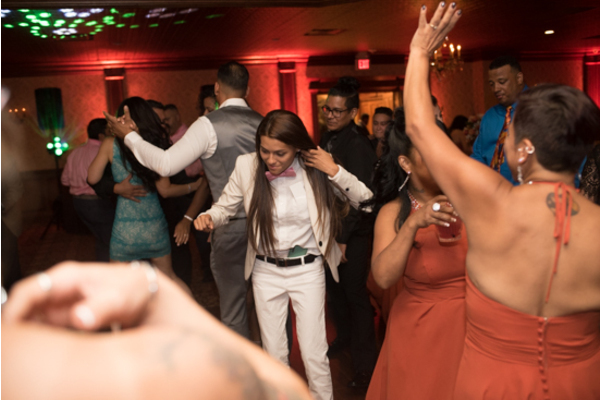 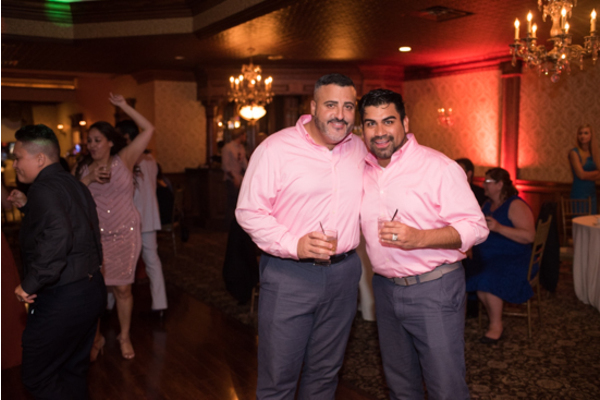 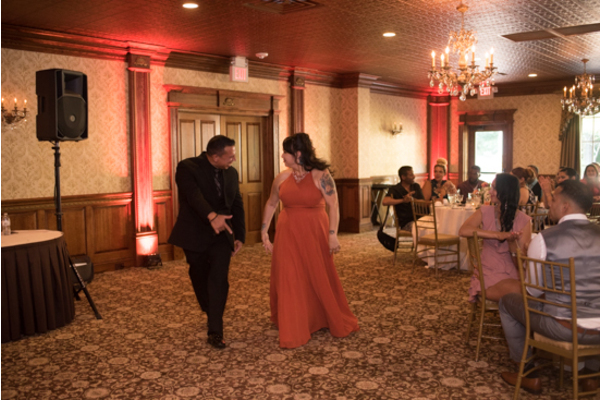 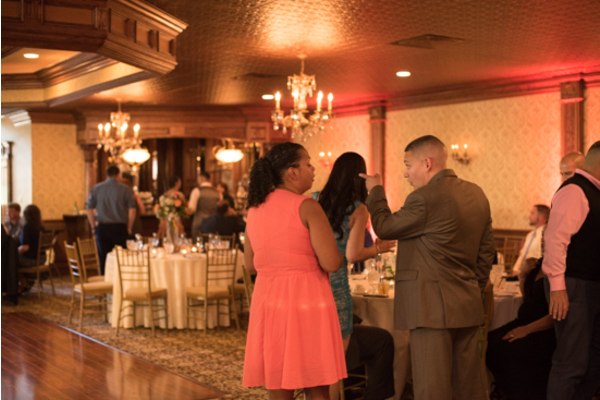 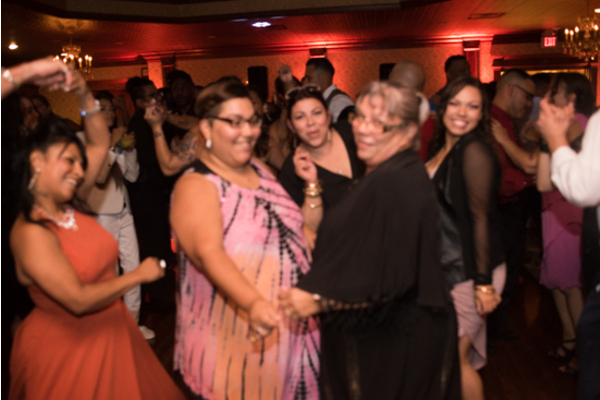 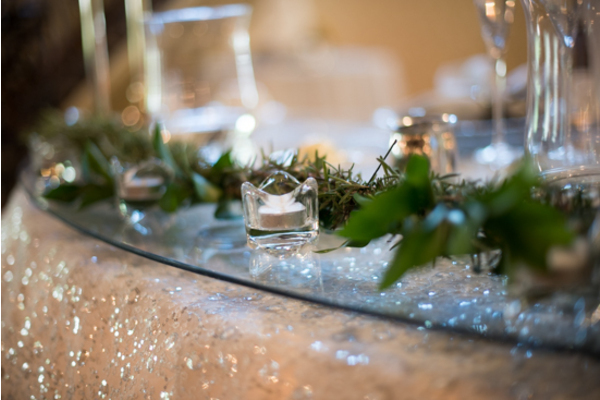 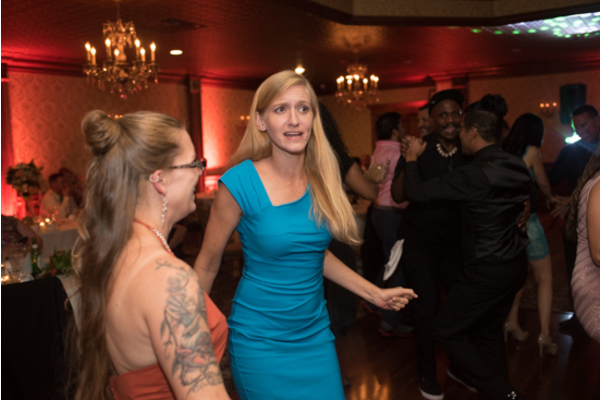 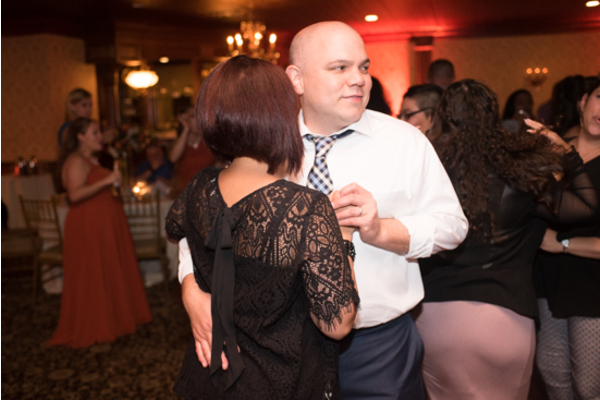 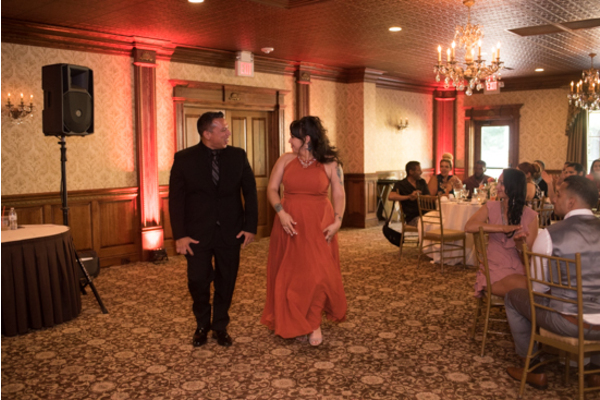 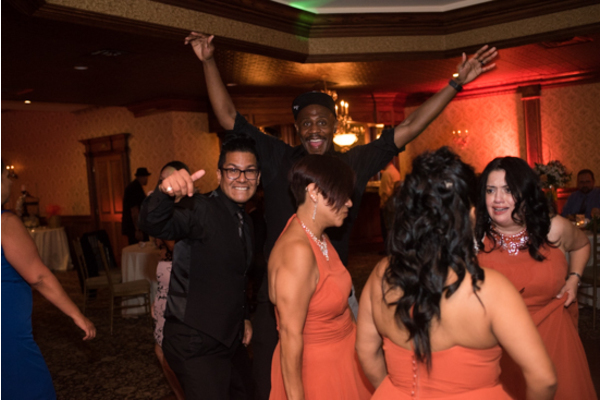 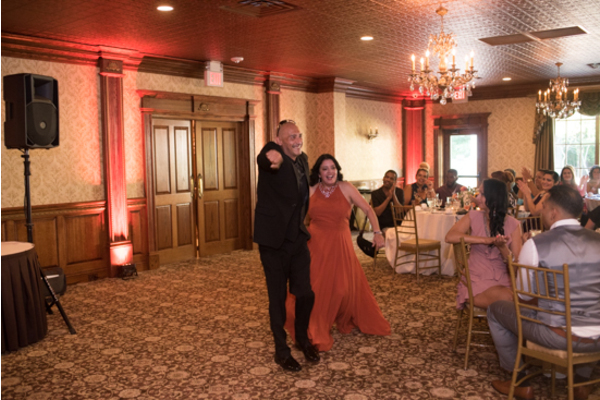 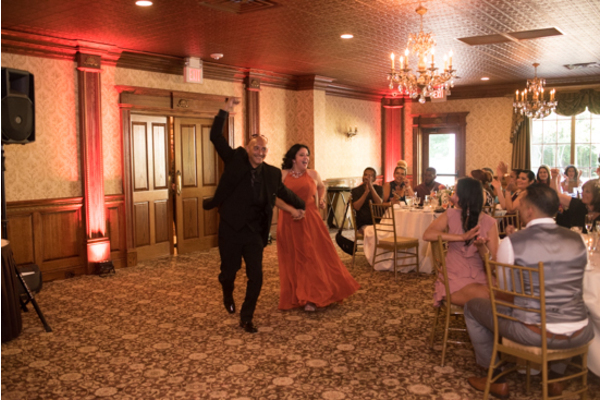 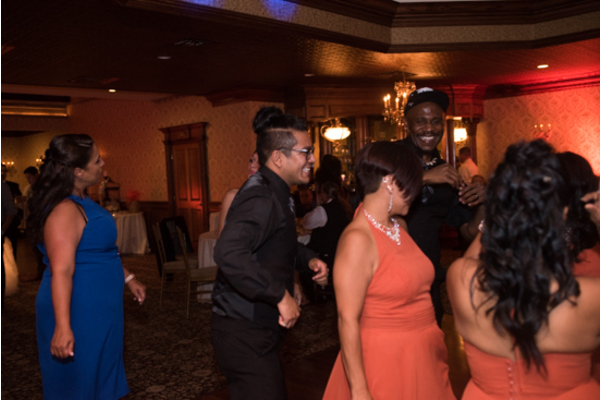 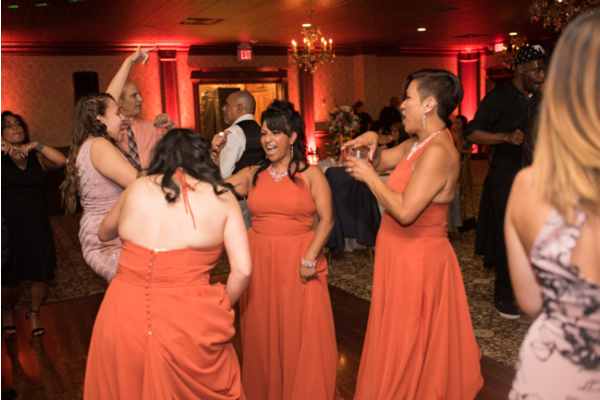 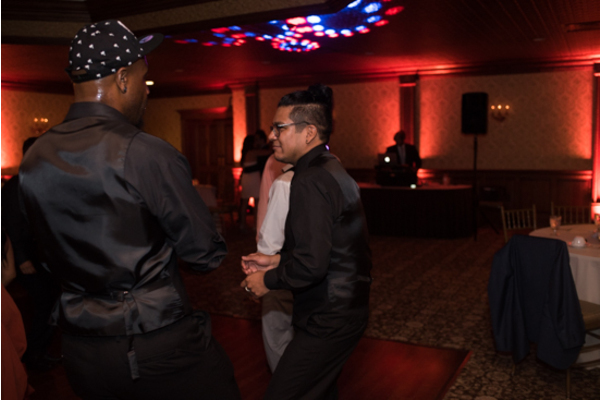 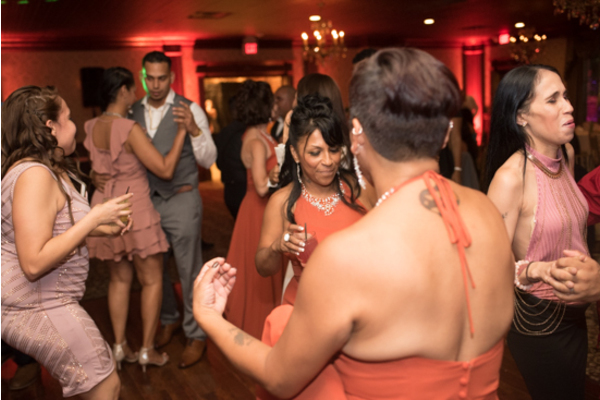 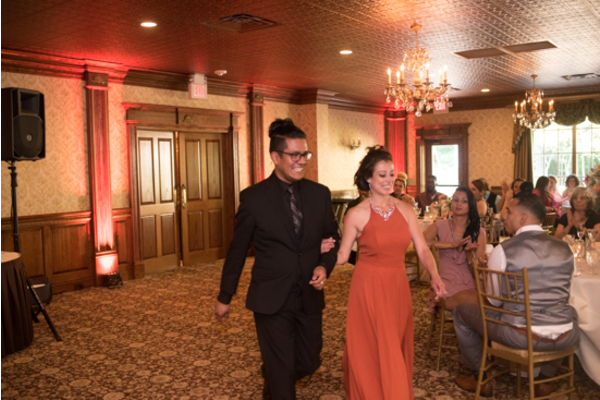 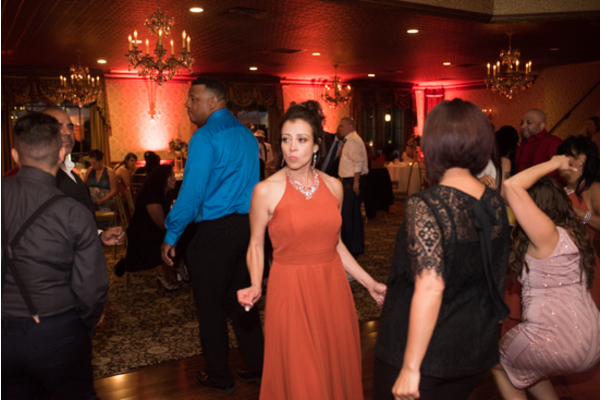 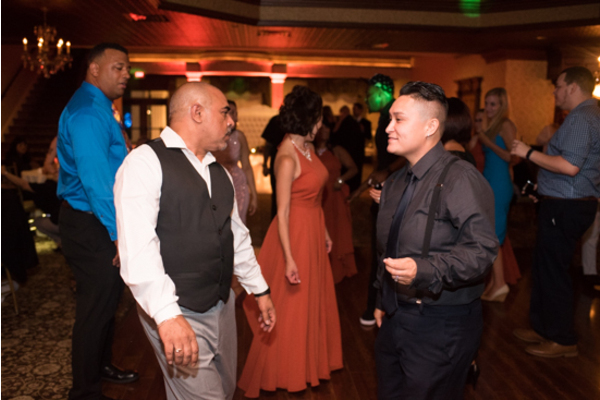 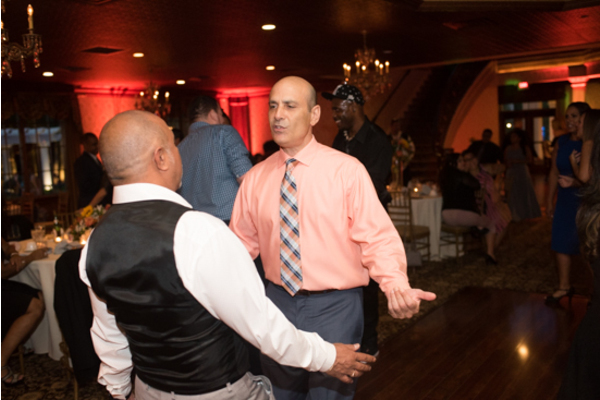 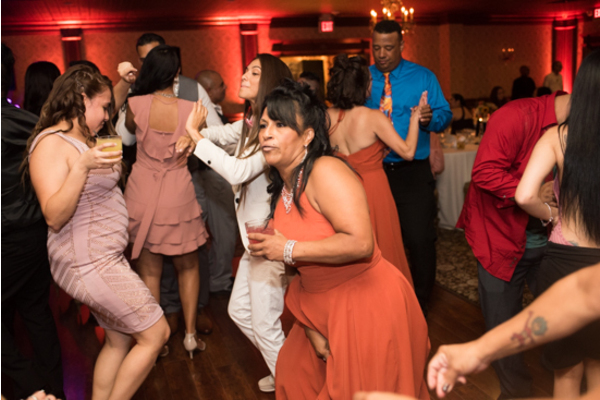 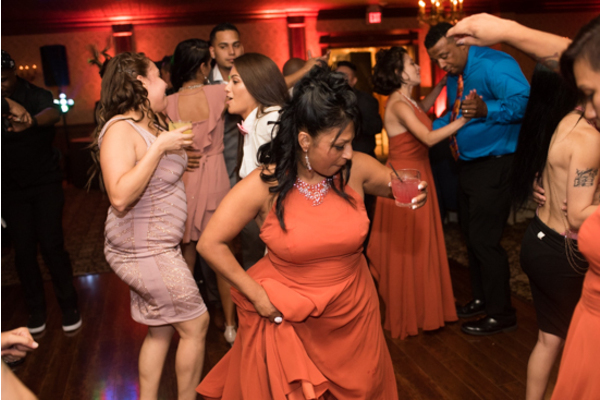 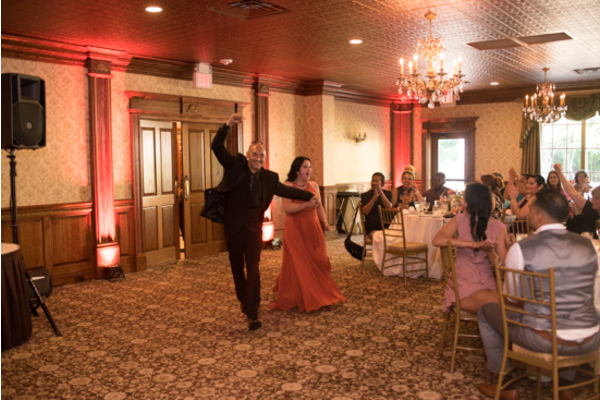 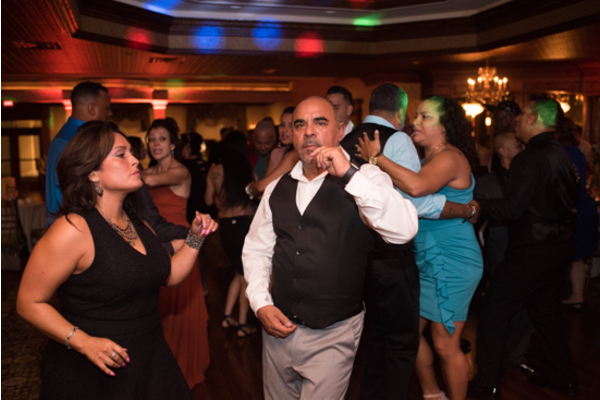 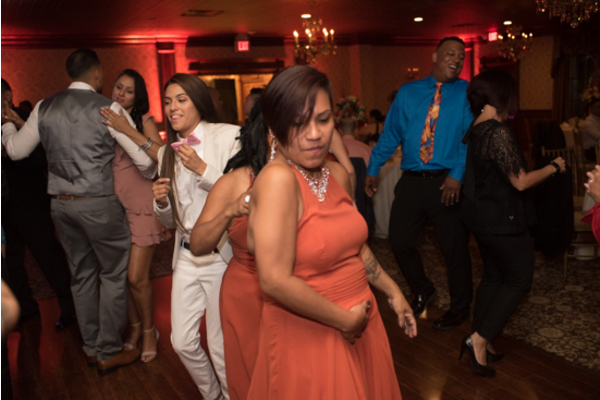 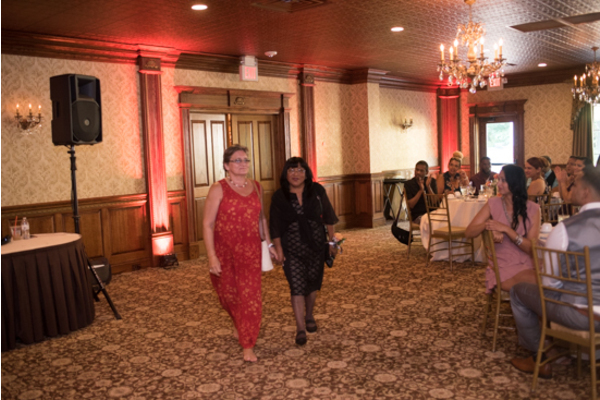 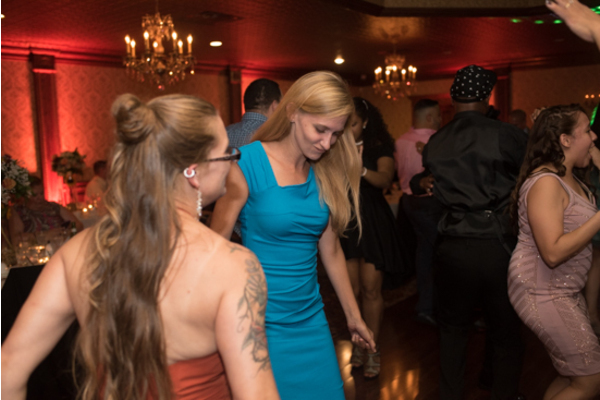 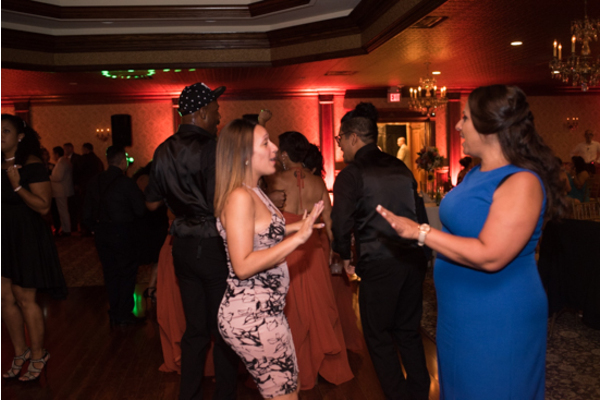 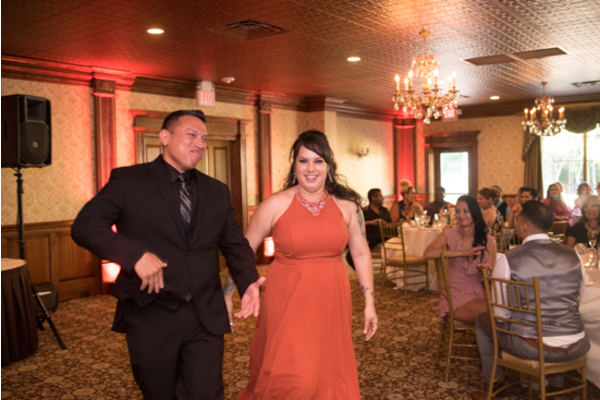 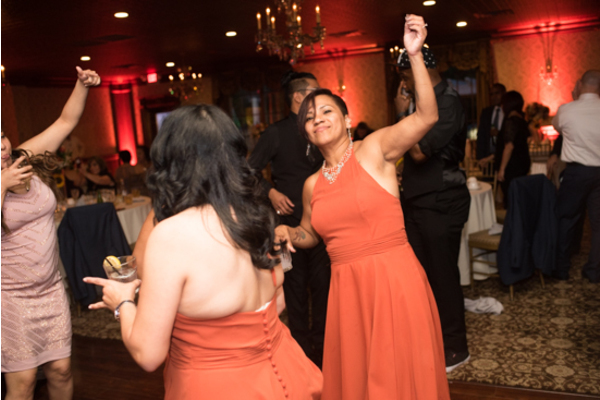 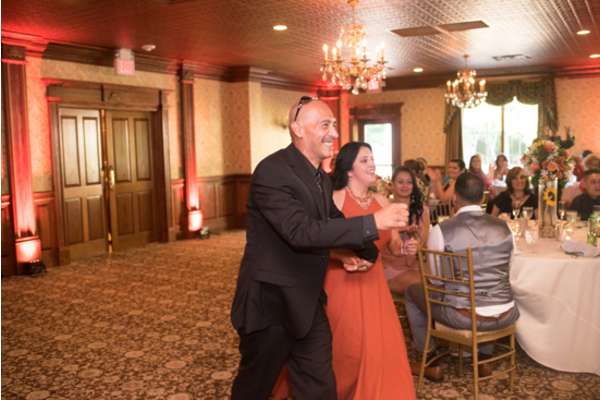 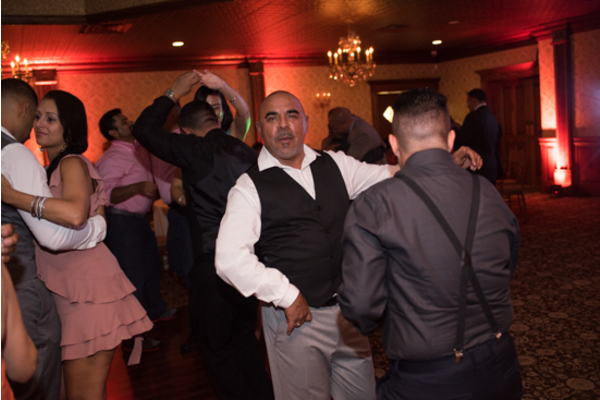 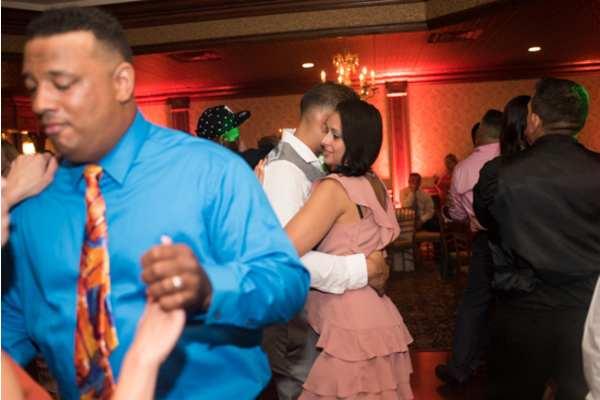 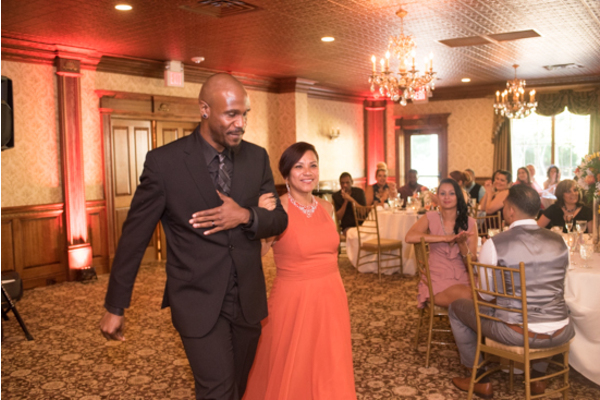 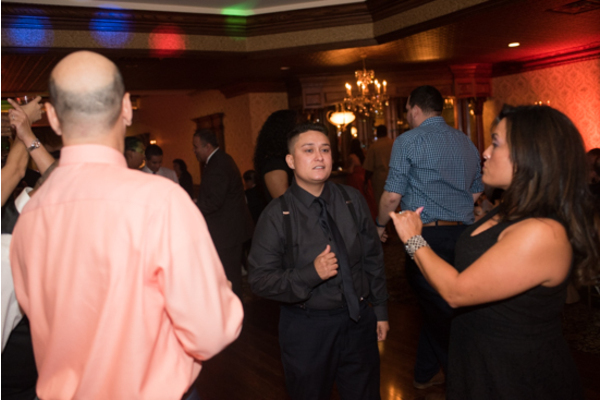 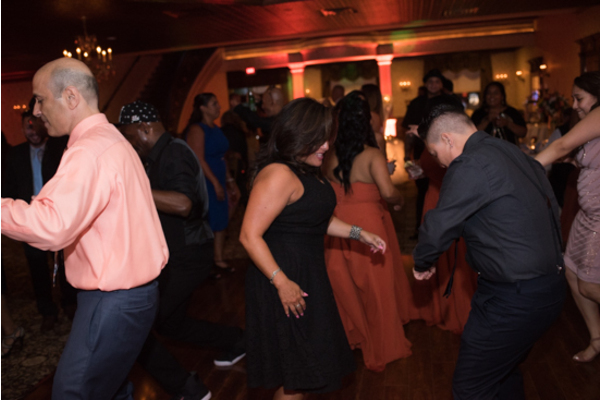 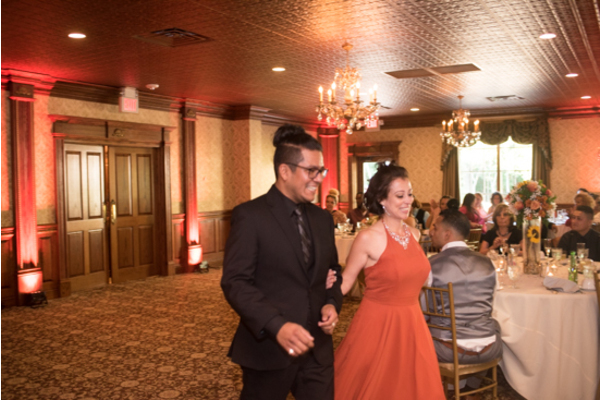 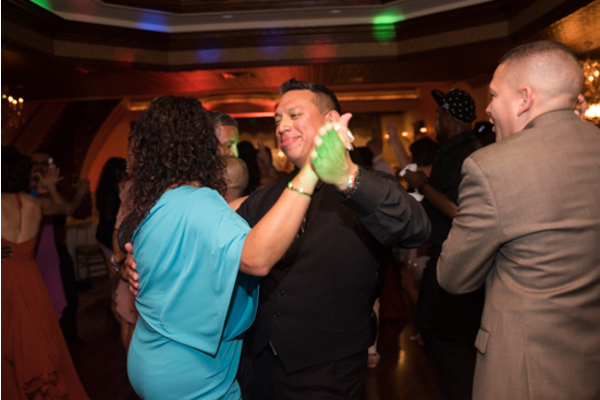 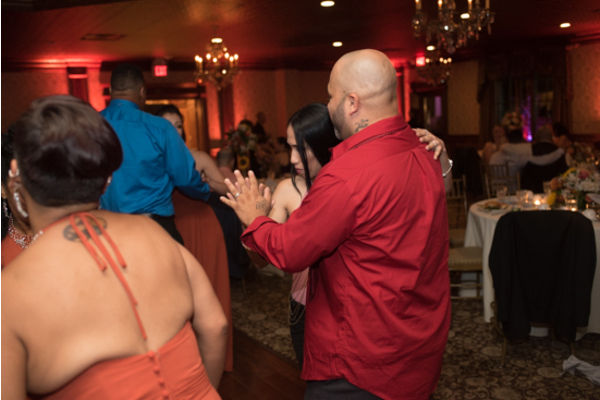 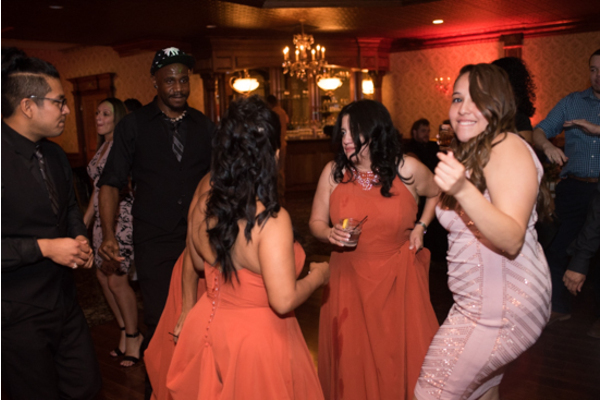 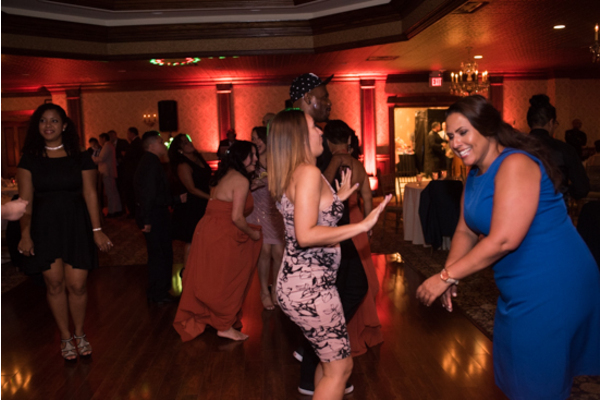 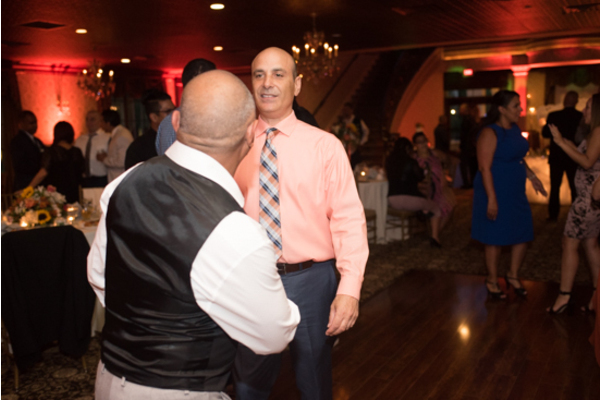 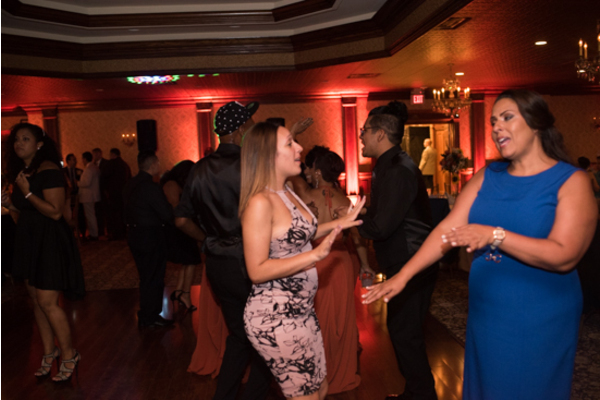 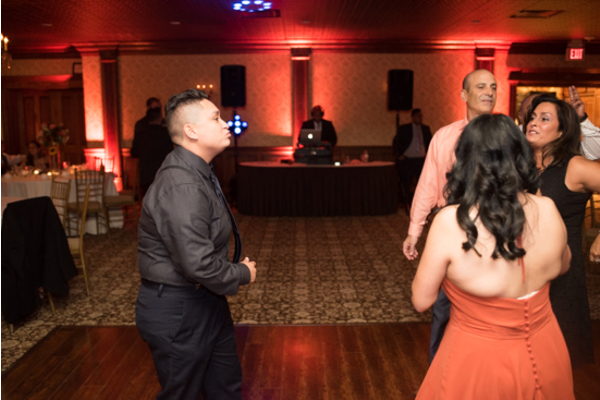 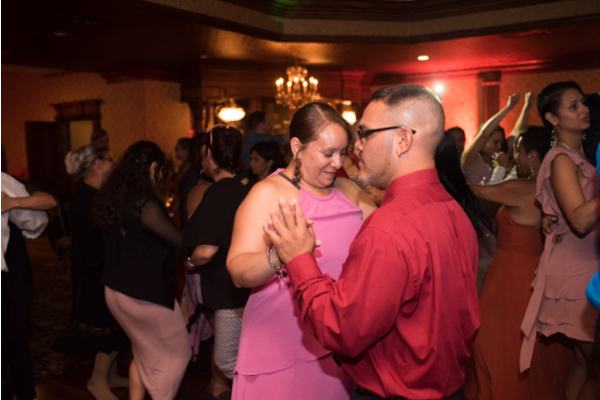 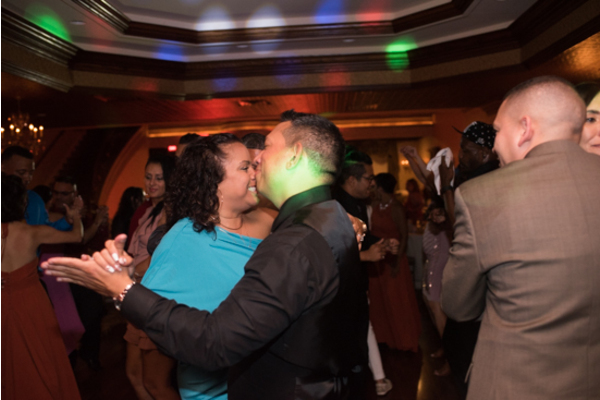 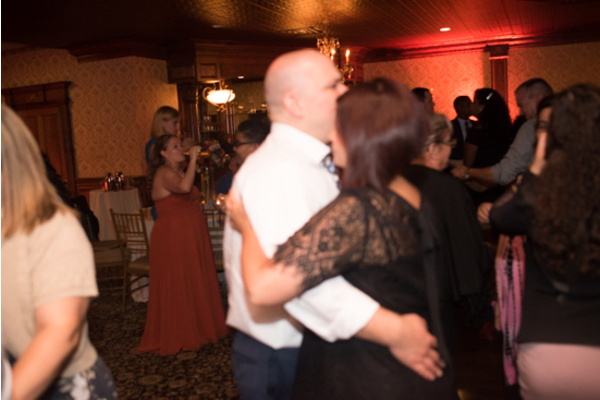 With nothing but love on this beautiful night, the couple enjoyed the rest of their night with their family and friends dancing the night away! 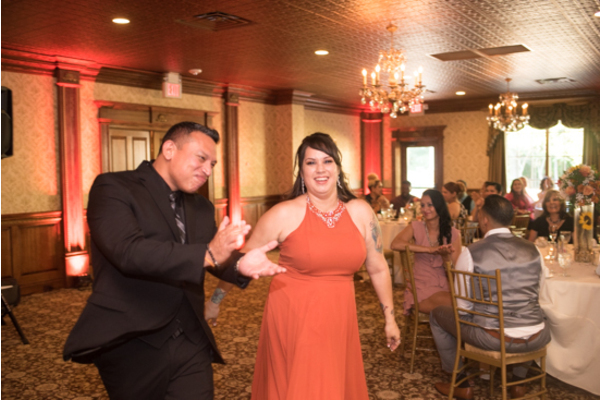 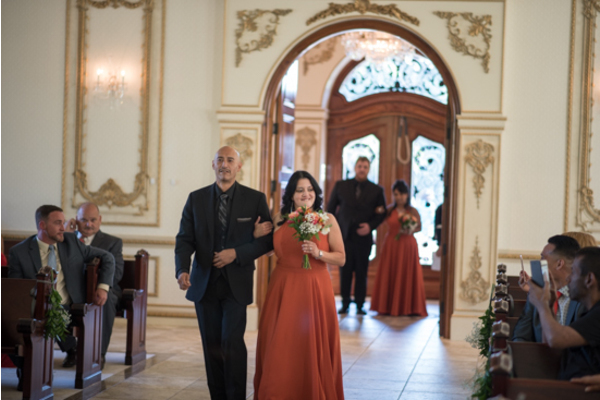 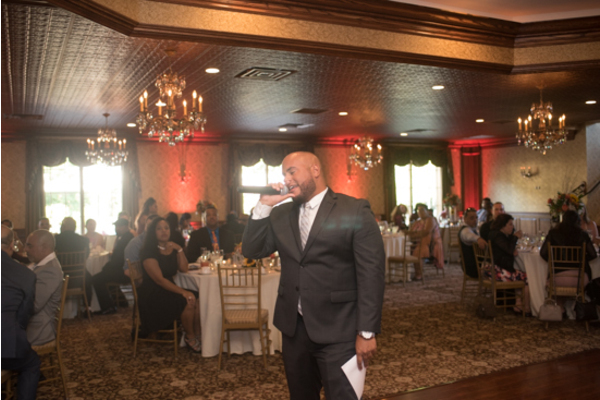 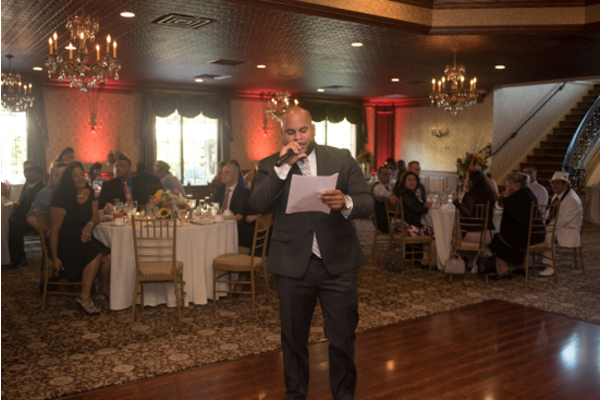 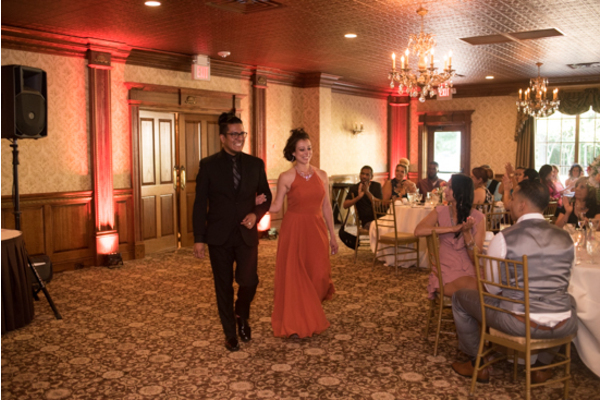 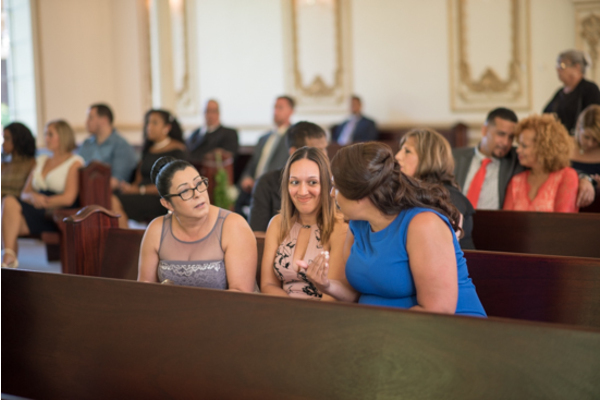 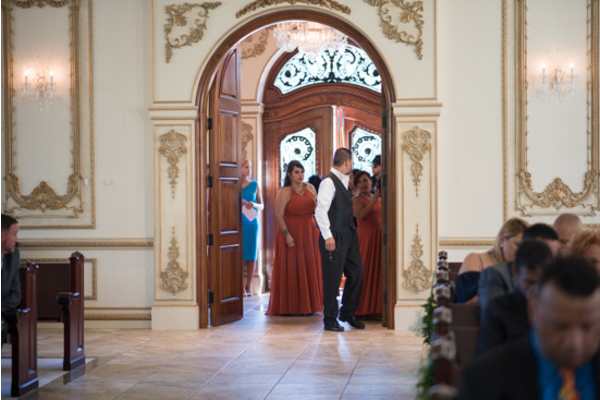 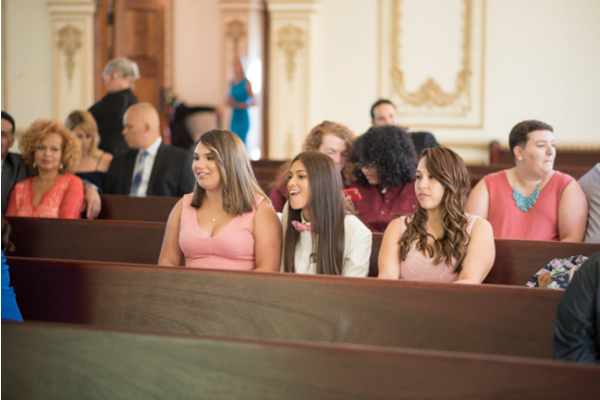 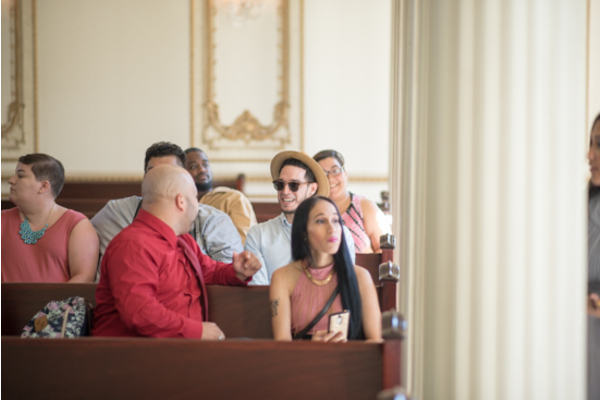 We had so much fun and are to grateful to have been there and experience the joy that Angel and Chris brought on their wedding day! 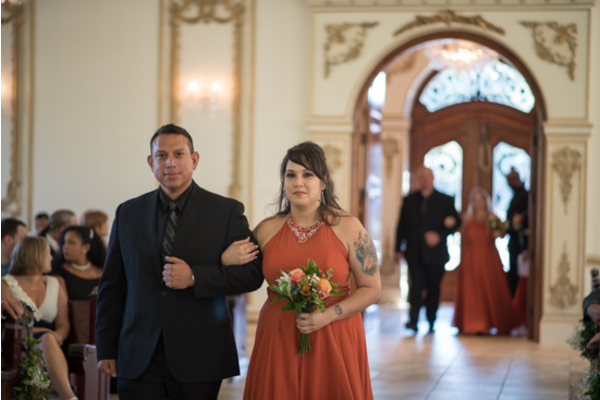 Congratulations again and we wish you only the best!